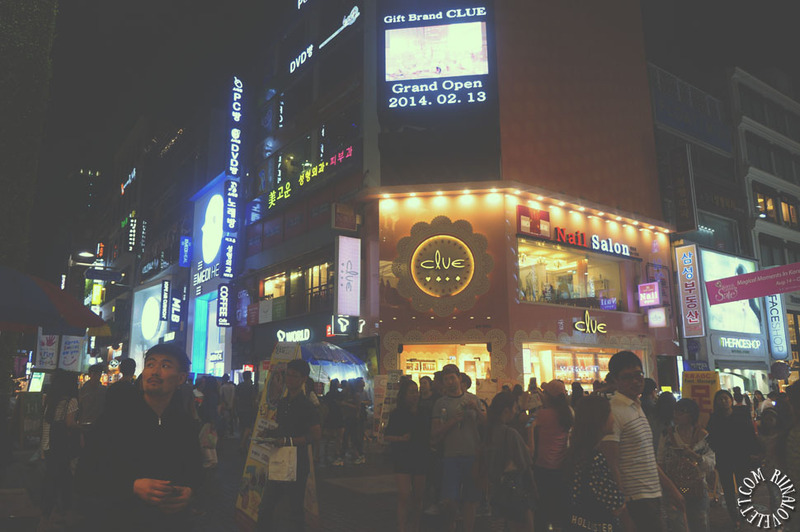 I had some trouble with my computer, so, I couldn’t blog for a while. 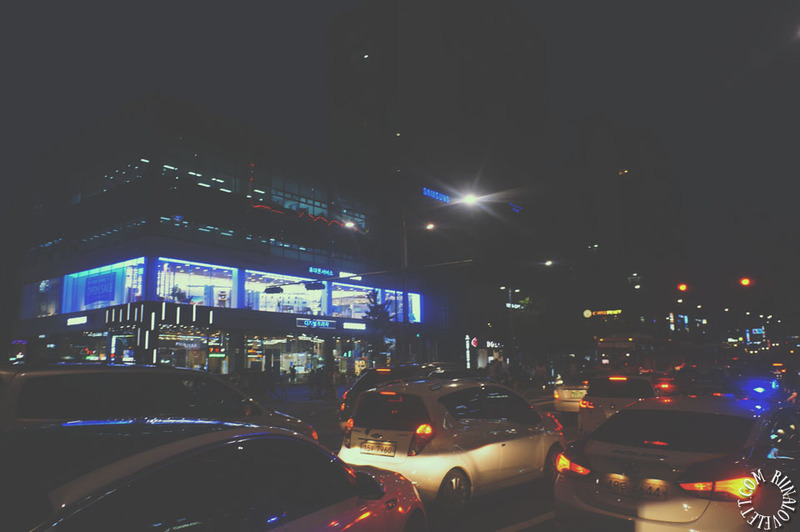 I had a lot of plans but now I have to postpone it for a bit because of unexpected events currently happening in my life. 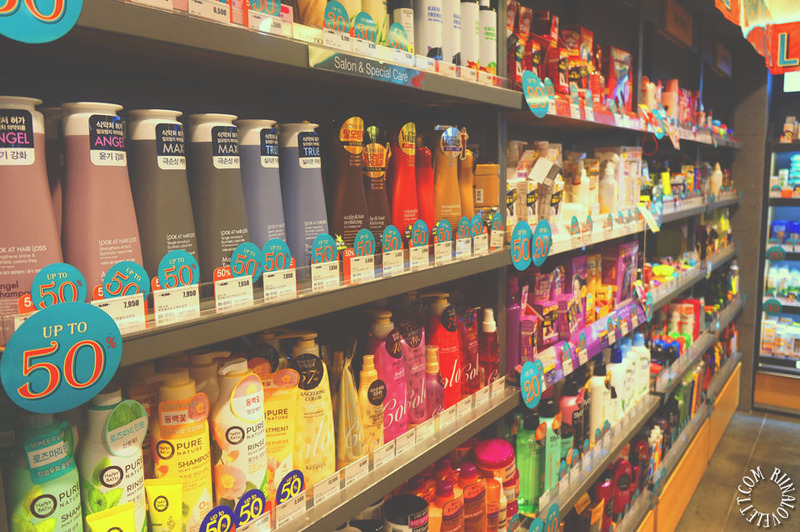 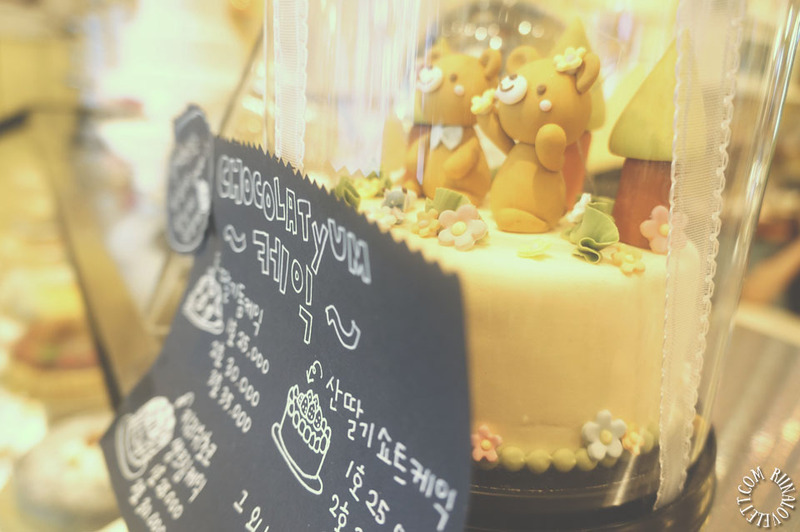 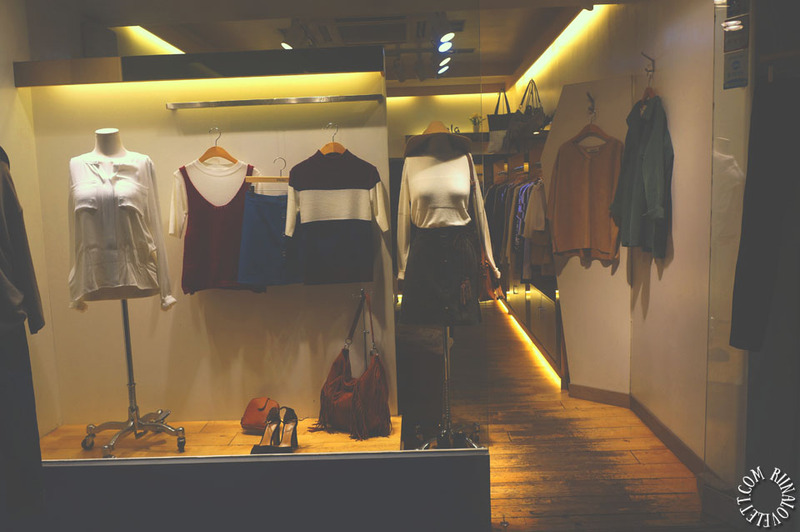 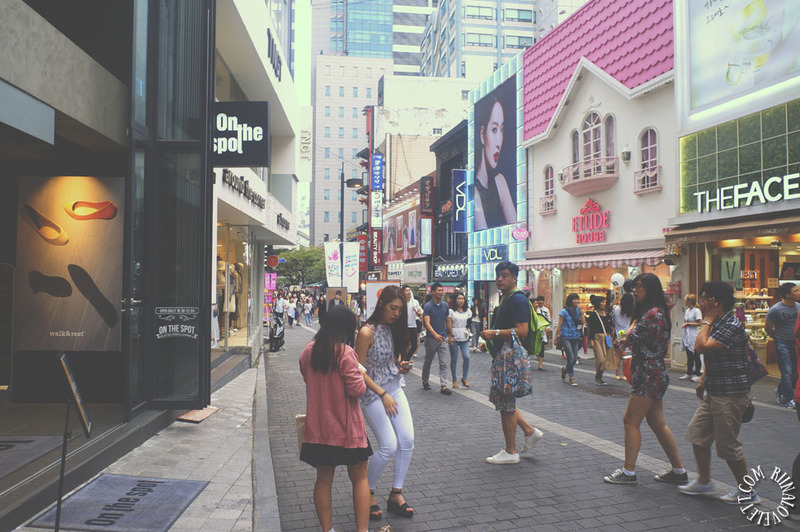 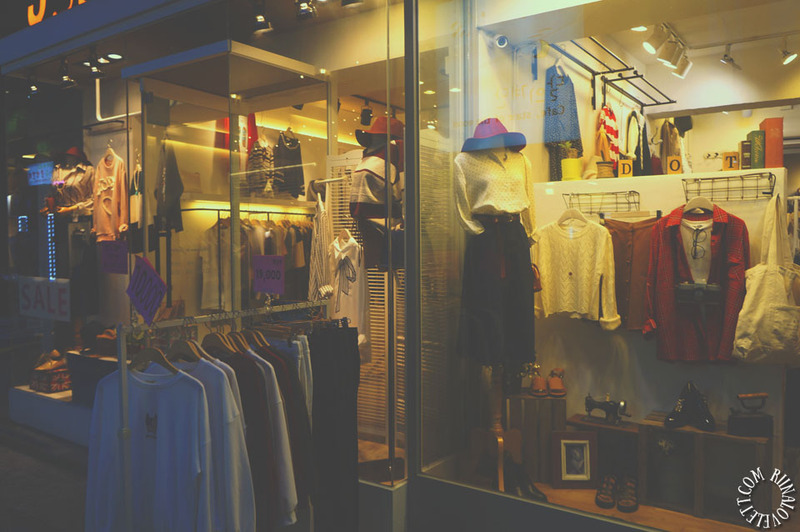 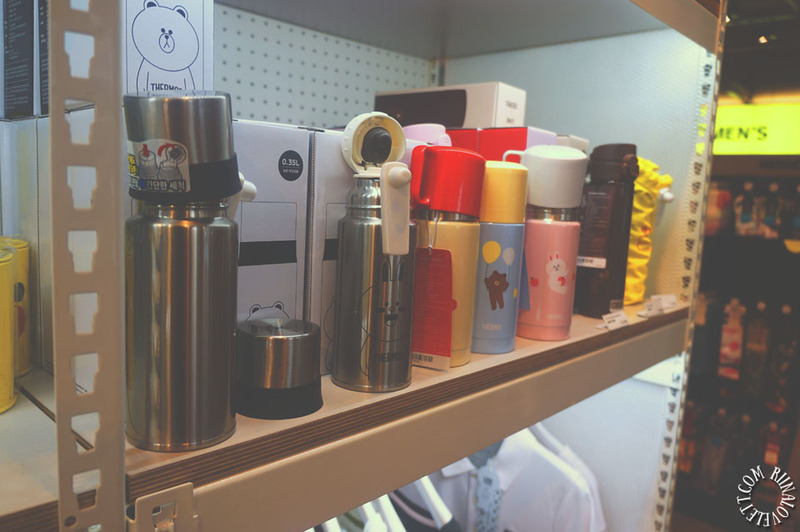 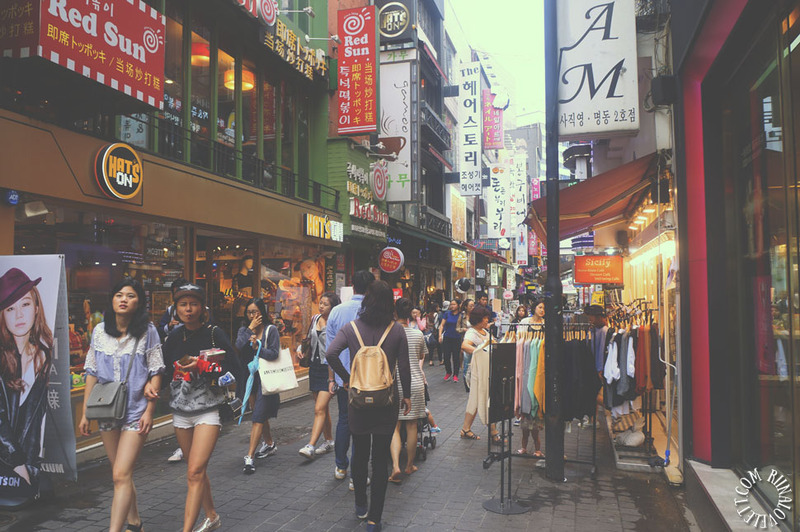 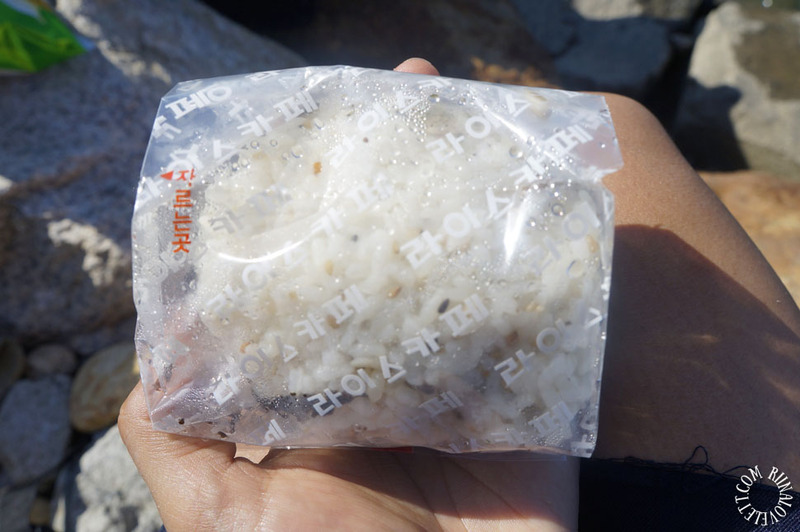 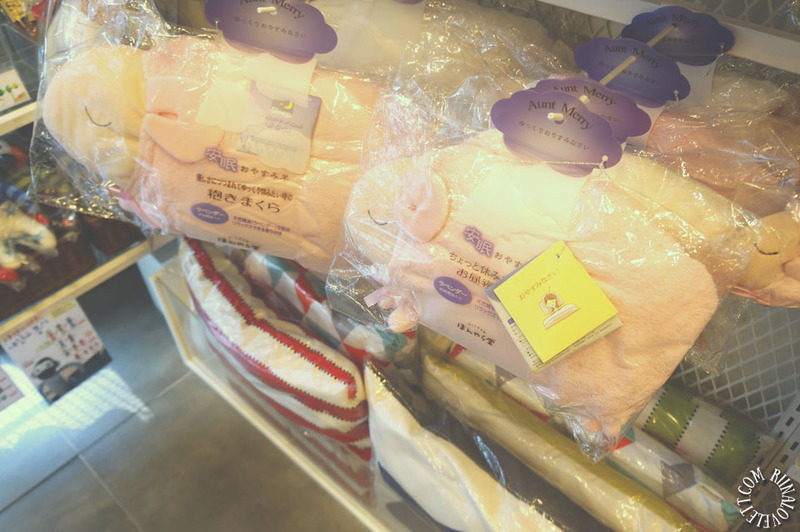 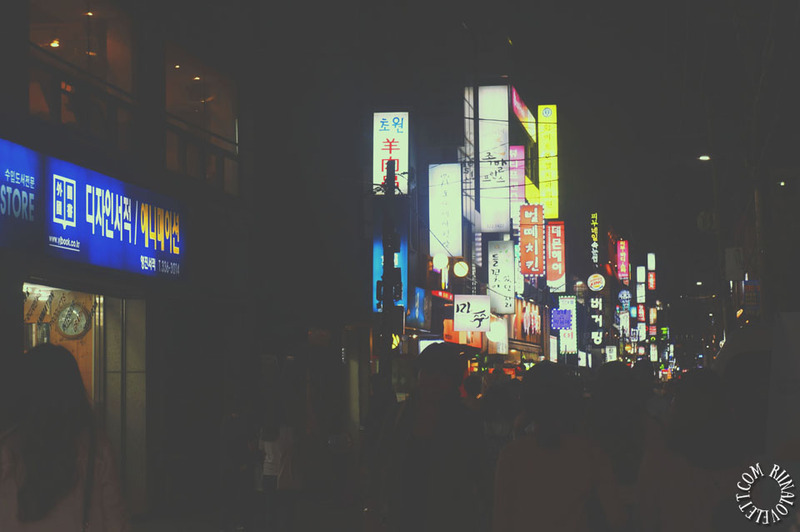 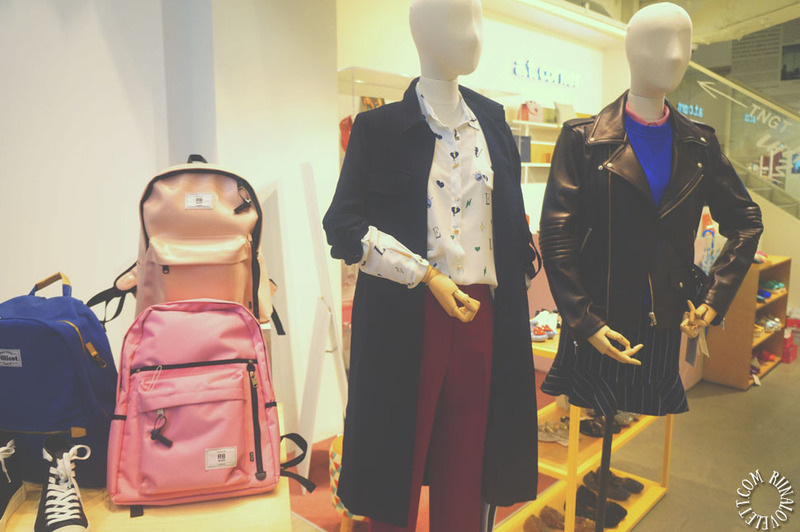 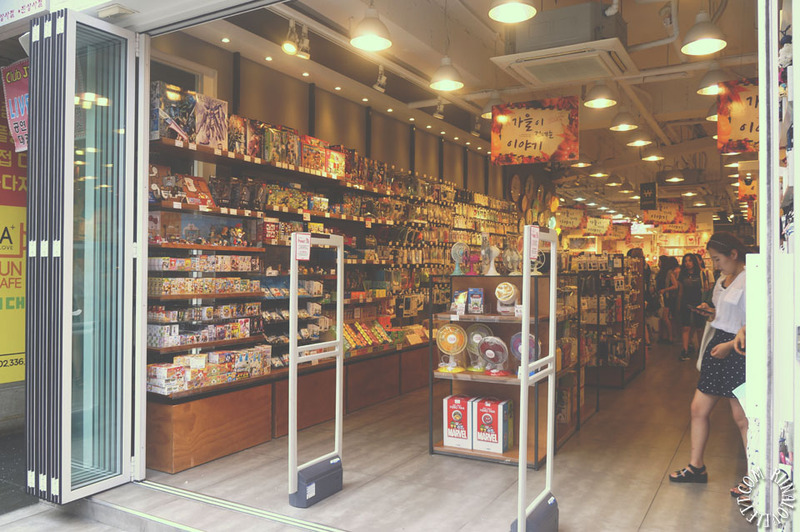 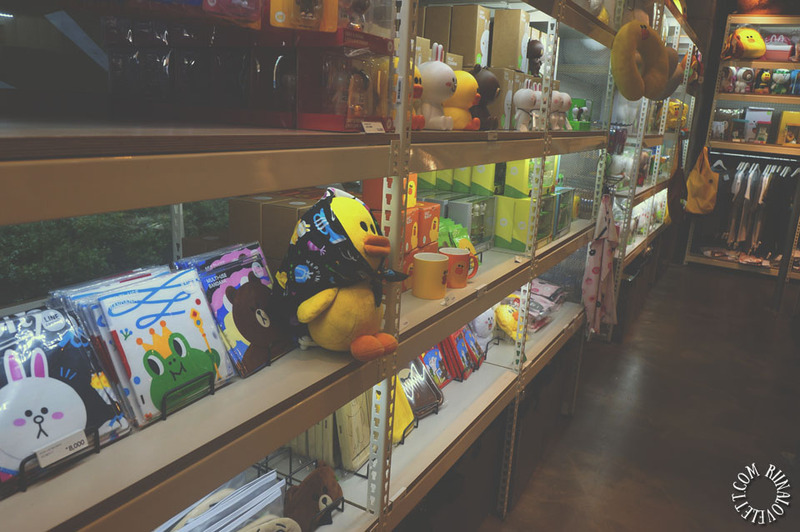 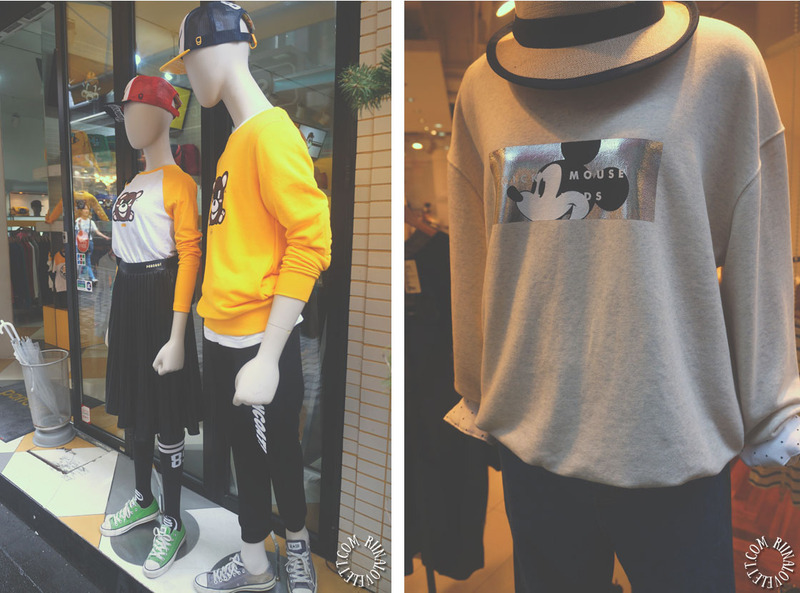 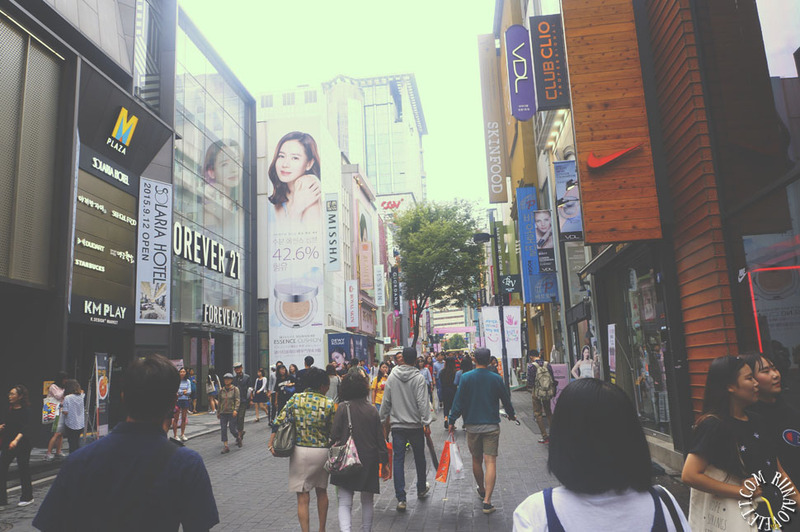 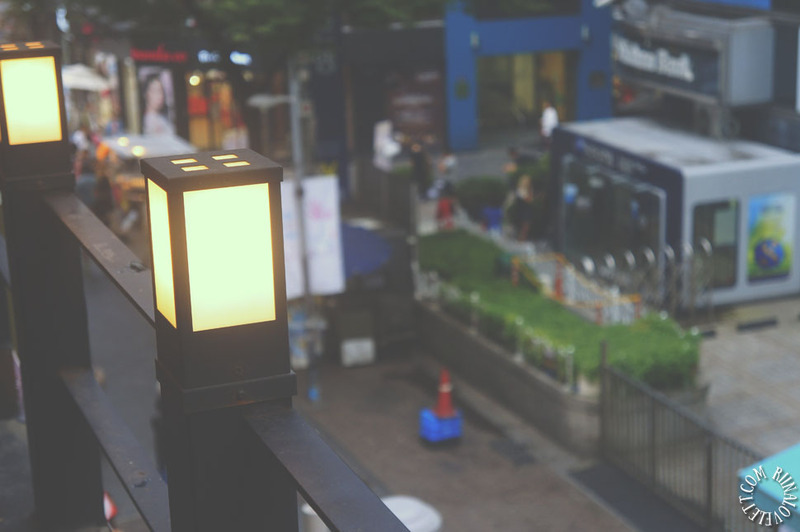 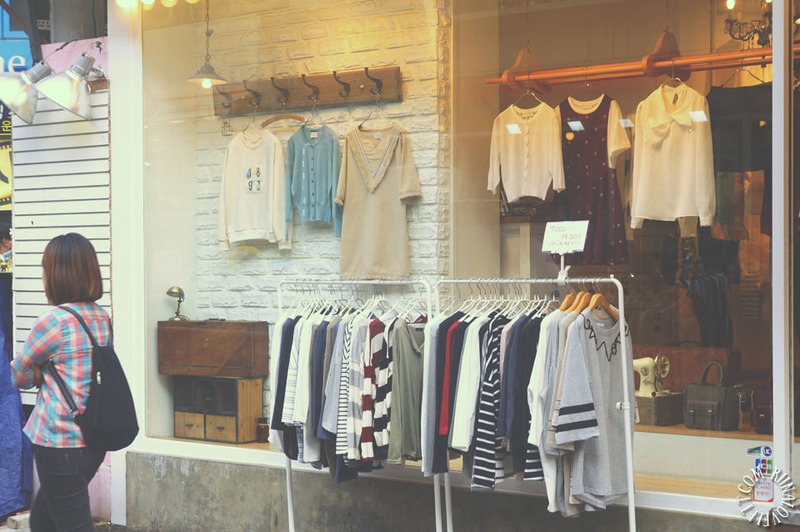 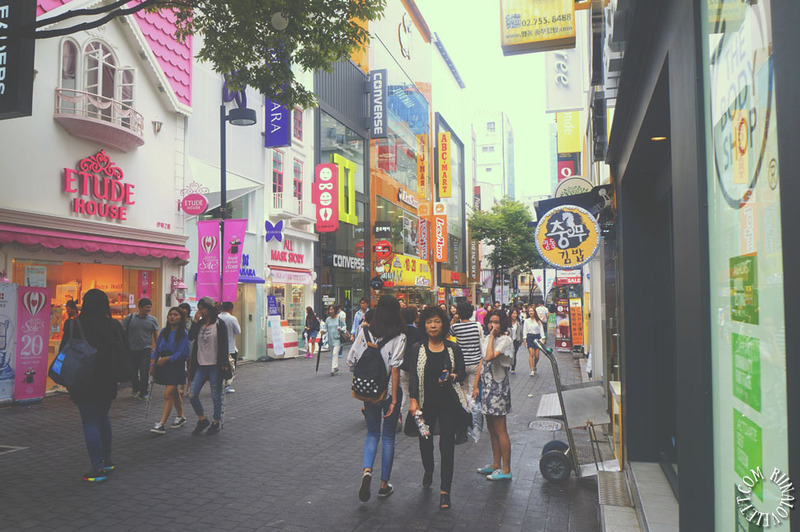 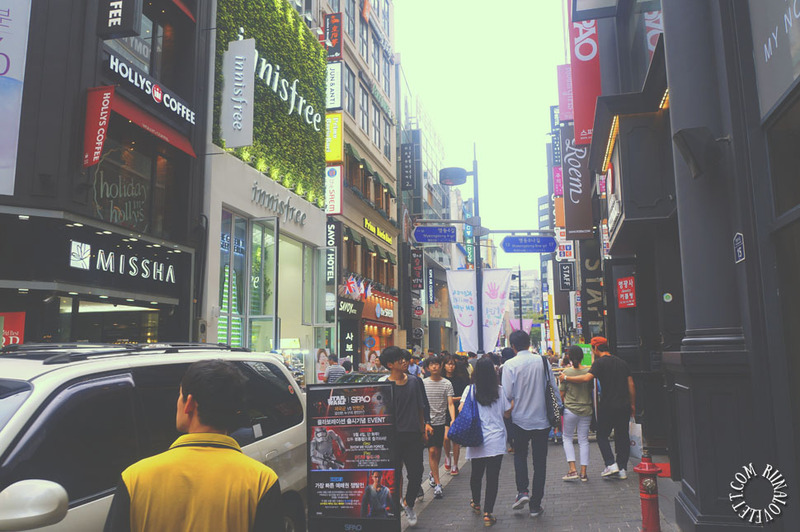 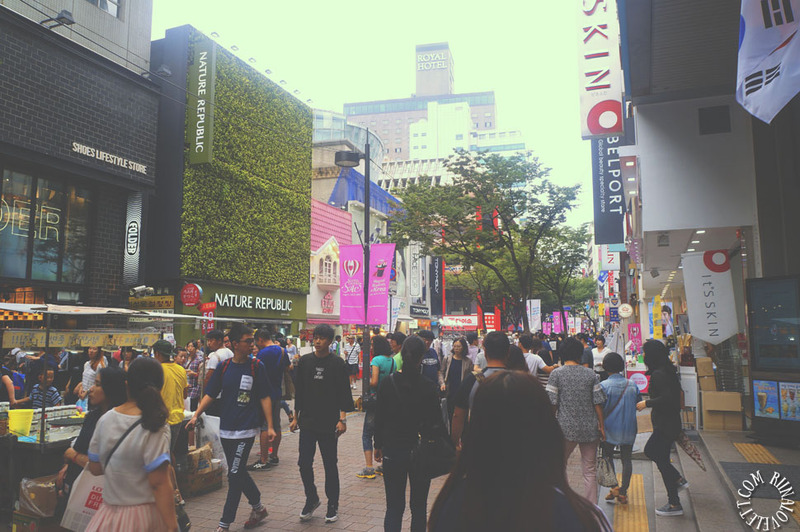 Today, I will share a simple post about my shoppings in South Korea and when I have more time I will elaborate more on the items I have bought and of course the many shopping areas. 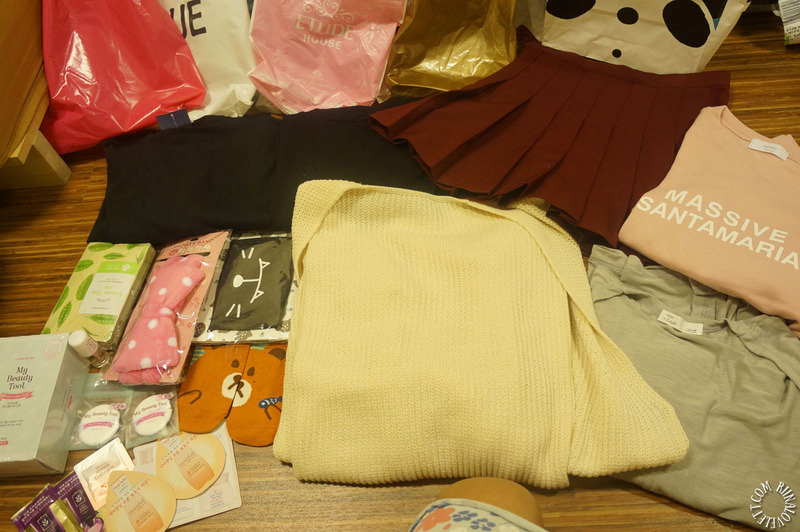 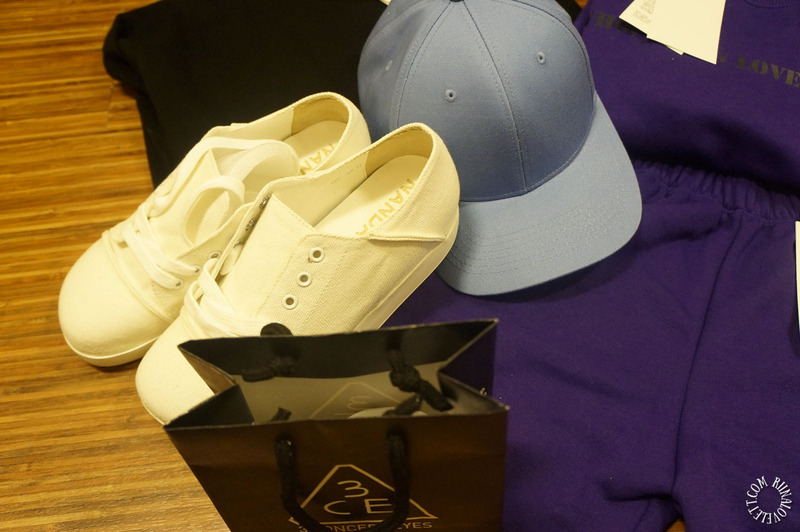 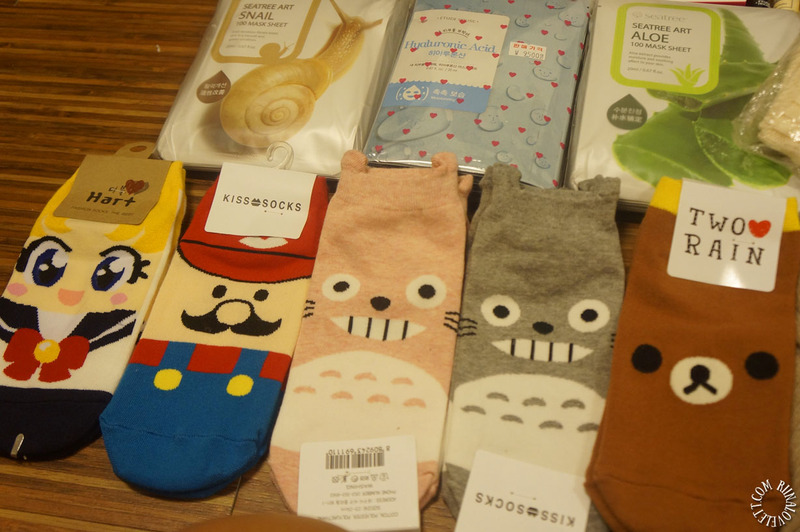 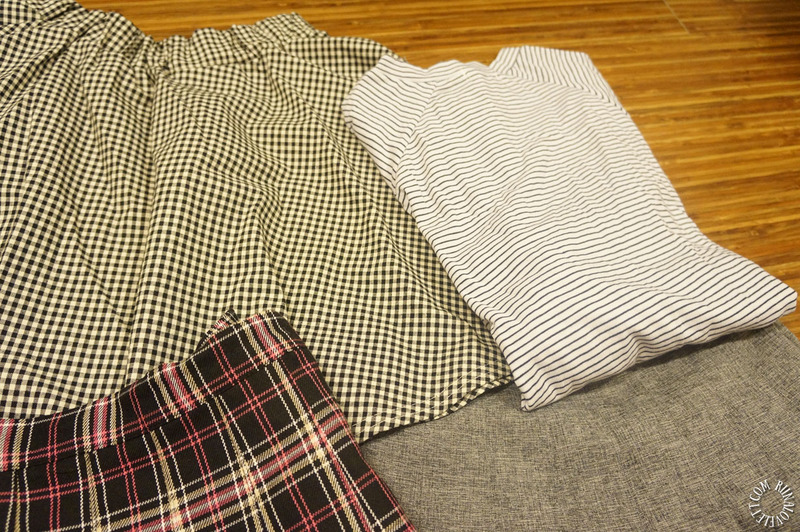 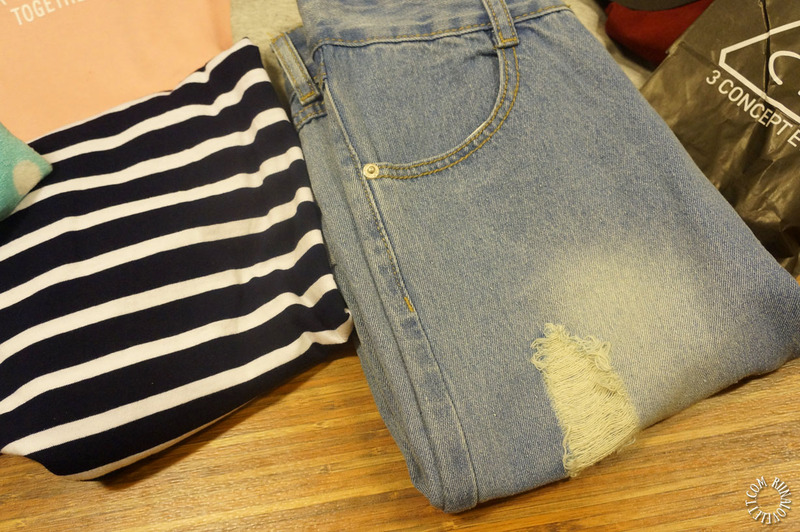 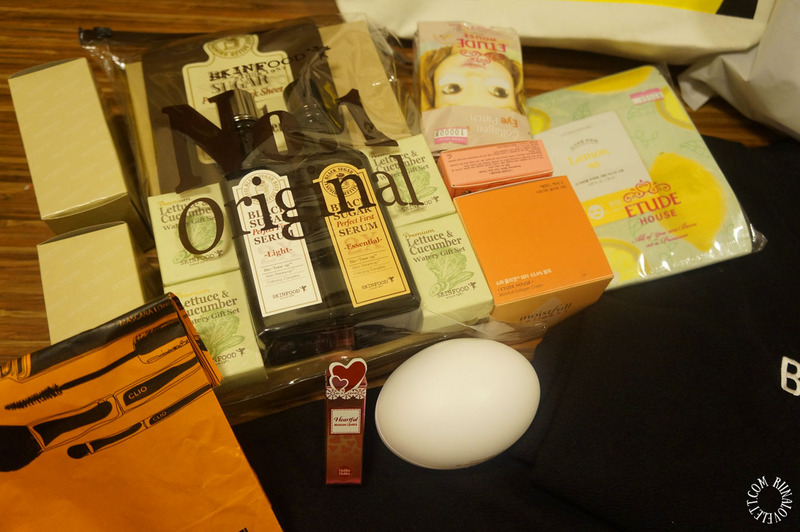 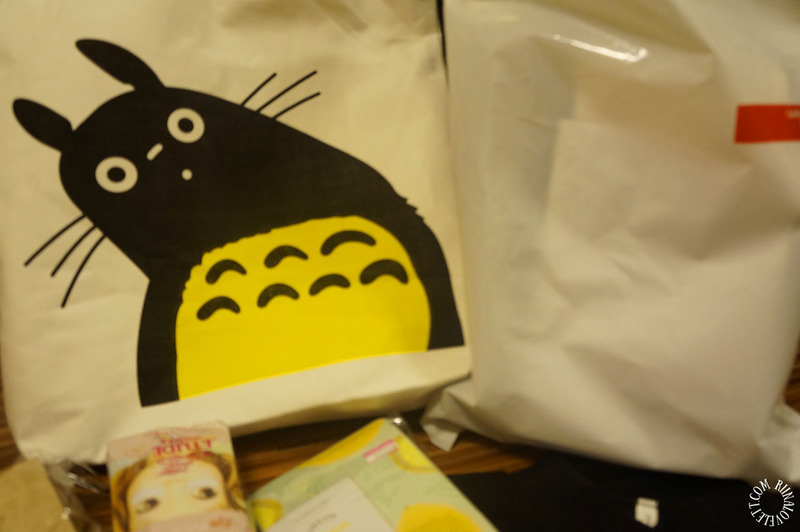 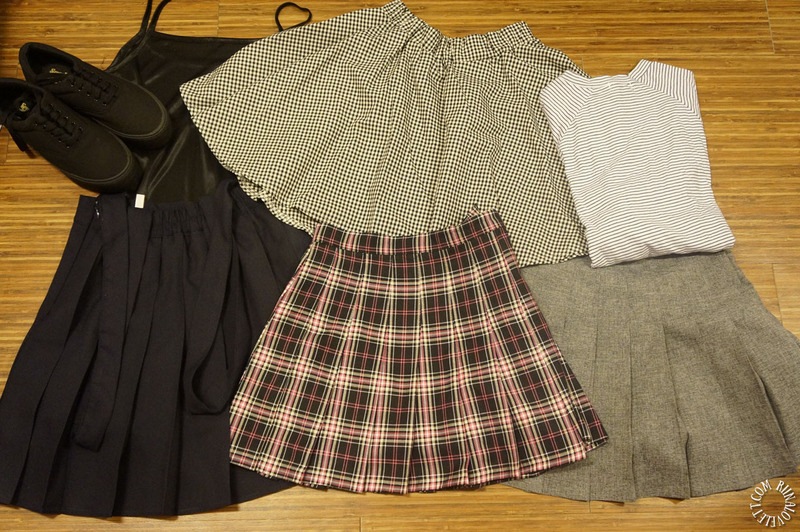 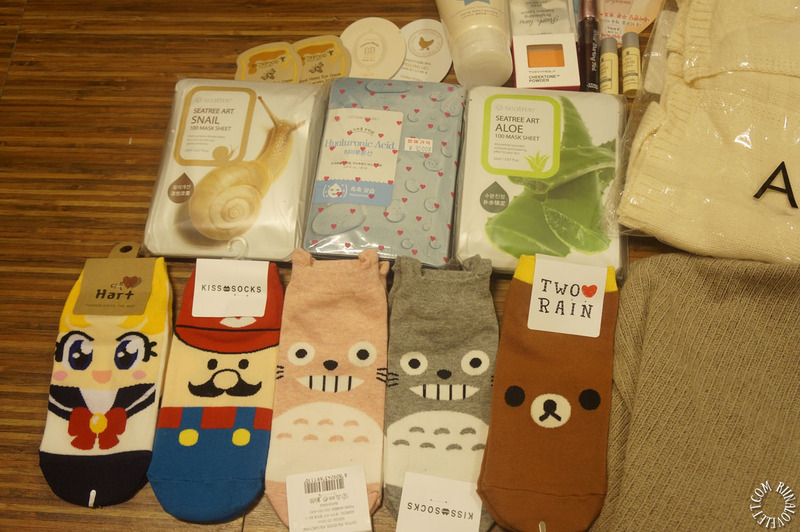 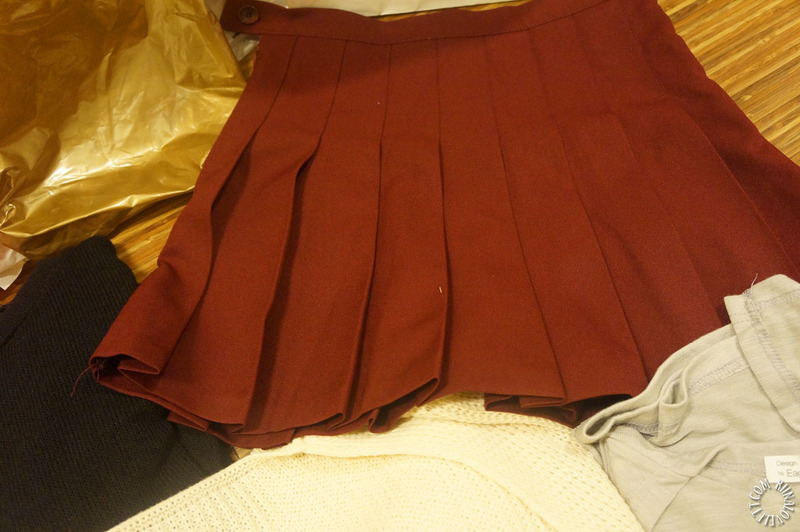 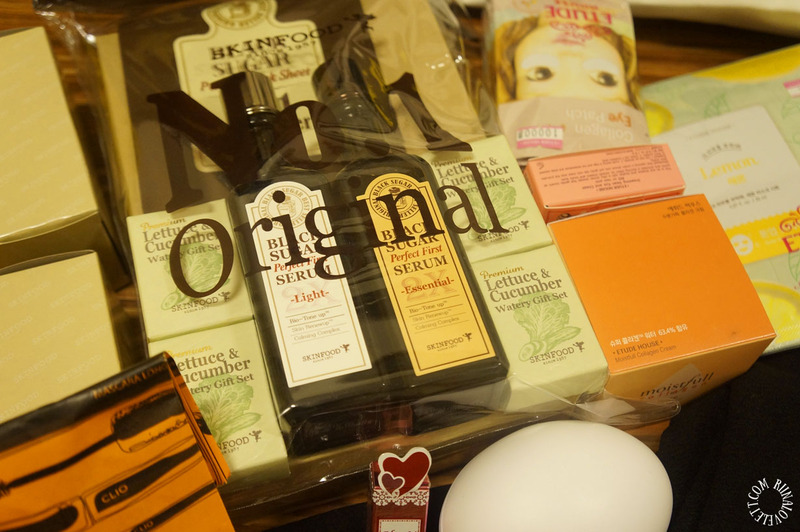 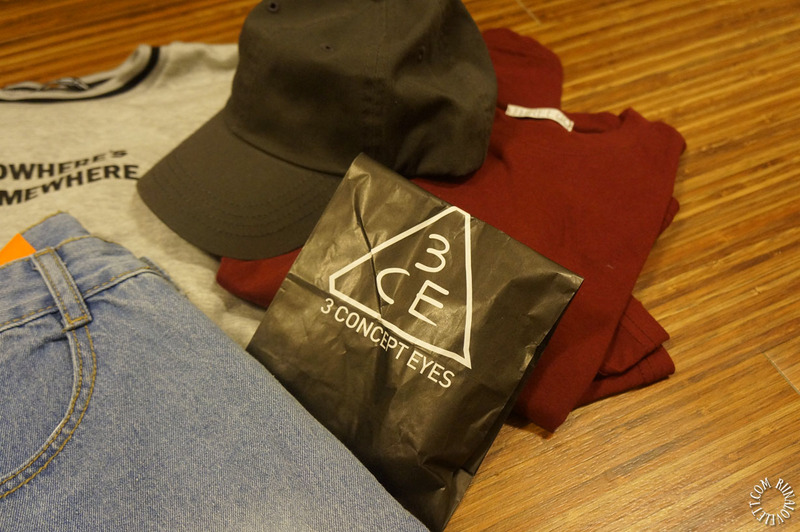 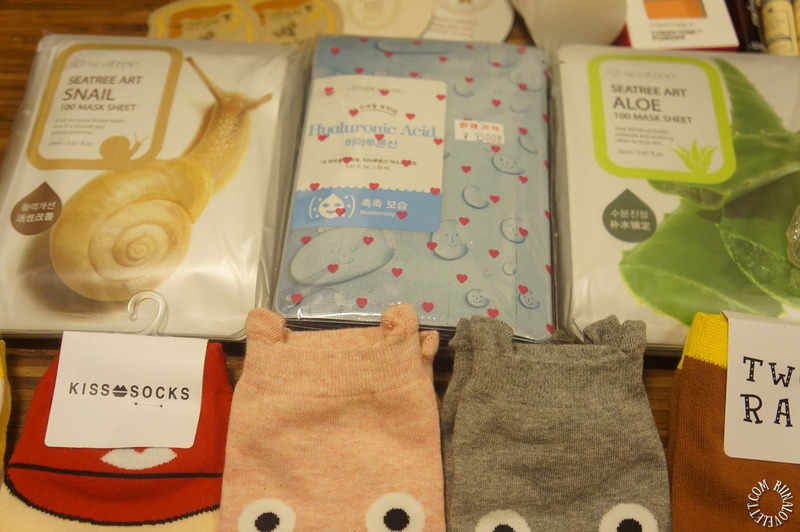 However, I went shopping all around Seoul. 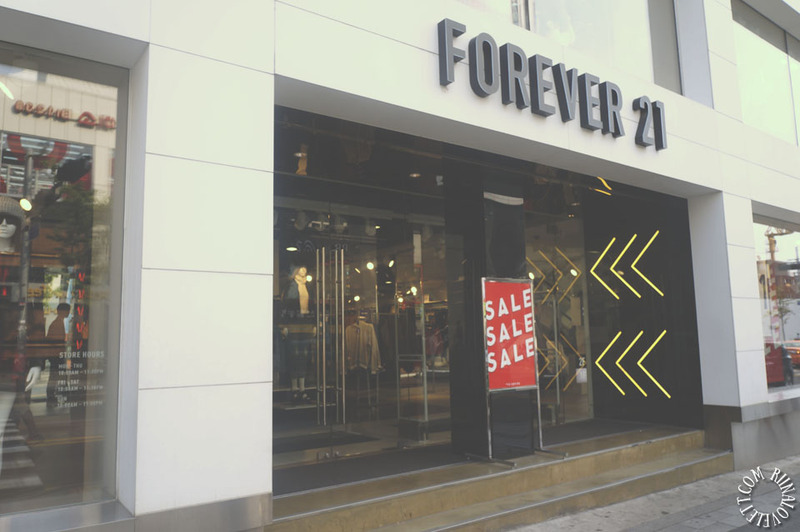 It’s a shopping mecca! 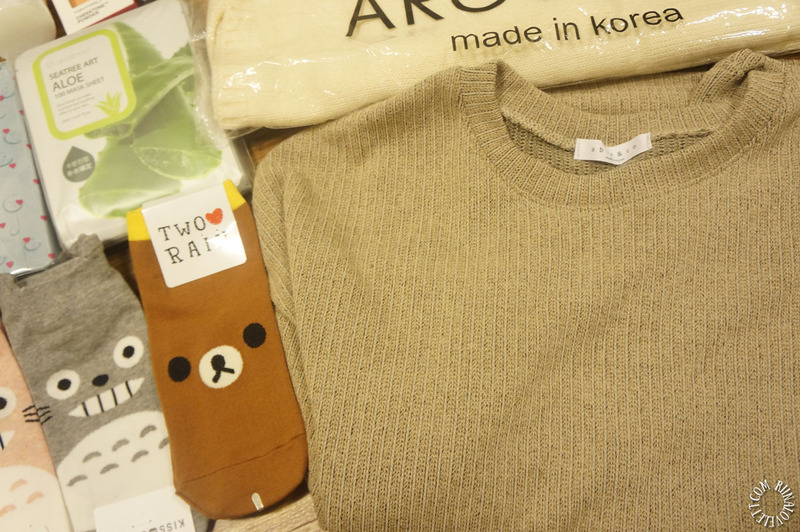 I went shopping in Hongdae, Edae, Myeondong, Garosugil and Jonggak underground. 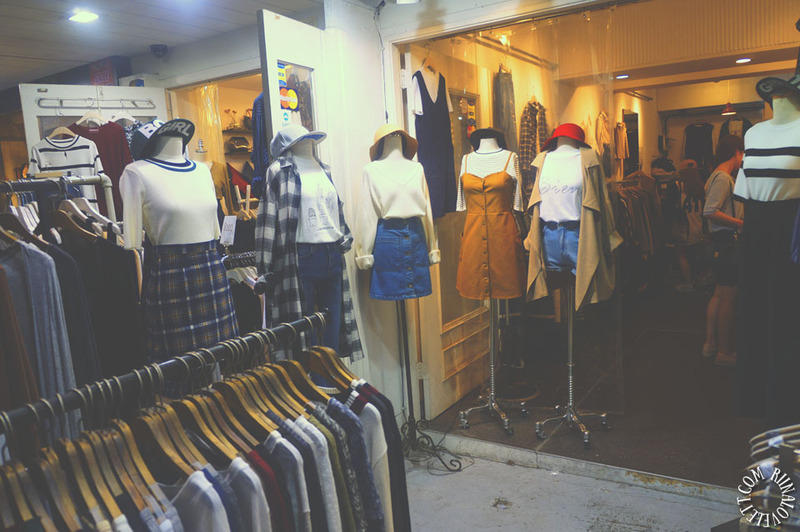 Underground shopping is amazing, you can find anything but for a cheaper price! 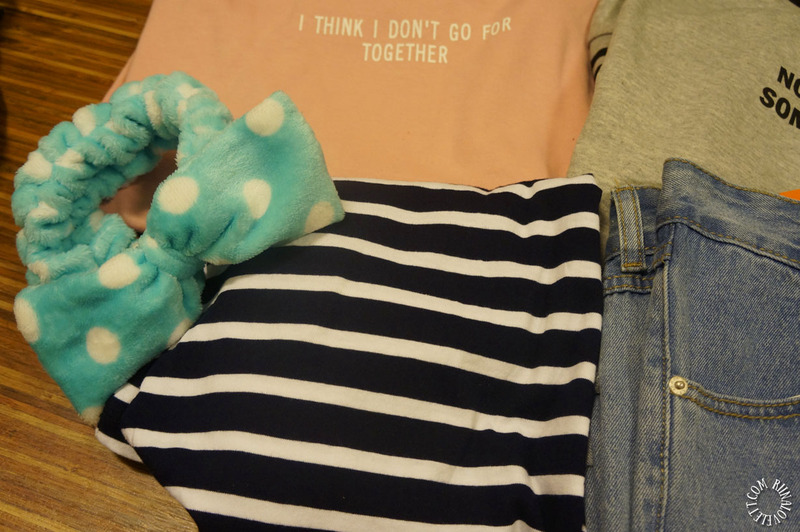 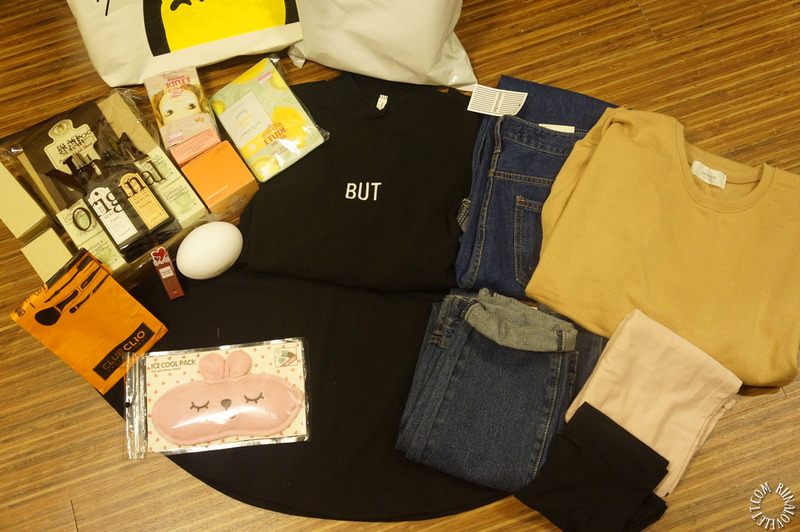 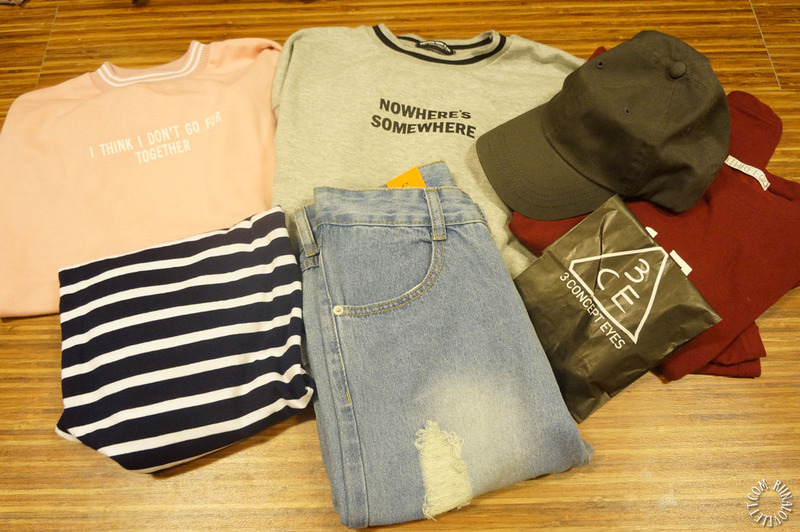 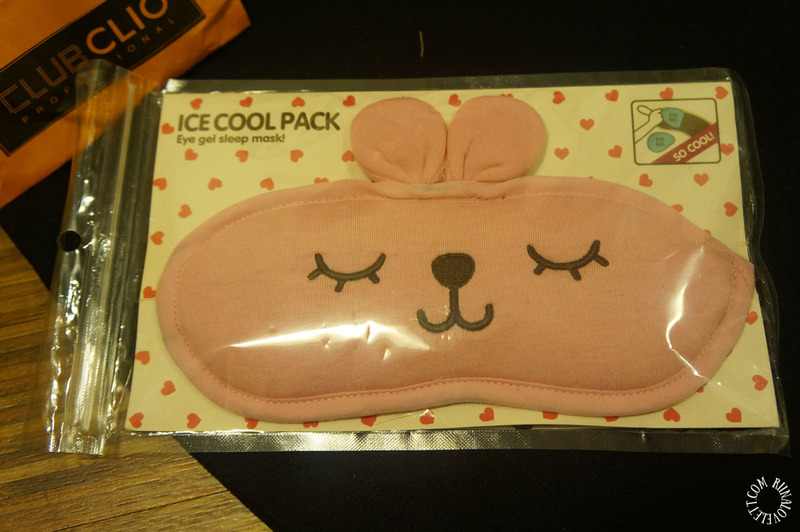 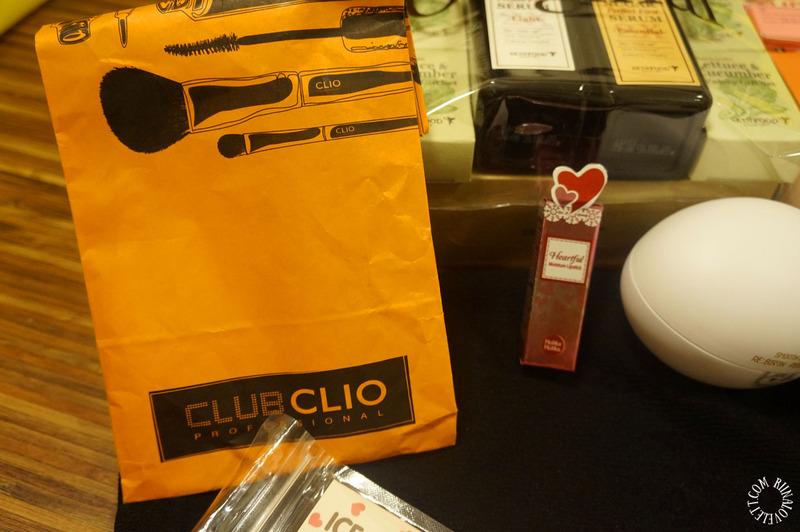 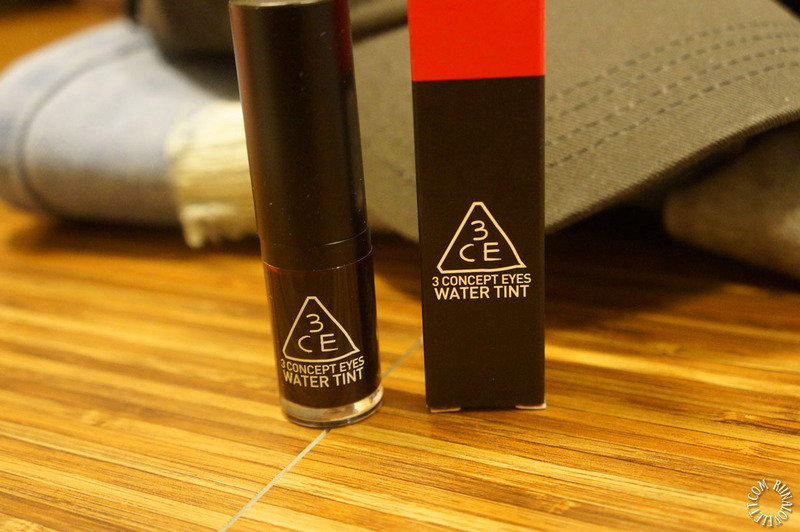 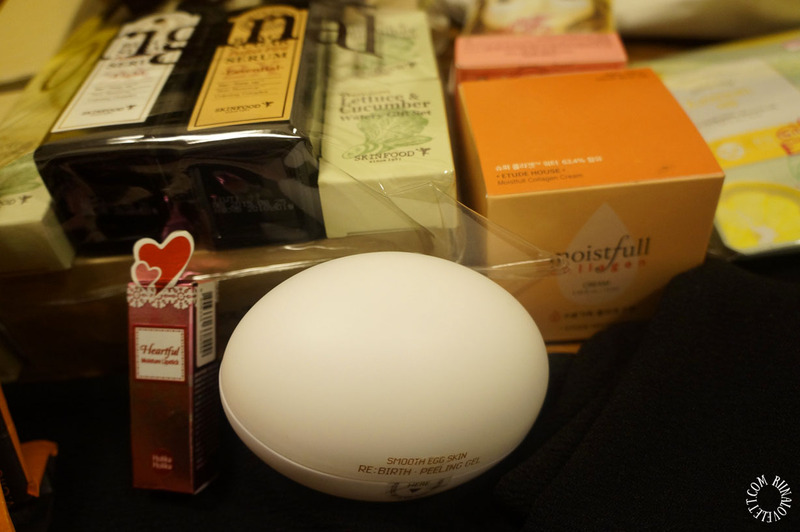 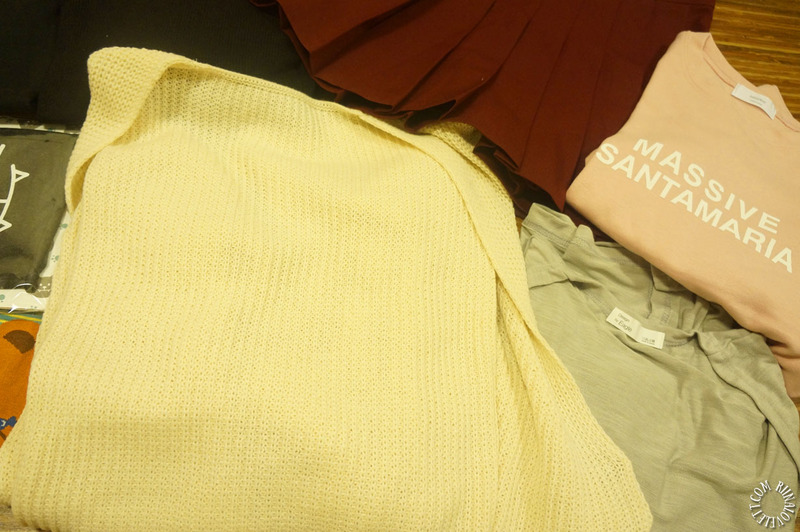 I have bought several fashion items that are currently trending when it comes to Korean fashion, several skincare products and miscellaneous items. 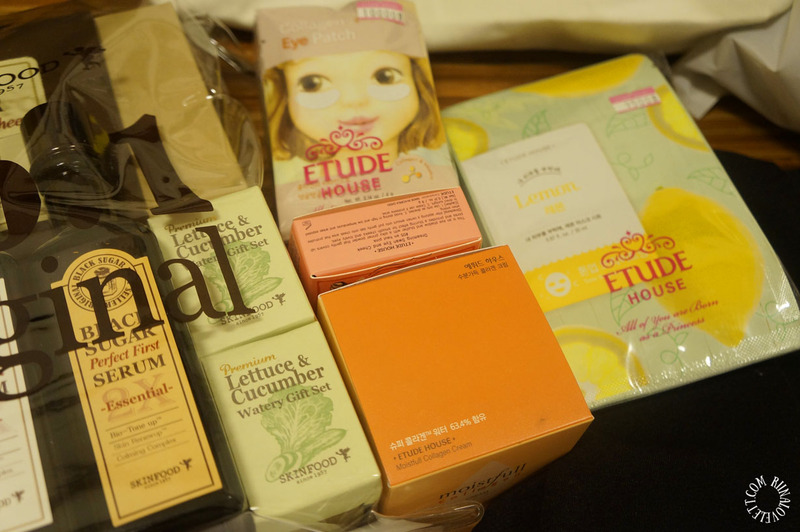 I regret not buying more skincare products but thankfully Korean cosmetics are easily attainable online. 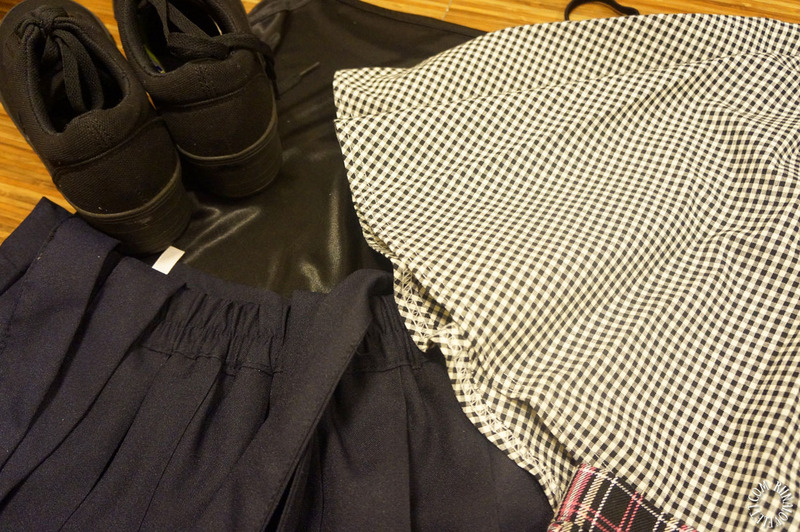 I made several photos of my daily shoppings in my apartment. 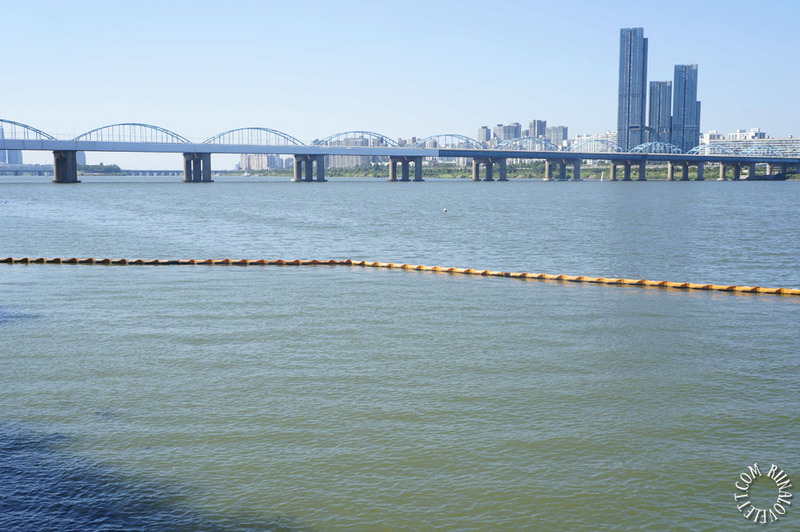 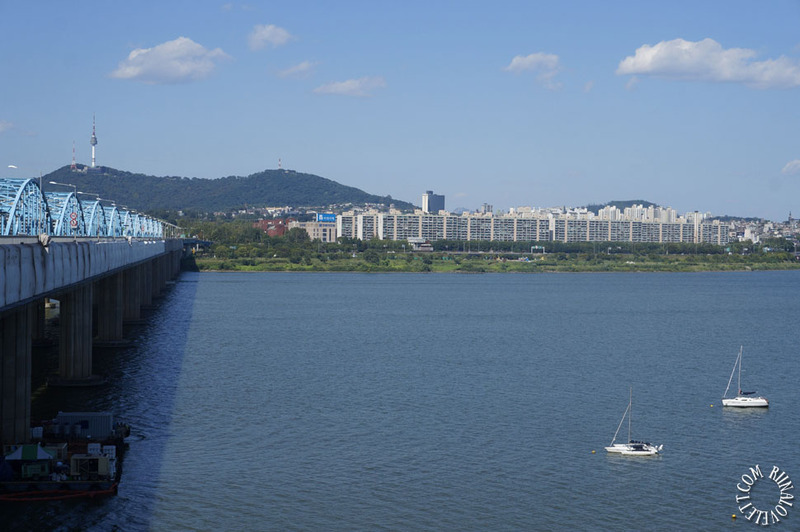 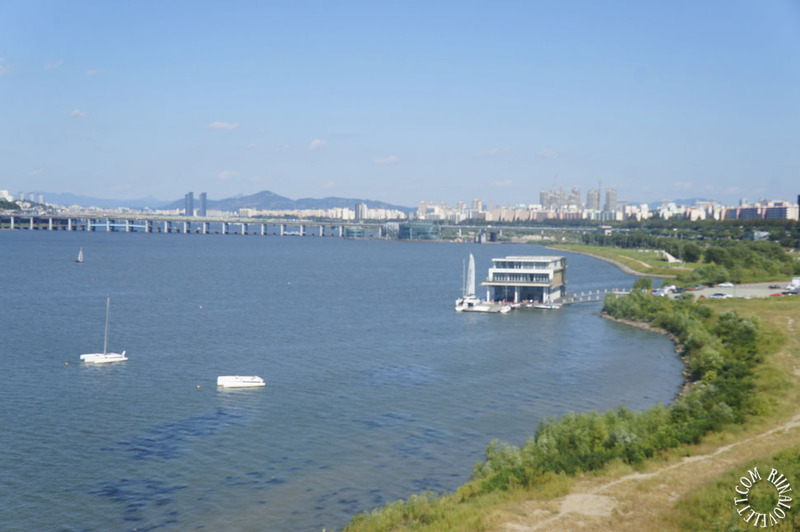 After days that consisted of shopping and sightseeing, I decided to take it easy and spend a day relaxing at Han river. 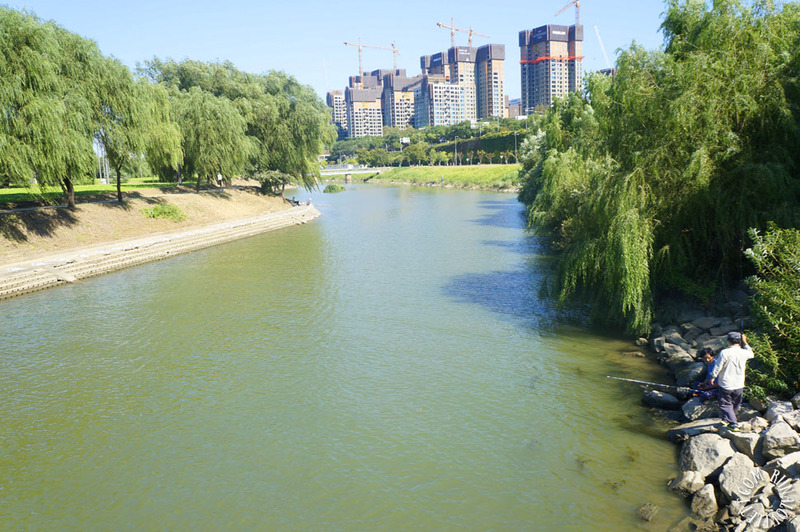 A lot of people come her to enjoy the beautiful park. 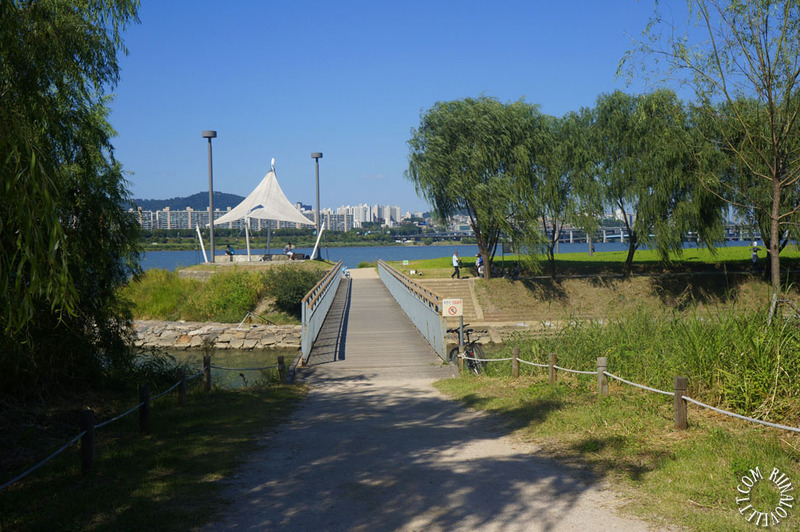 I saw many people jogging, cycling, fishing or just taking a relaxing walk. 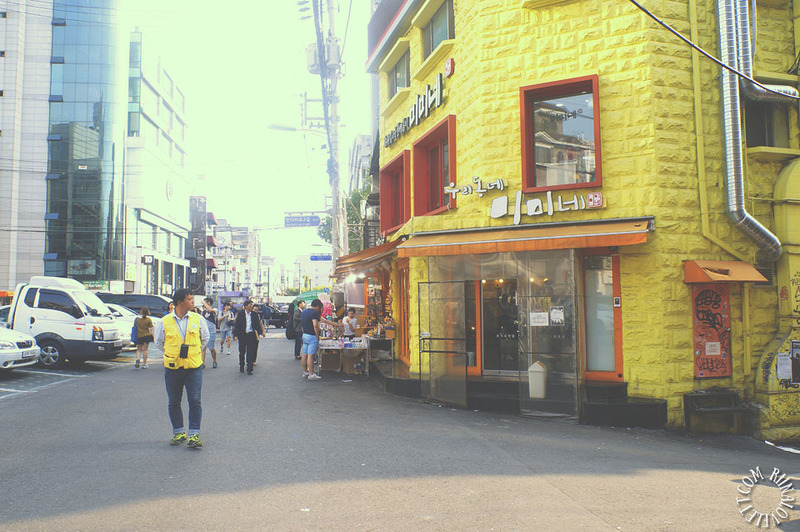 Some passerby caught my eye because their faces were covered with masks and sunglasses. 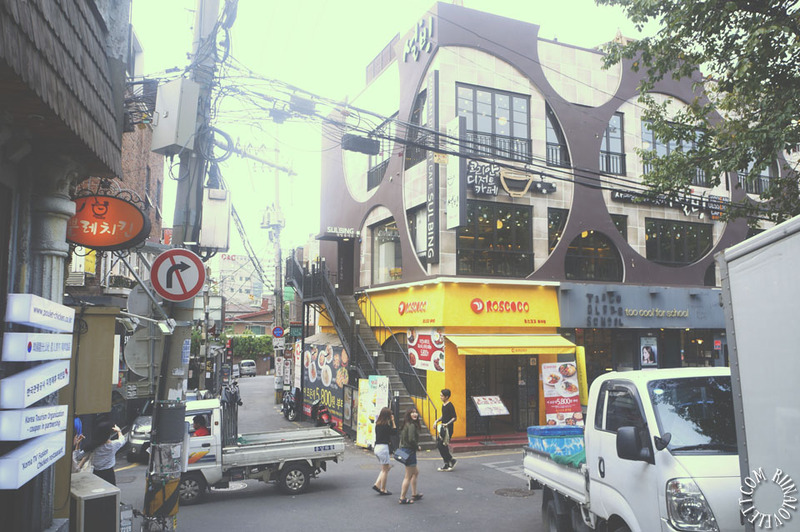 The person I was with told me that some Korean celebrities/Kpop idols visit this area. 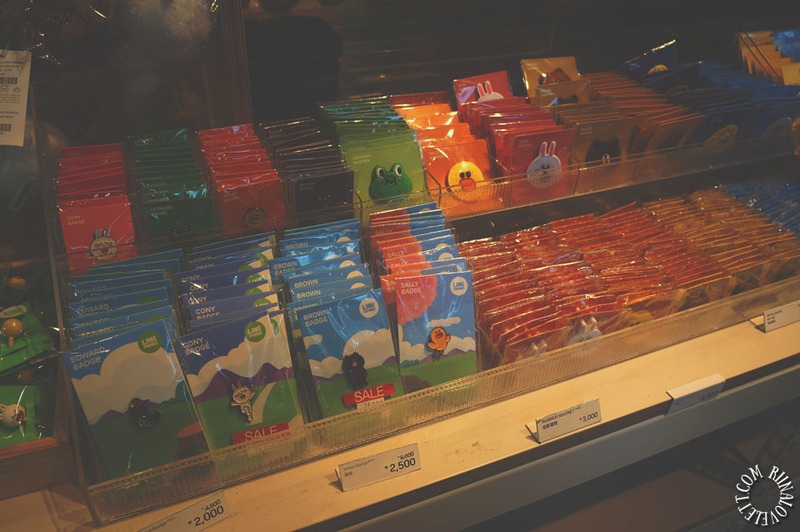 They’re covered up to protect their privacy. 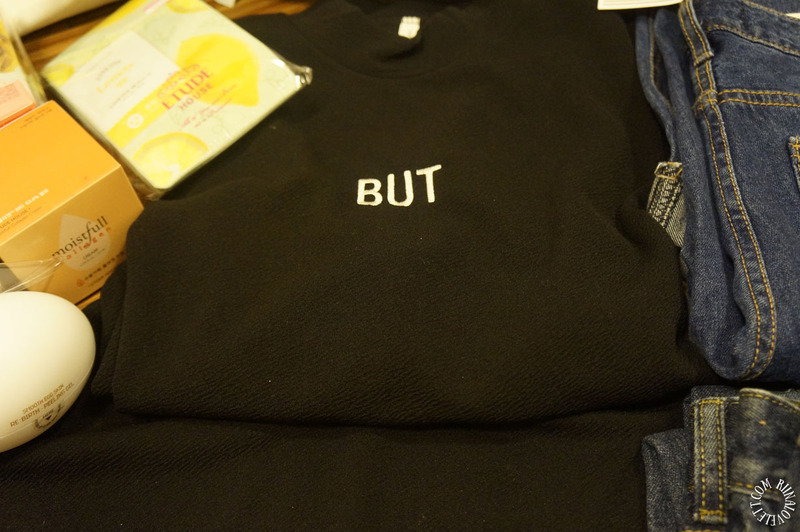 I’m not sure if that’s true. 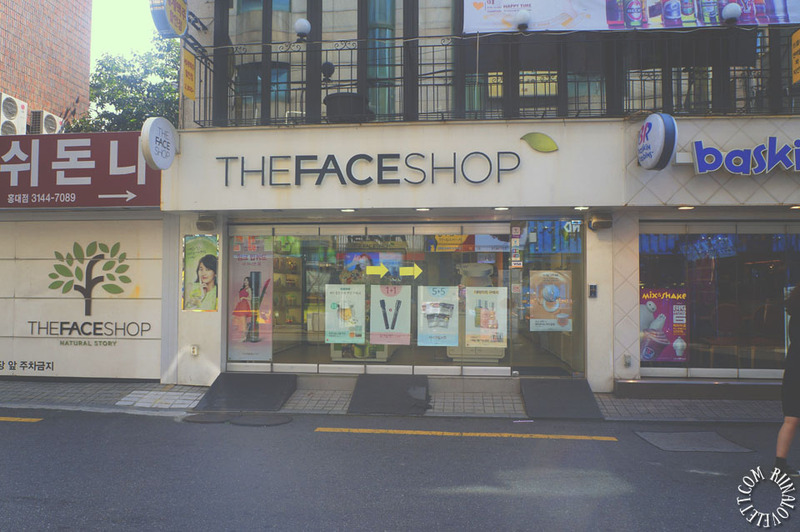 I rather think that they’re just protecting their faces from the bright sunlight. 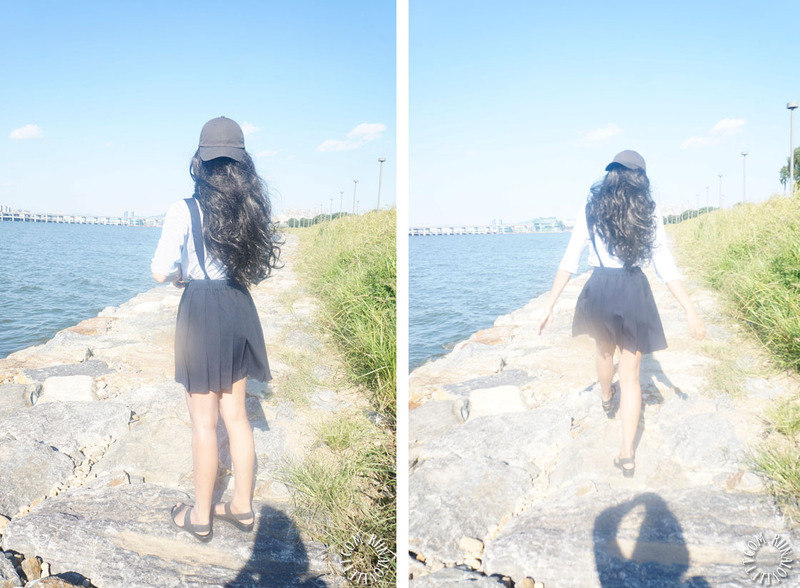 I brought a few snacks, so I could have a little picknick along the coastline. 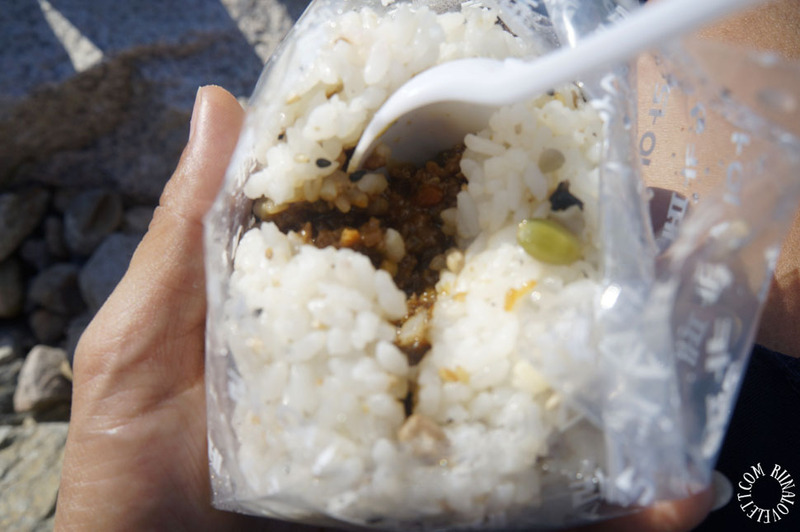 I just had a with meat filling inside, some crisps and Binggrae flavored strawberry milk. 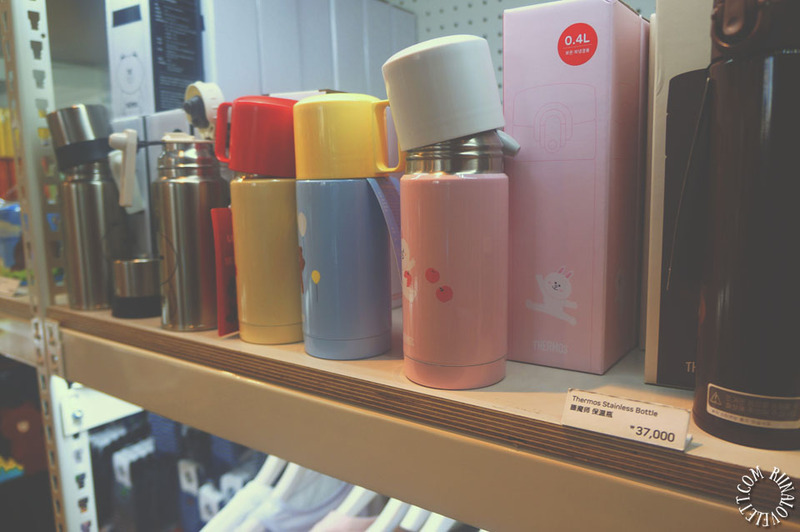 I actually drunk a lot of those flavored milk drinks. 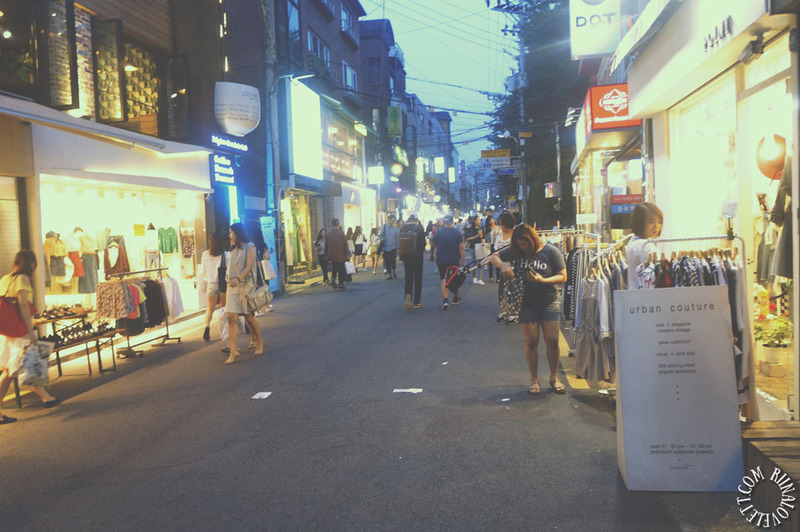 I wish I could have beautiful relaxing moments like this every day. 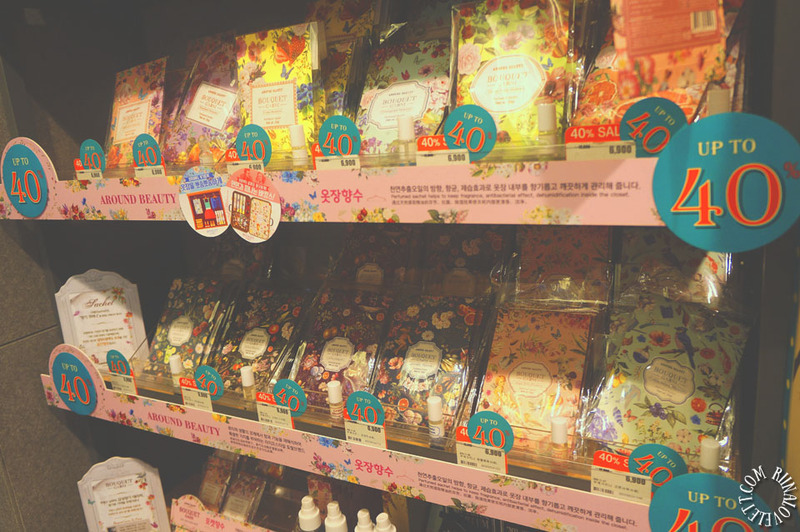 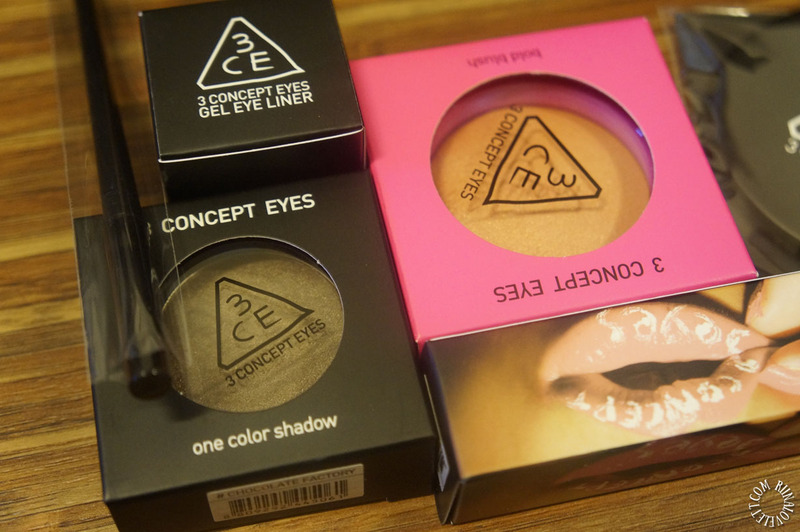 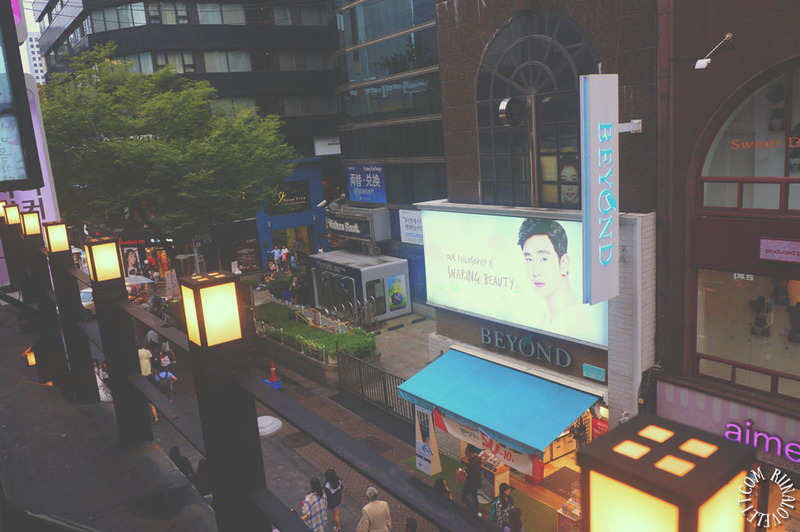 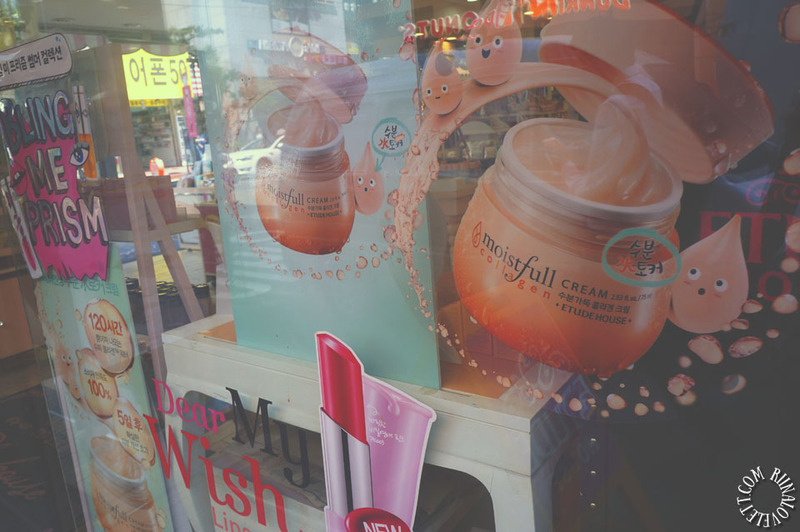 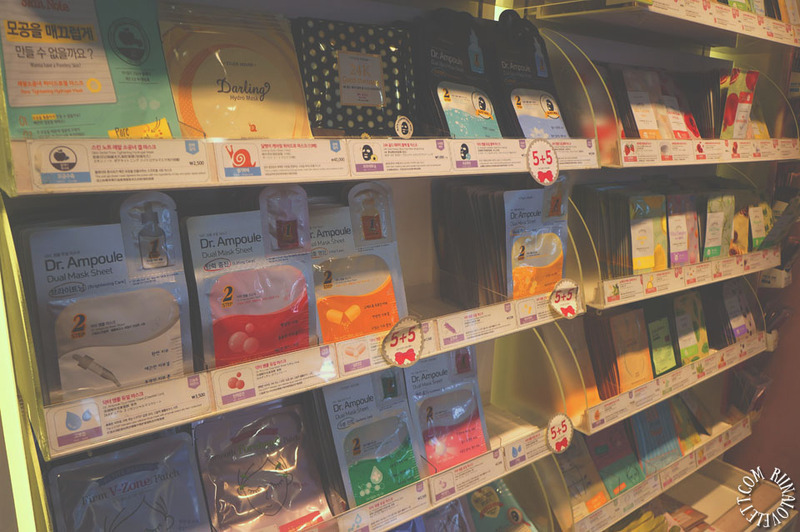 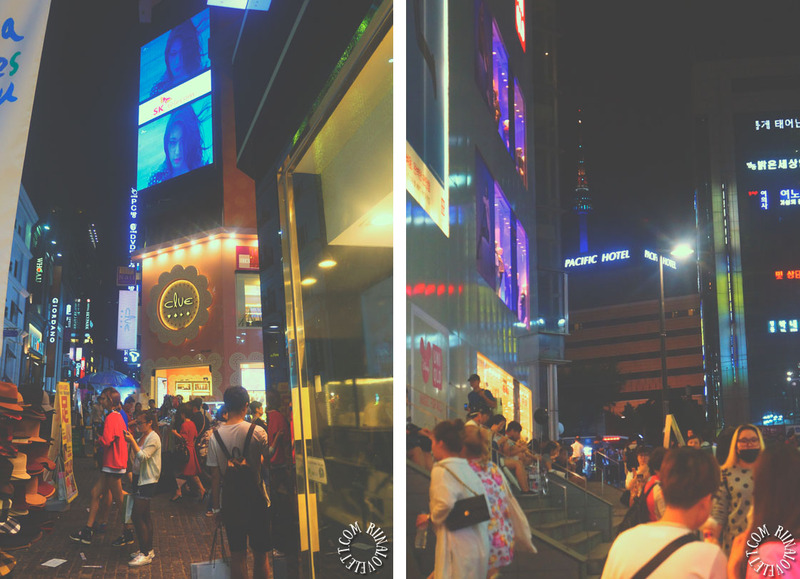 Myeongdong is the place for buying cosmetics. 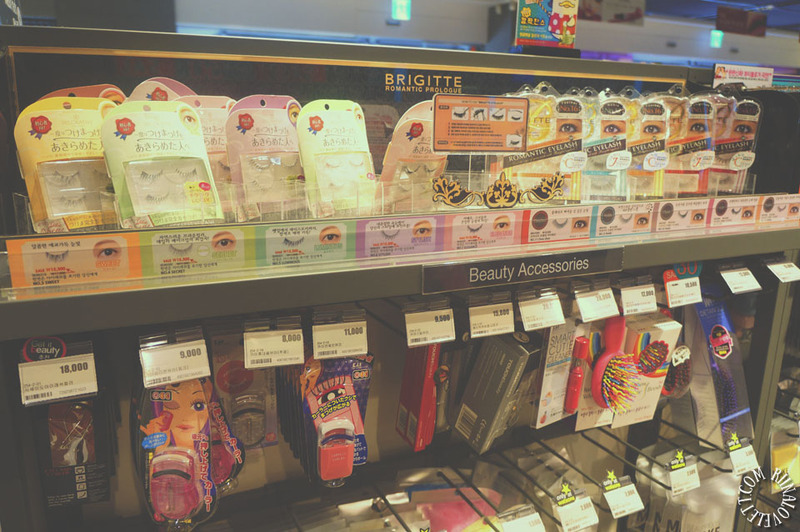 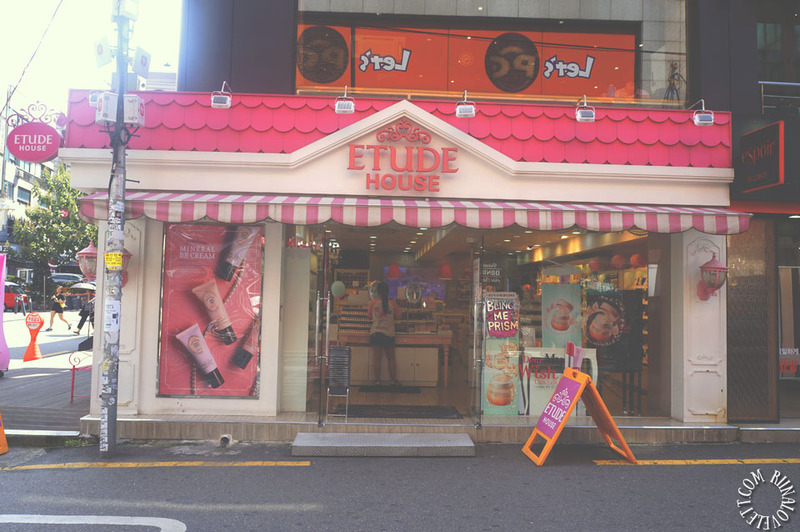 They have many stores reaching from Etude House to Skinfood. 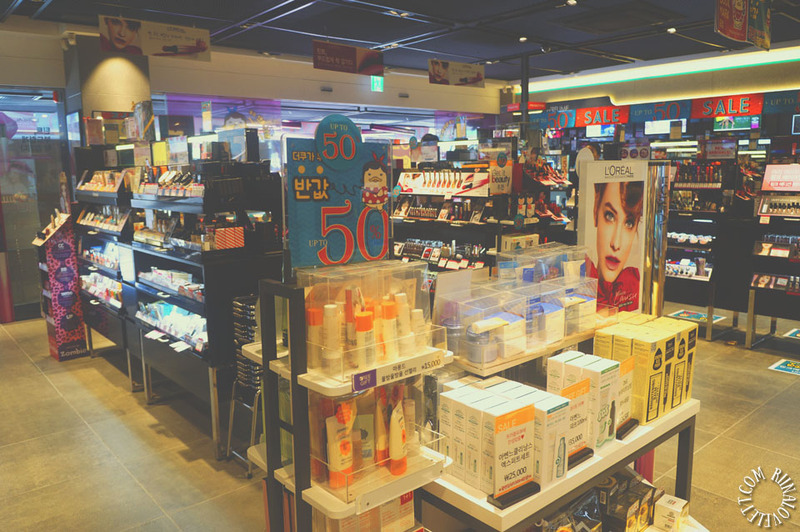 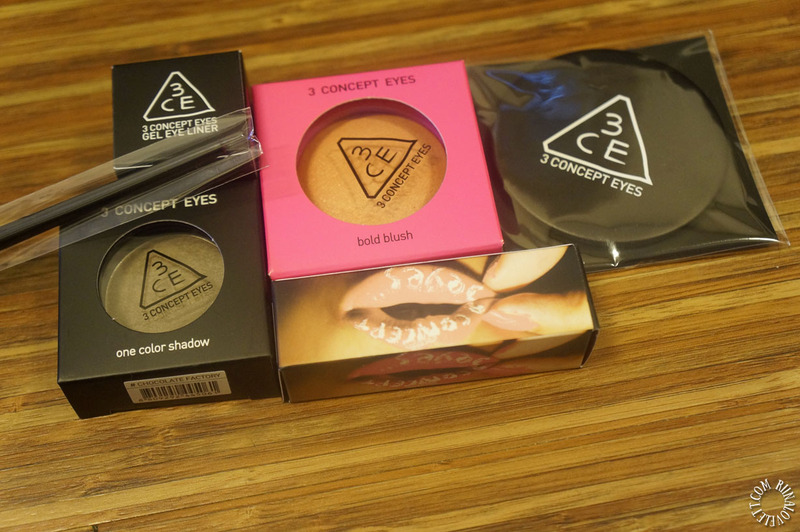 I really suggest buying makeup and skin products in Myeongdong because they often have amazing deals and sales. 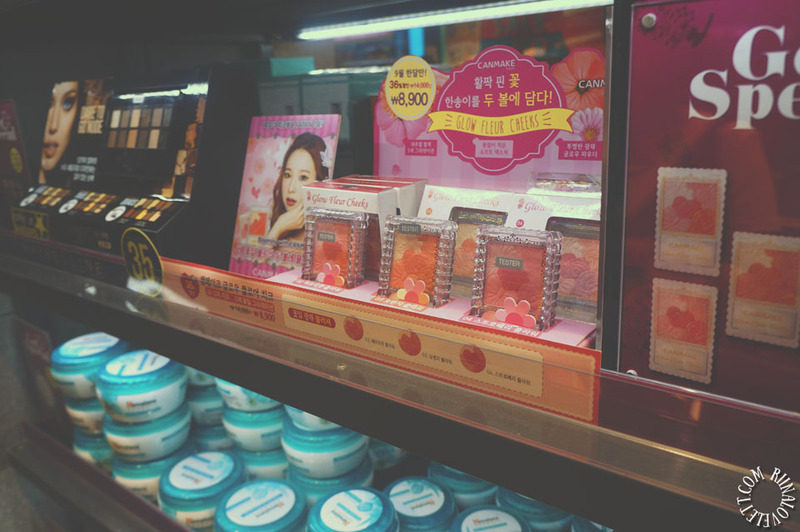 For instance, I bought a few things at Etude House and I got a facial cream for only ₩4,000. 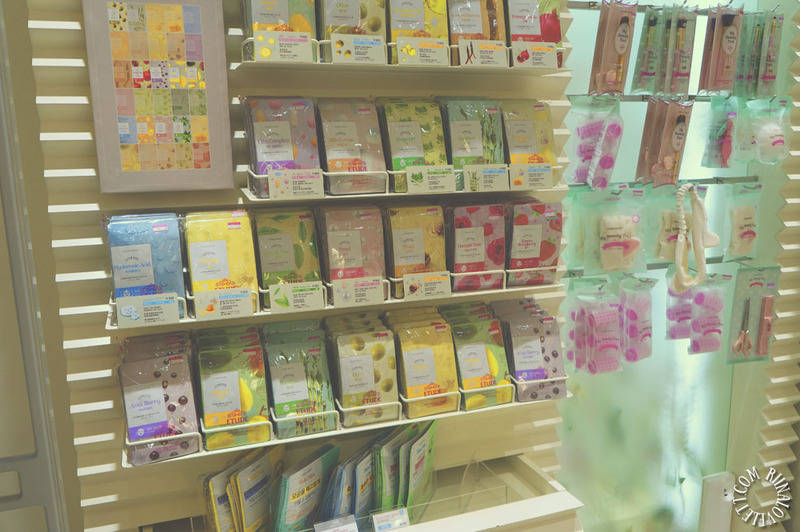 They also have great deals for facial masks and so on. 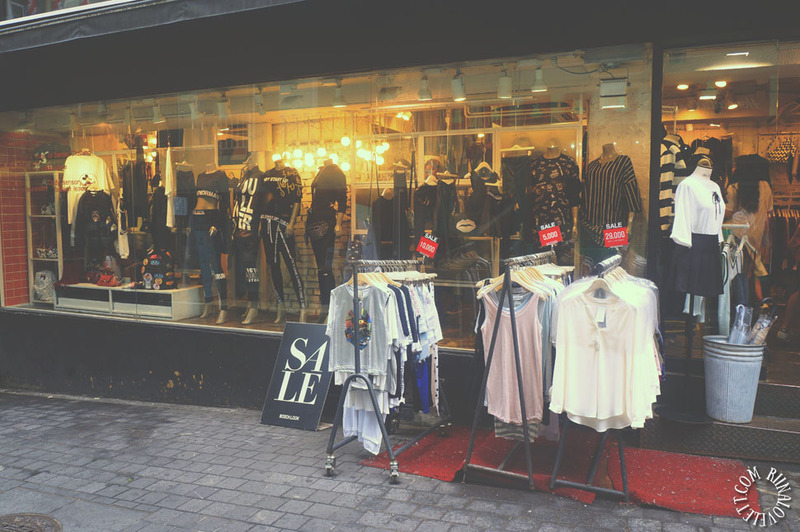 The sale ladies can be very pushy and I suggest people to be beware of that. 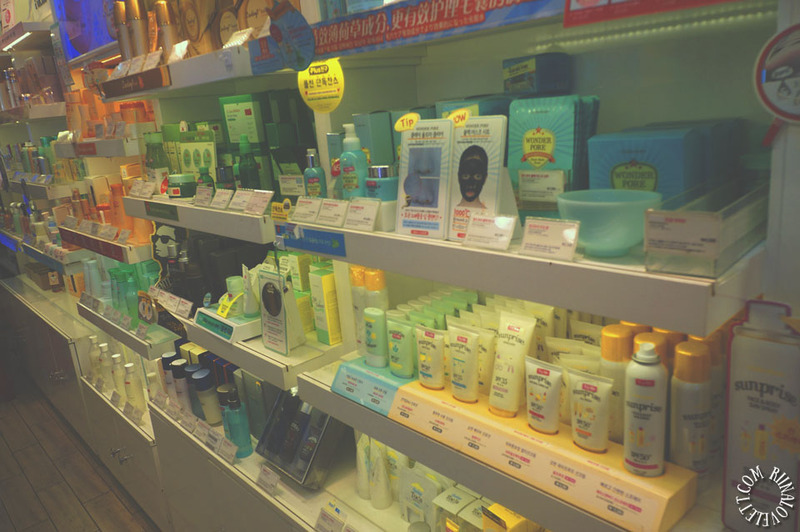 One lady talked me into buying a collagen cream and an exfoliate lotion, which I didn’t really needed. 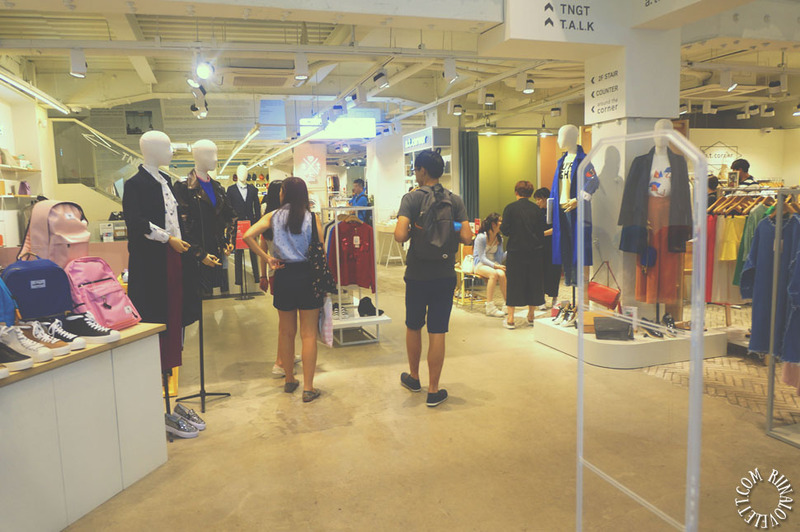 When you entered the store they also tend to follow you around. 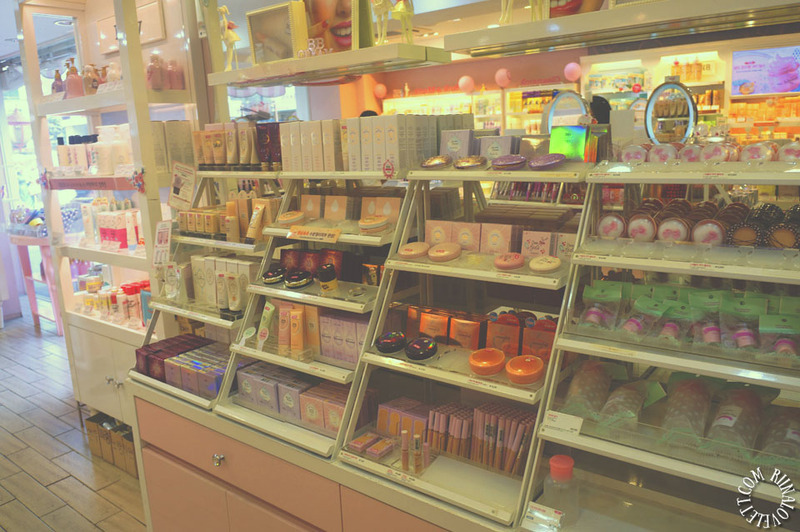 It can be very handy if you want to ask questions but I’m more of a quiet shopper. 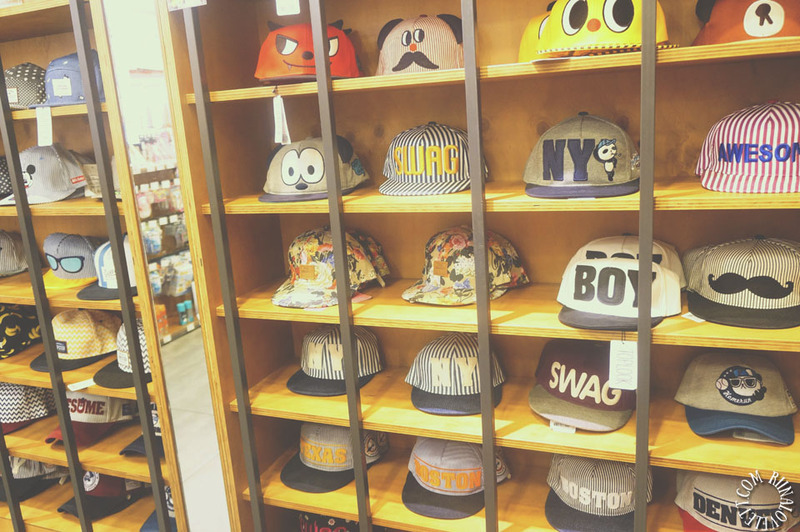 I like to take my time and look at all the options before buying something. 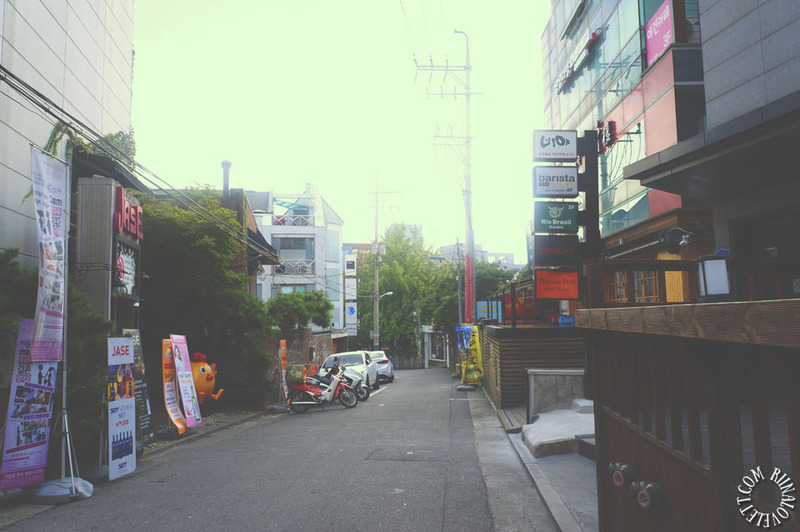 I’m really bad at ignoring people, so it made me feel a bit uncomfortable. 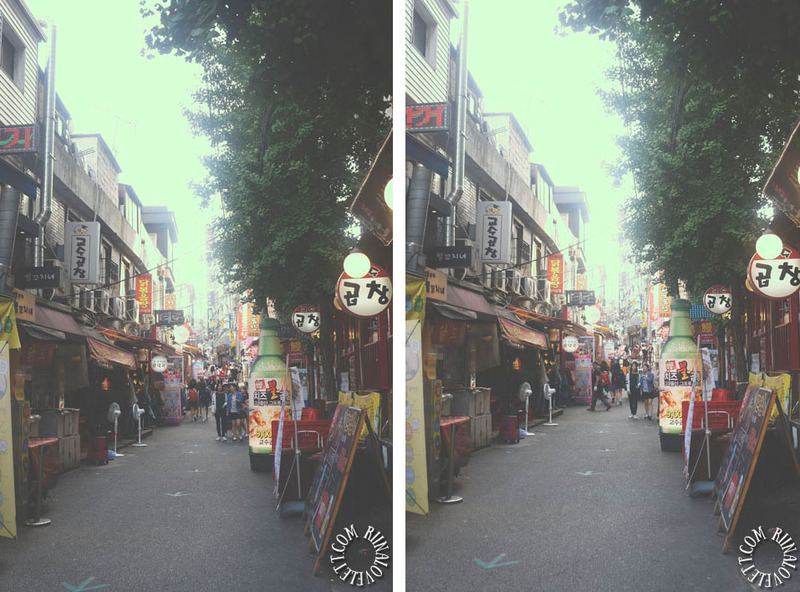 It was something I really needed to get used to. 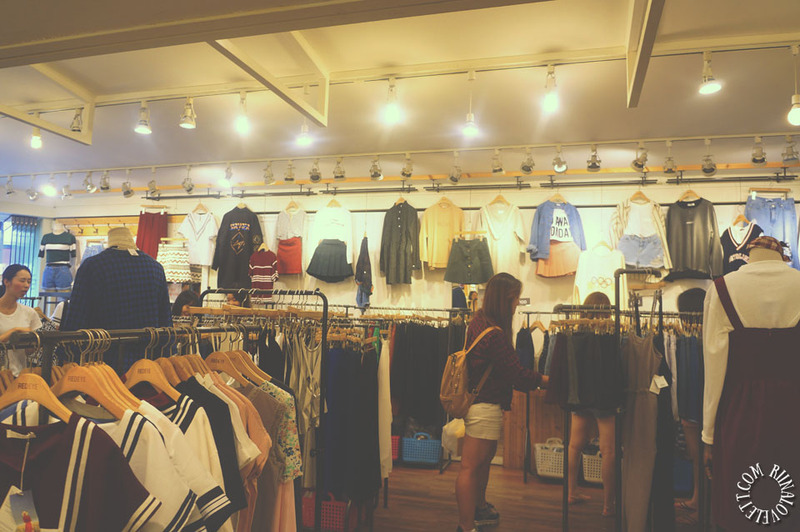 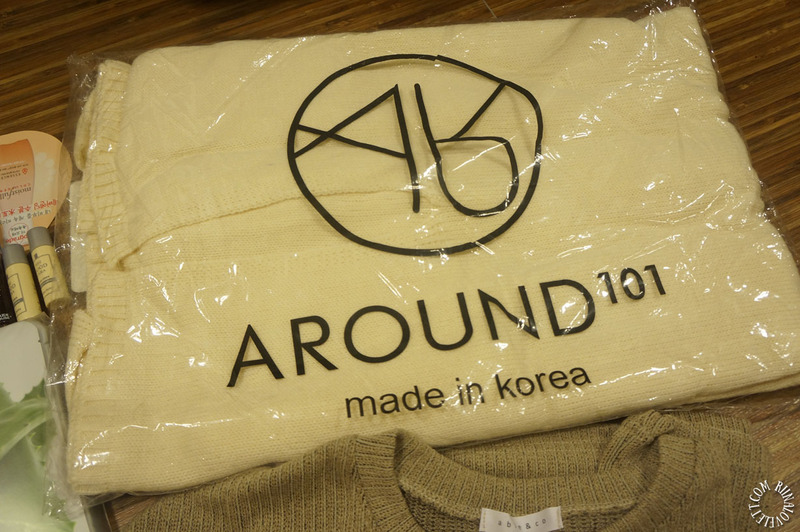 You can also buy clothes in Myeongdong but the prices are a bit higher compared to Hongdae. 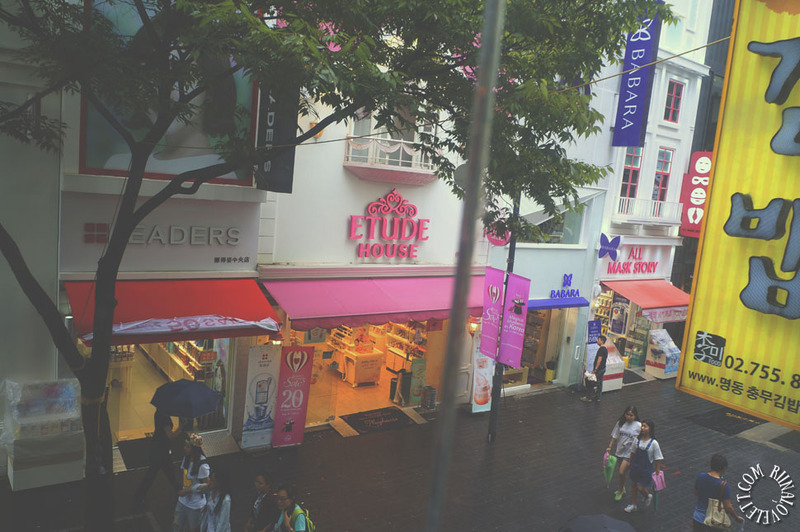 Although, I remember buying quite a bit of fashion items there. 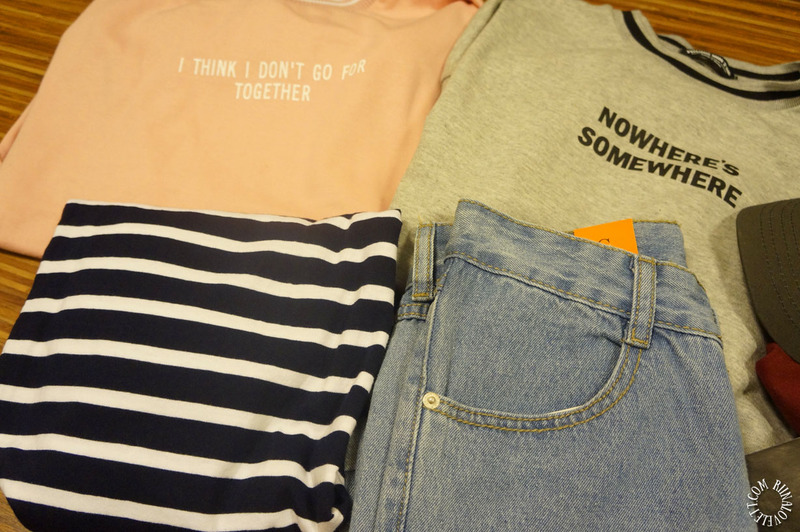 They have many cute clothing shops, therefore, I couldn’t help myself. 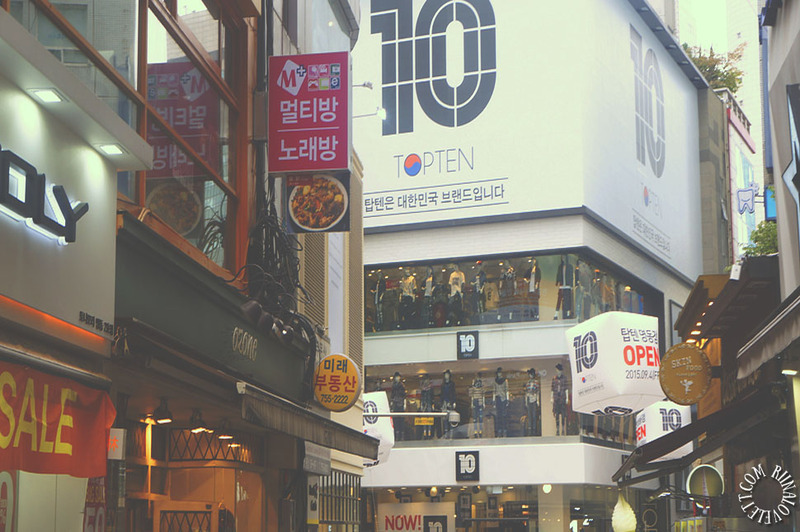 There are a few department stores as well. 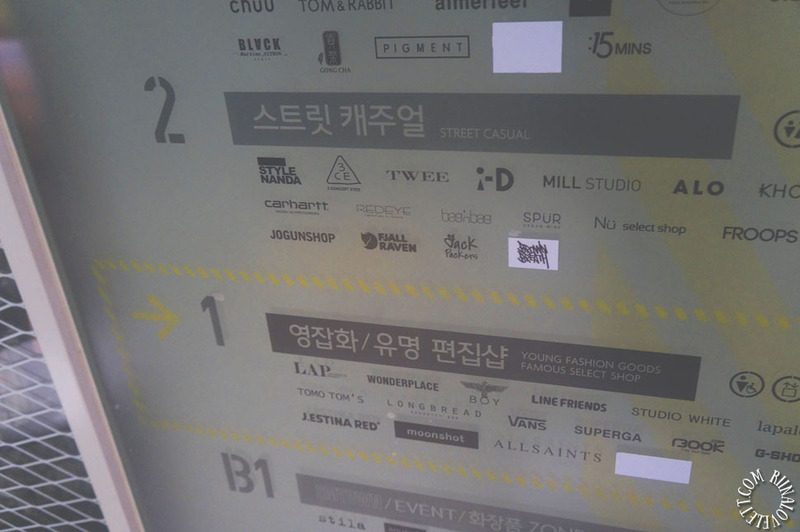 My favourite one is Lotte Young Plaza. 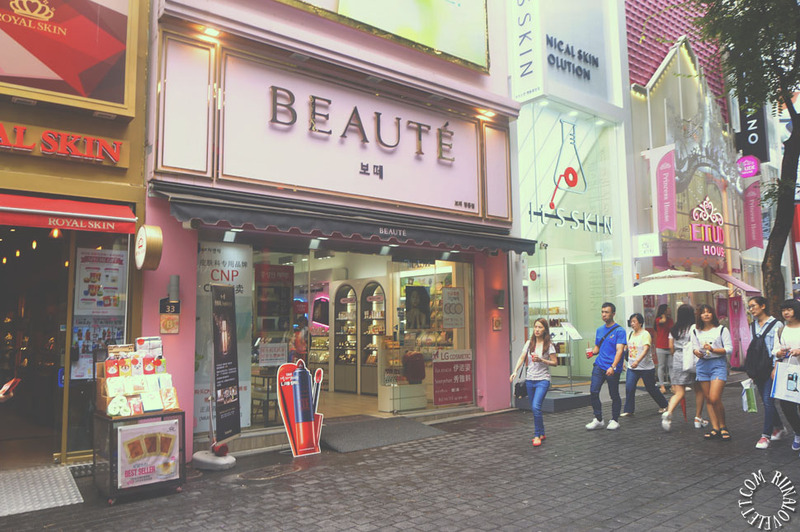 This mall fits the taste of a younger generation and combines street style with luxury. 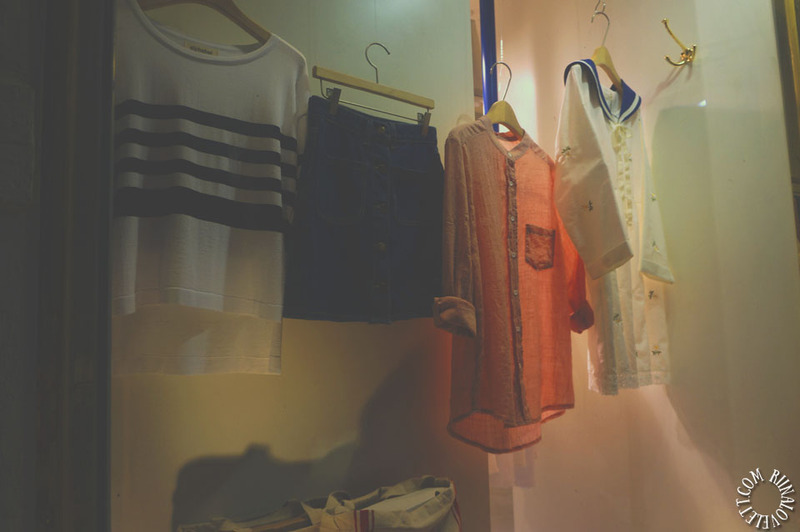 They have brands like Pinkage, Stylenanda, Wonderplace and many more. 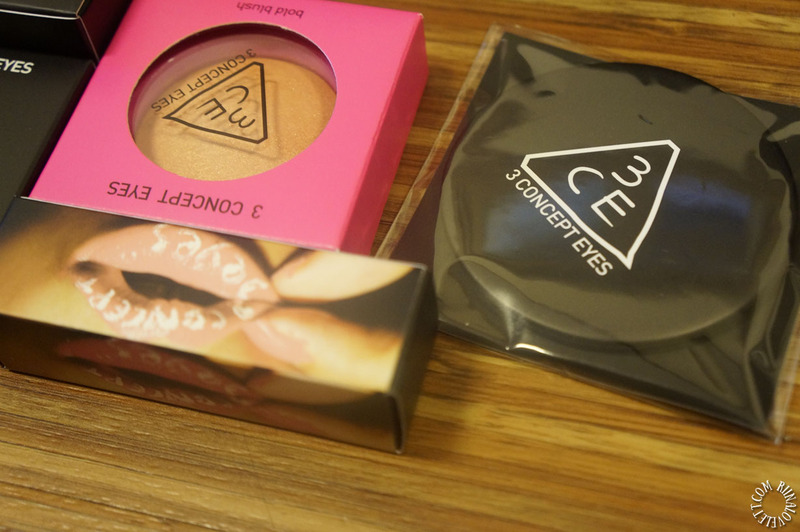 I took many pictures as well as photos from makeup items. 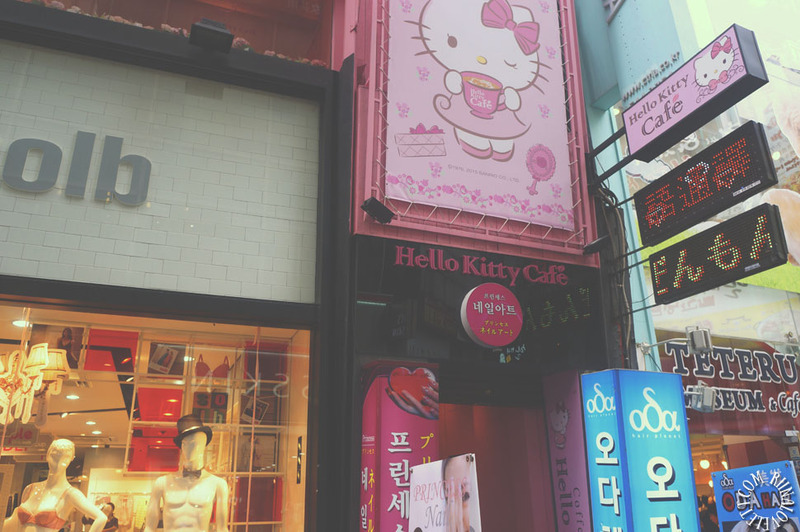 But my memory card got corrupted and unfortunately, I’ve lost the data :'(. 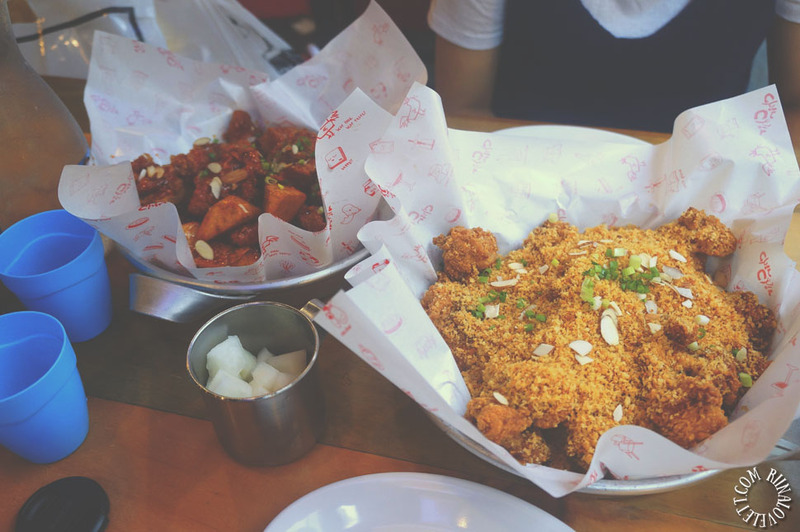 For dinner, I had Korean chicken. 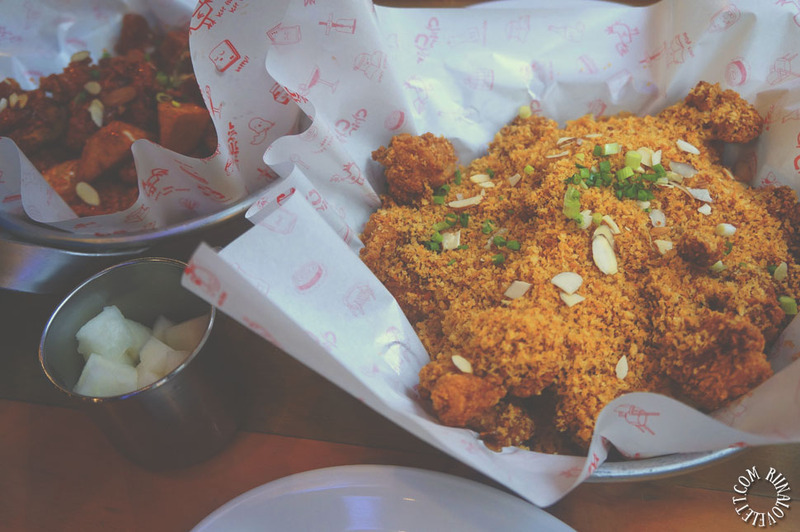 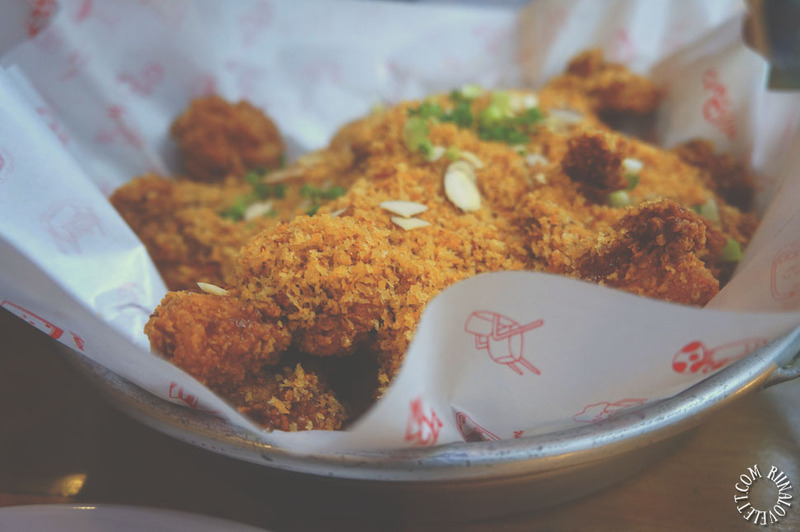 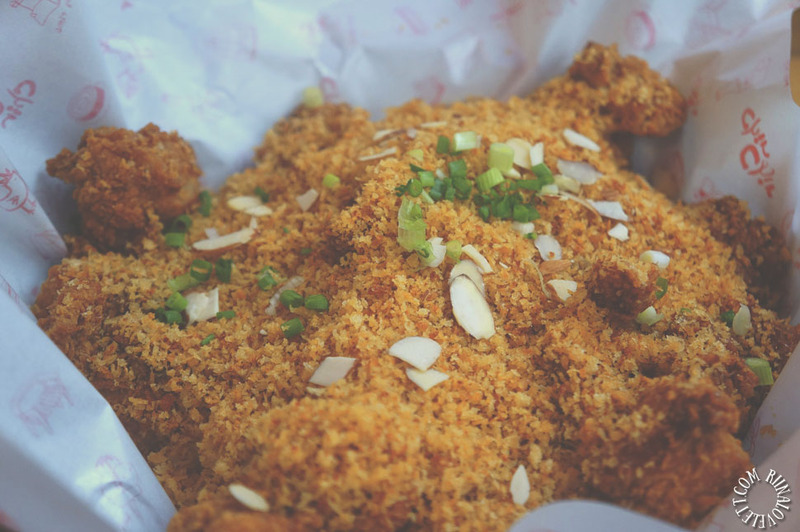 I’m quite the chicken fanatic if I say so myself and watching all those mouth-watering videos it became my mission to eat Korean fried chicken. 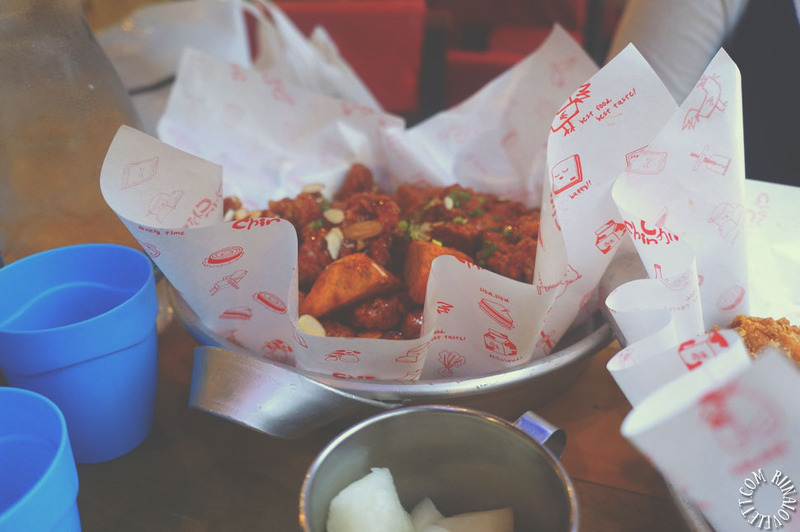 Koreans take their chicken very serious. 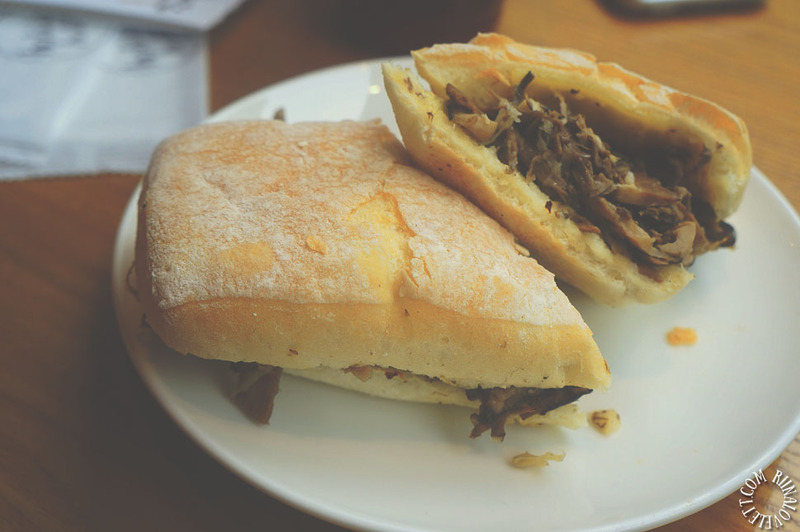 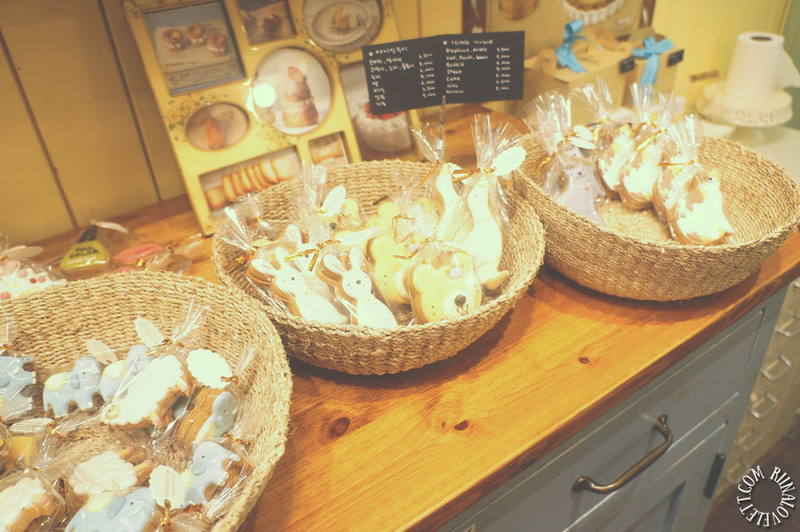 They have all kind of different flavors and ways to prepare it. 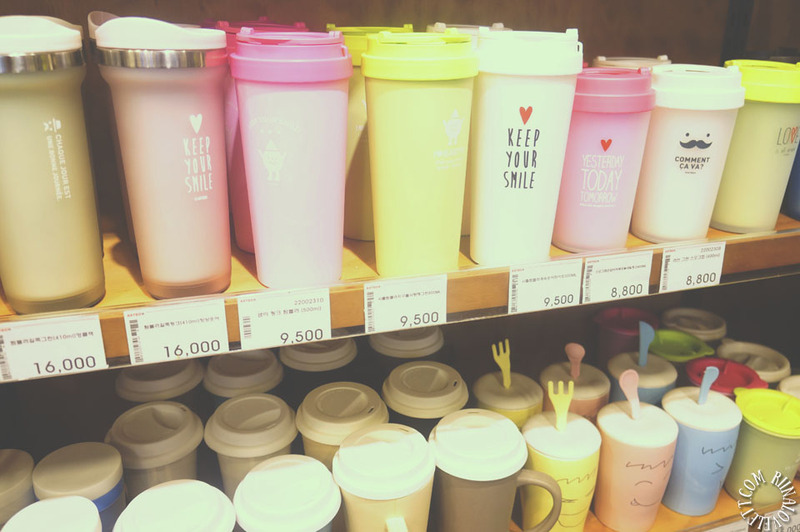 You have plenty to choose from. 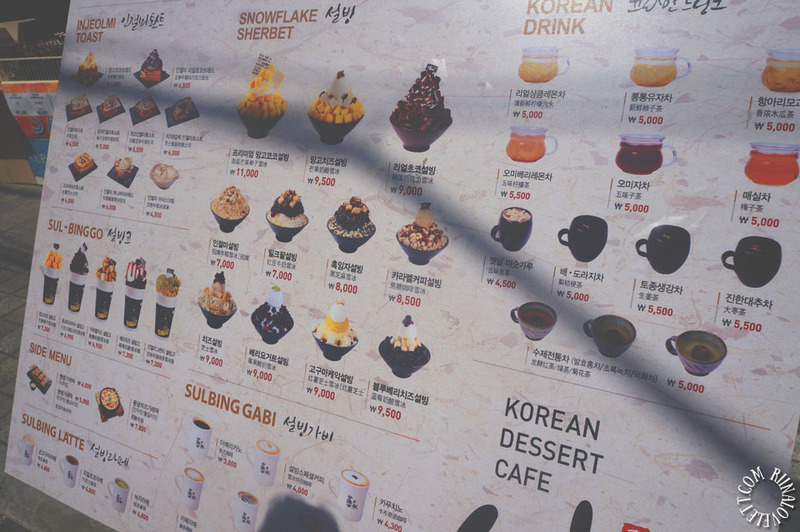 I even saw fried chicken with whipped cream! 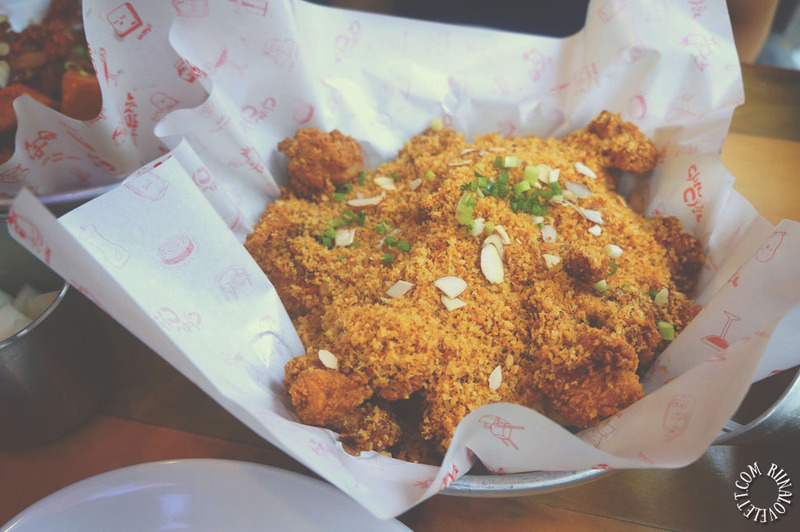 I took a more simple approach and ordered the natural crispy with onions, garlic. 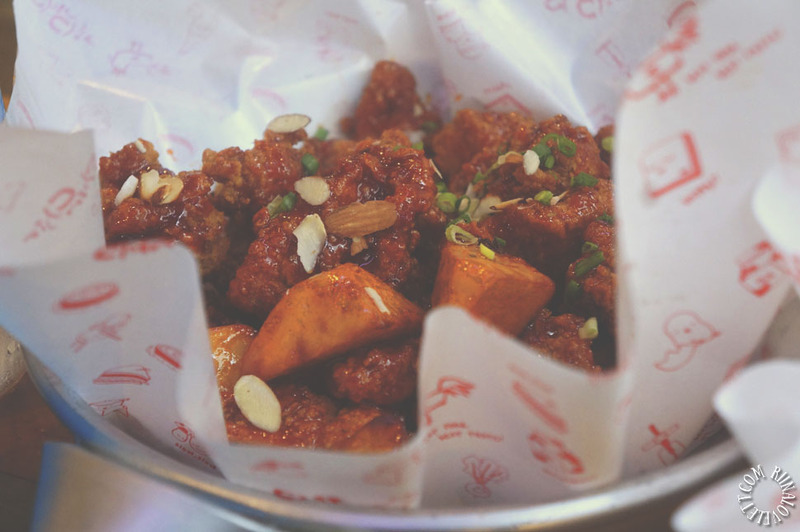 I also ordered spicy fried chicken with potatoes (양념치킨). 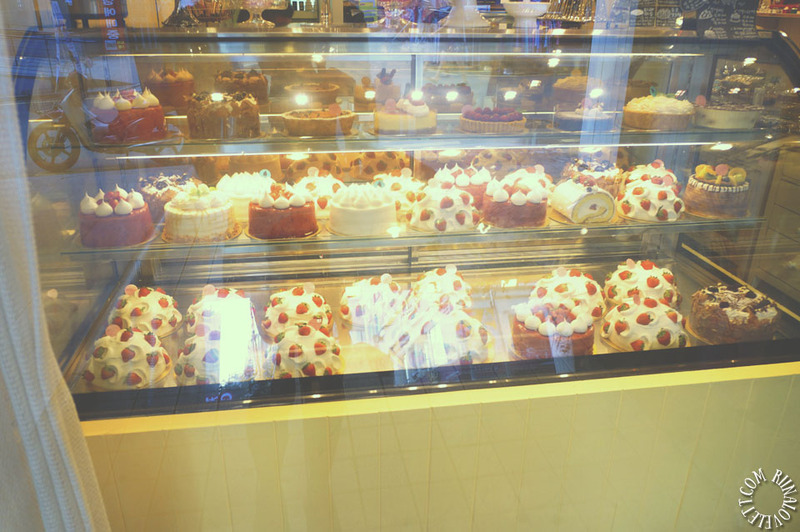 It was so so good! 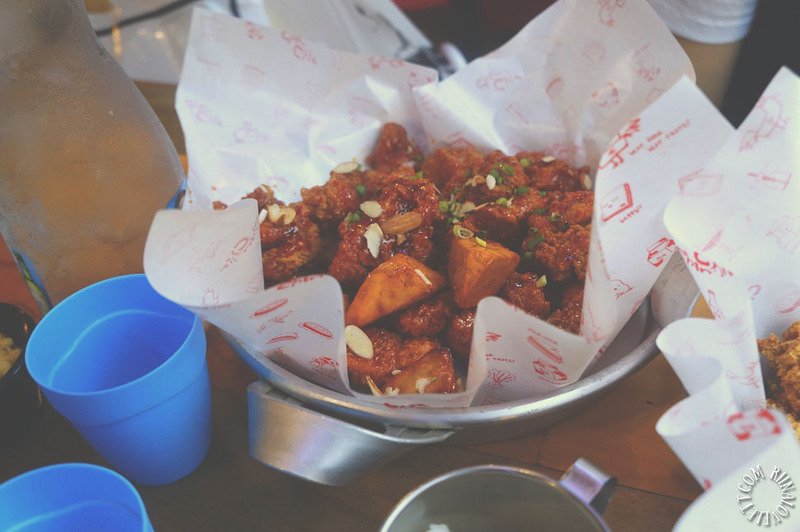 When I stayed in Seoul I ate about five times Korean chicken because it was just too delicious. 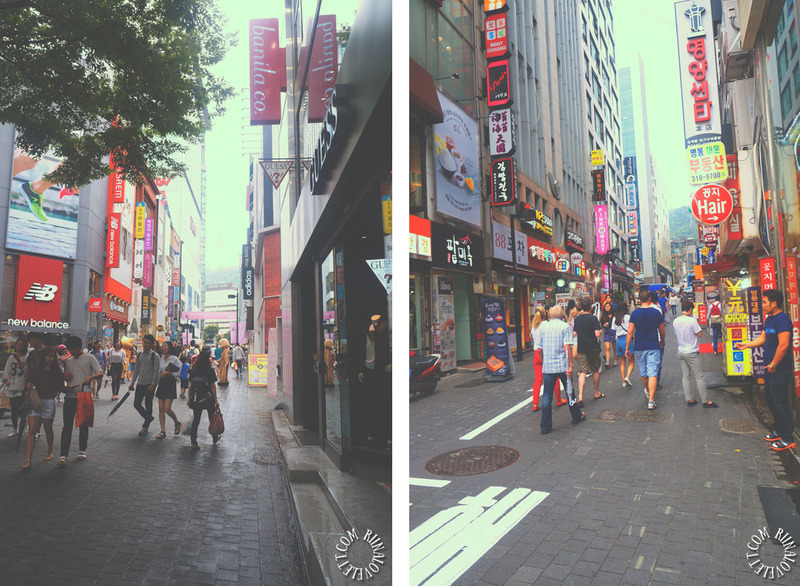 Travelling throughout Seoul is pretty easy. 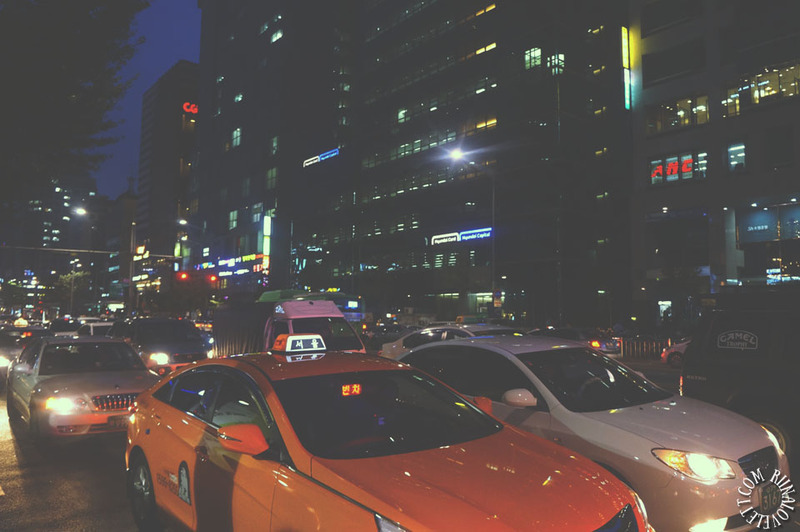 You have three transportation options, by bus, subway or taxi. 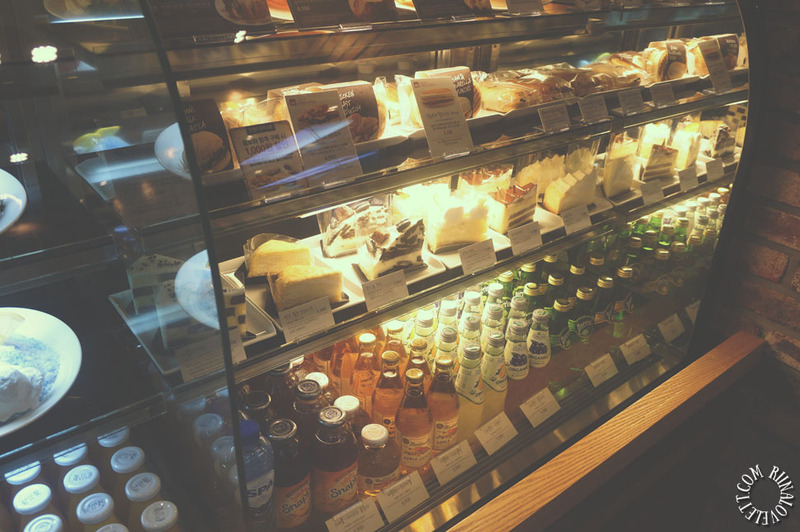 I mostly travelled by subway. 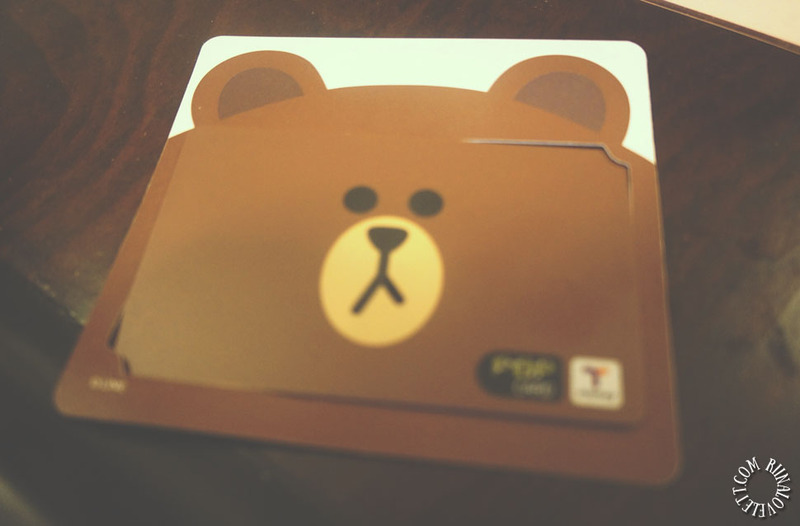 I also recommend getting the T-money card. 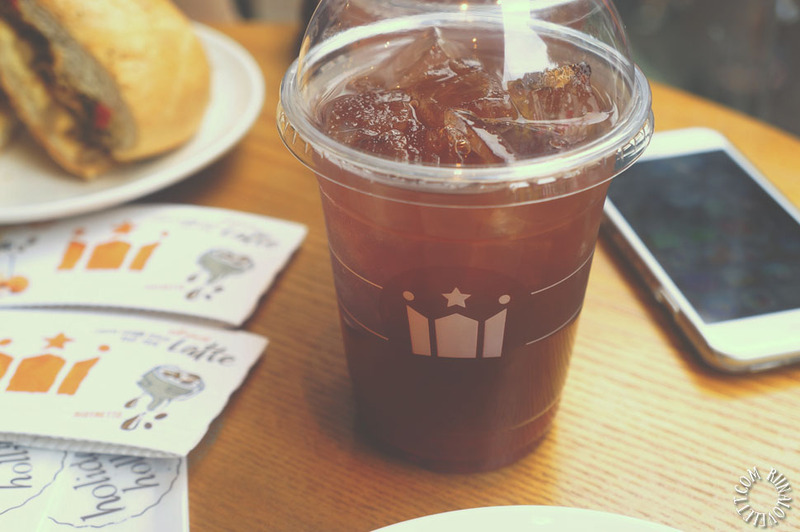 T-money is a transportation card you can use for any public transportation and taxi fares. 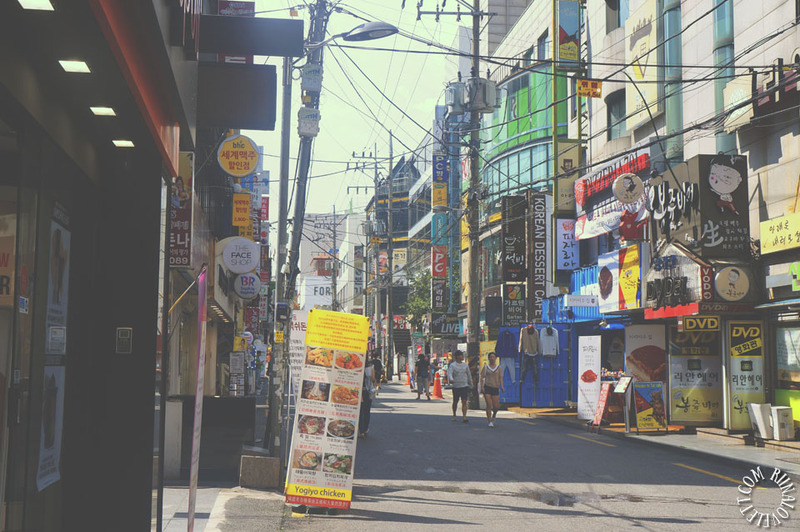 This card makes travelling through Seoul so much easier and it also offers travel discounts. 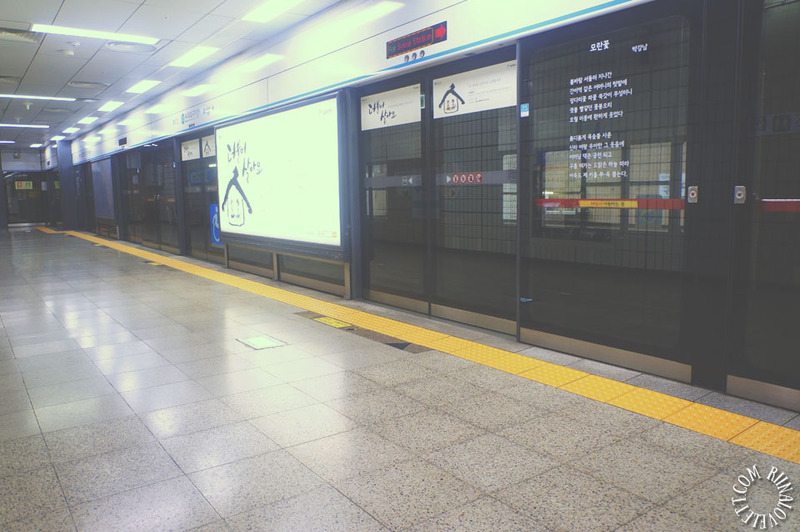 You can recharge the card at a T-money vendor or recharging devices inside the subway stations. 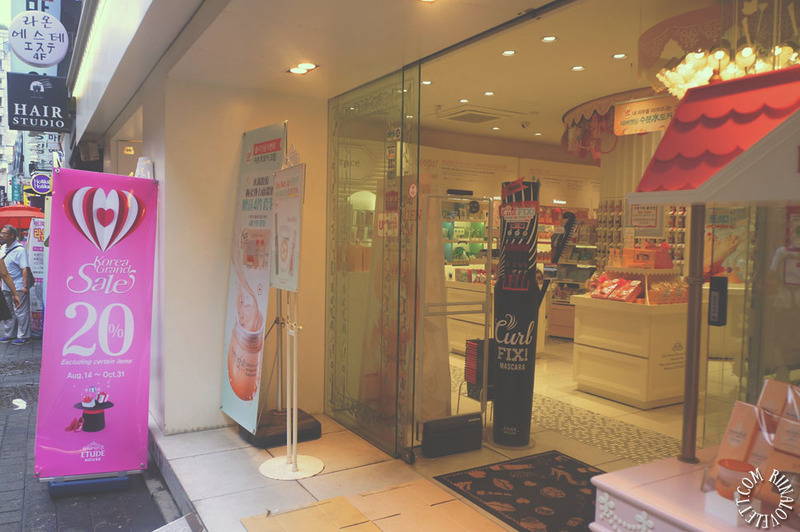 You can purchase the T-money card at most convenience stores. 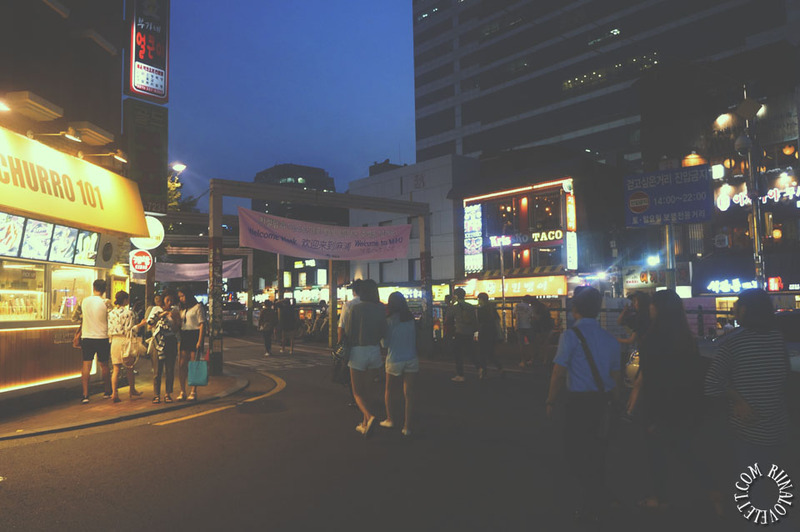 Hongdae (Hongik University) is one of the most vibrant regions in Seoul. 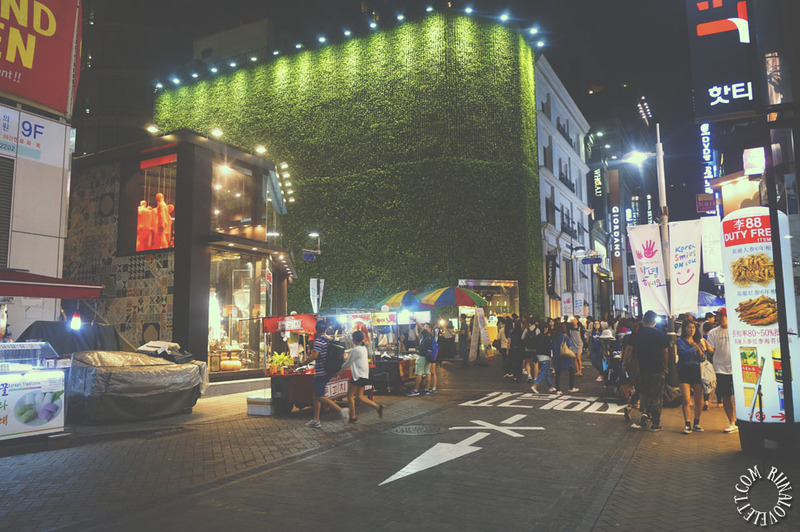 If you love shopping, urban lifestyle, art, indie music, street performances and a bright nightlife, then this is really the place to be. 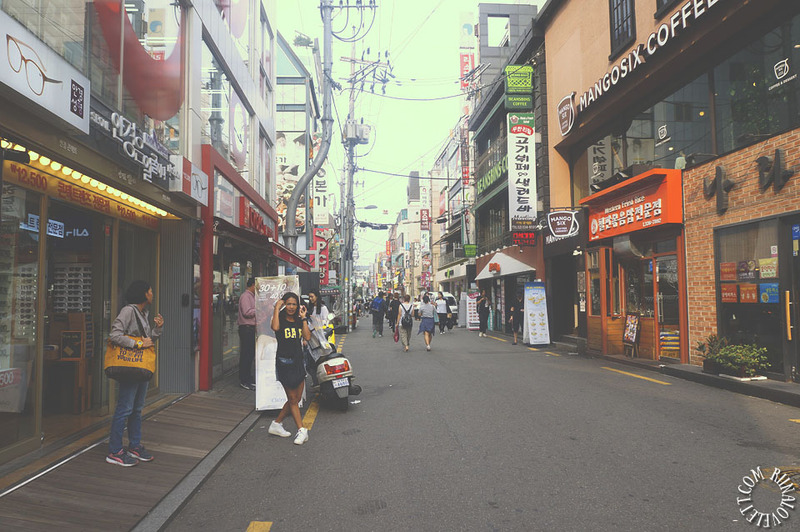 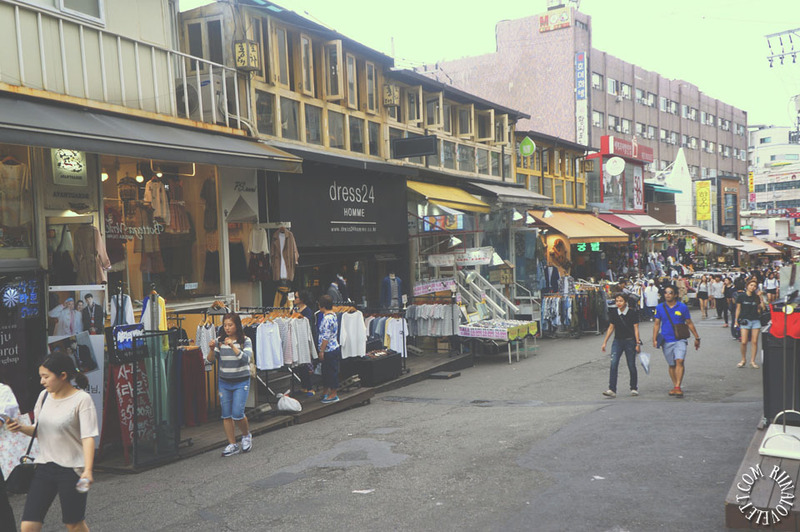 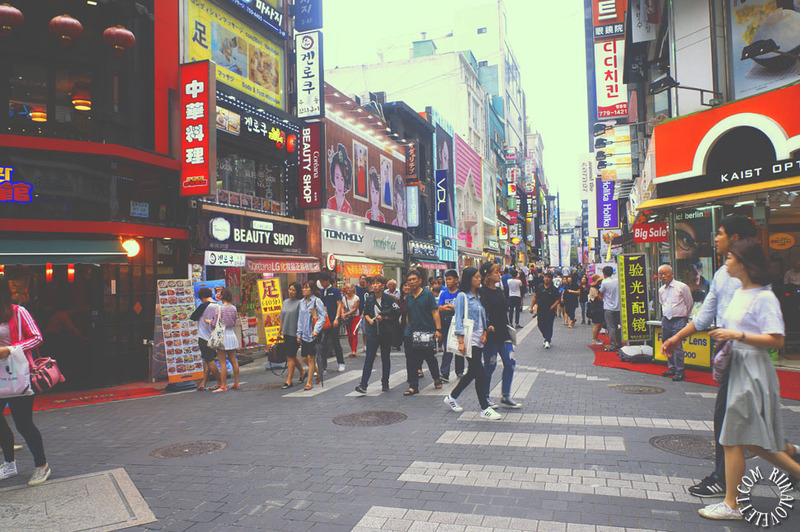 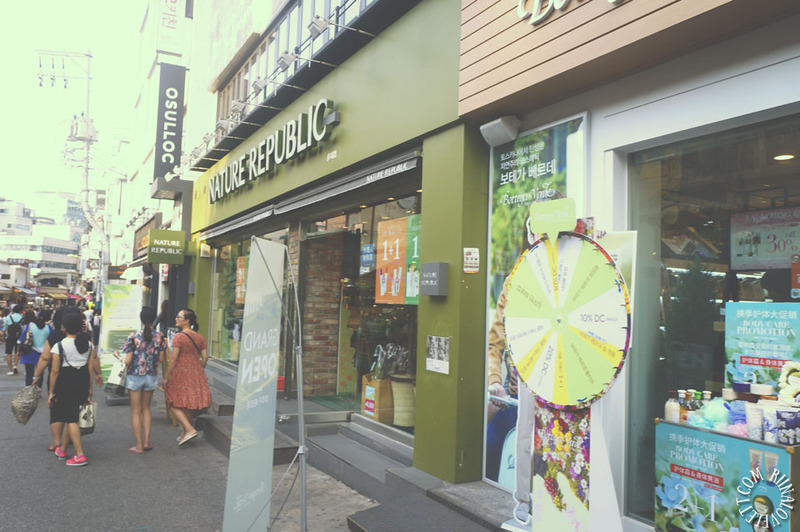 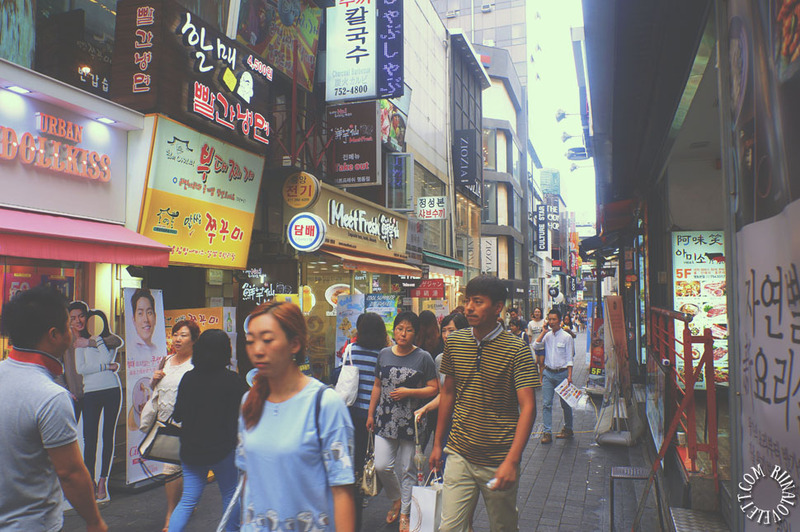 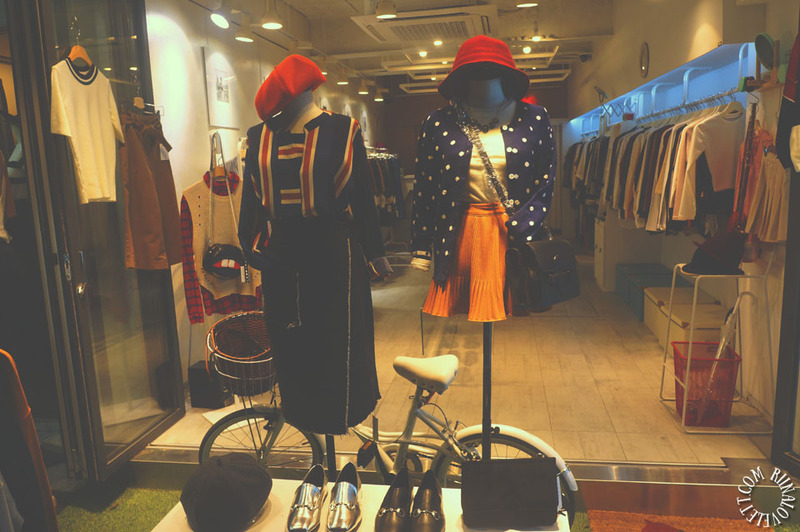 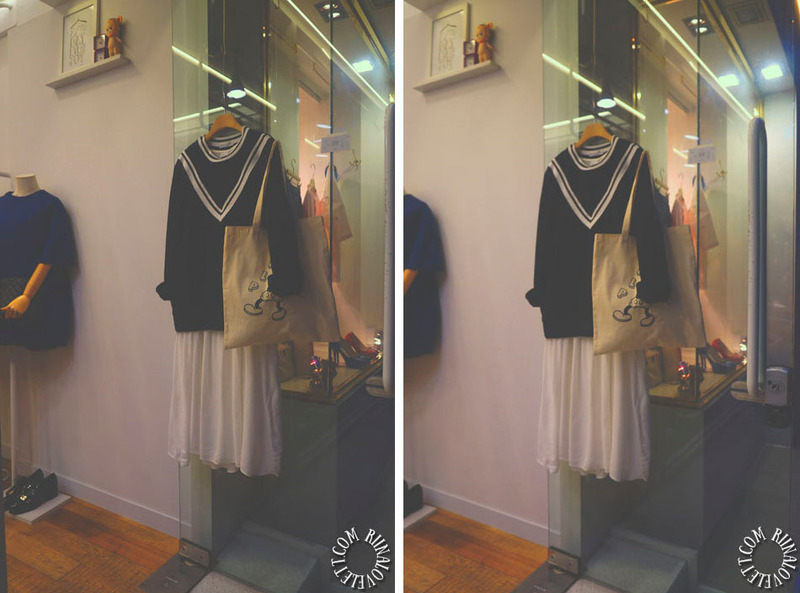 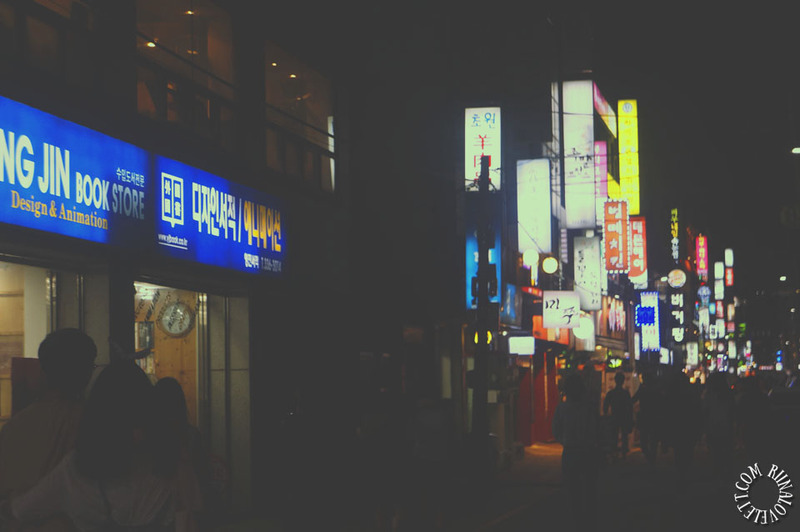 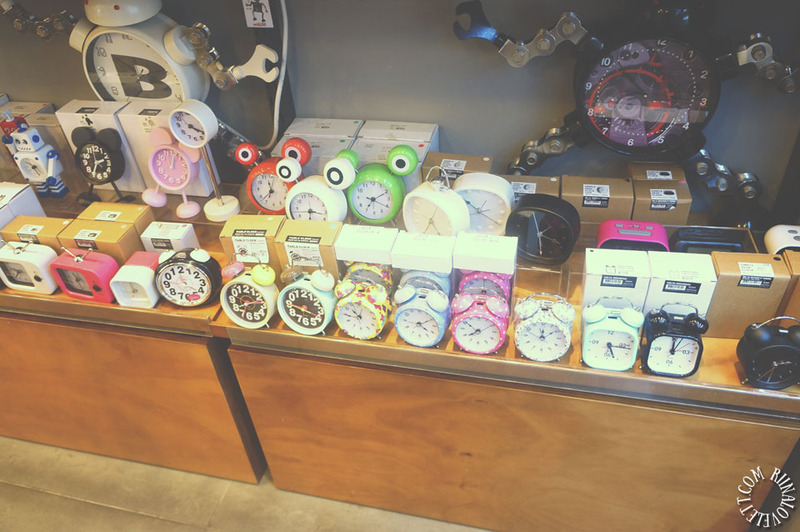 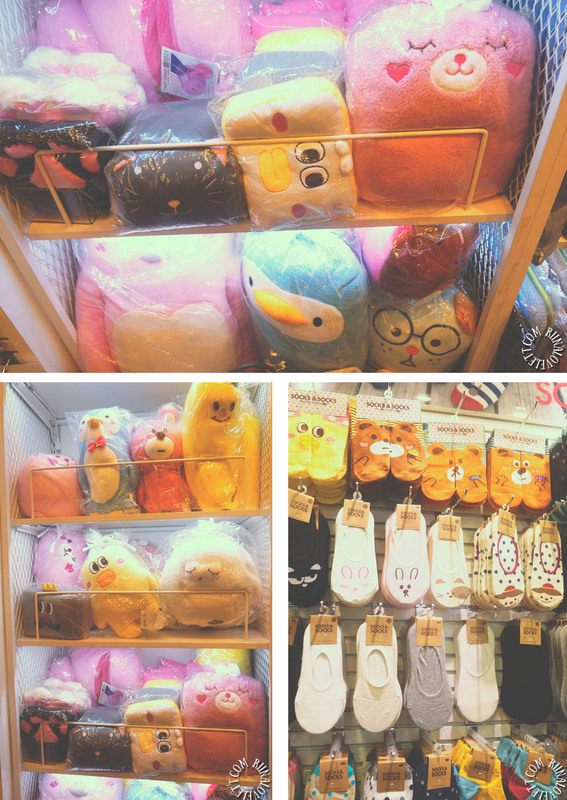 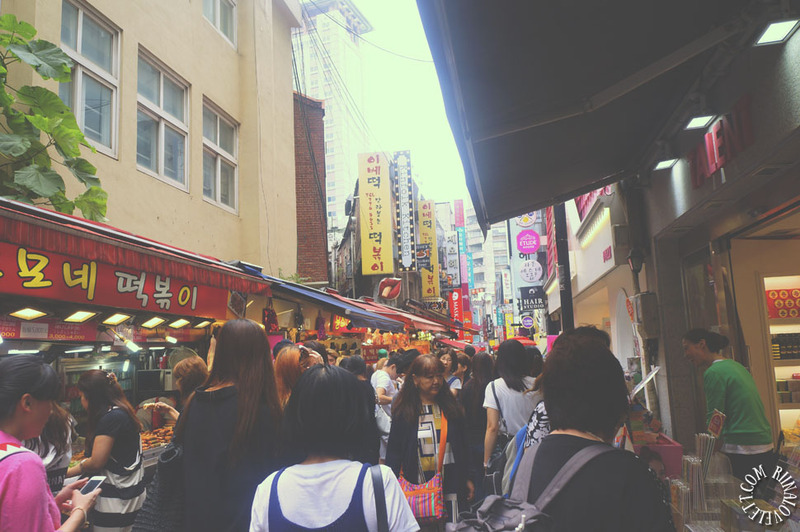 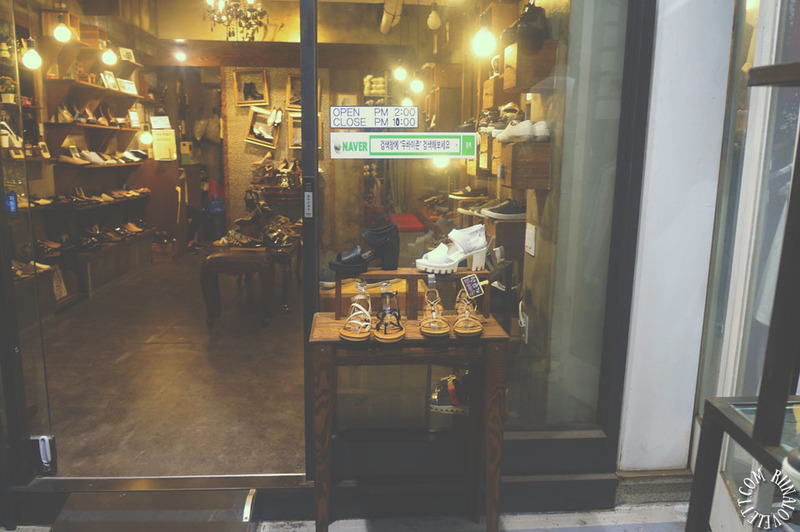 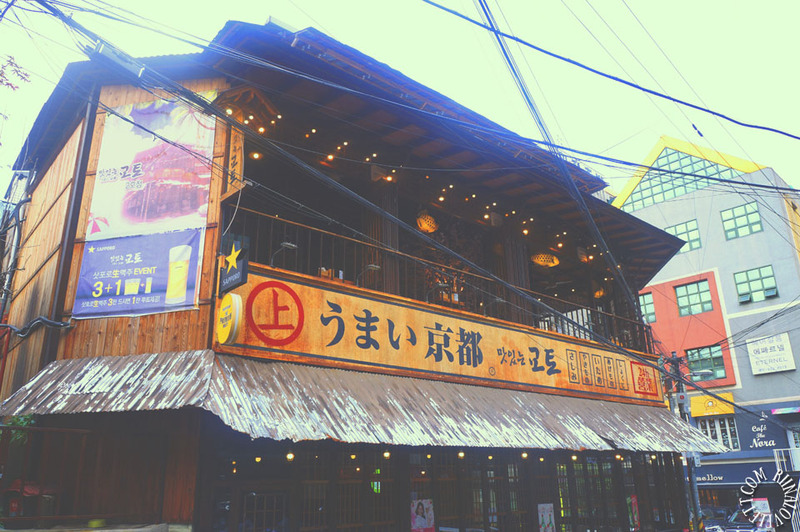 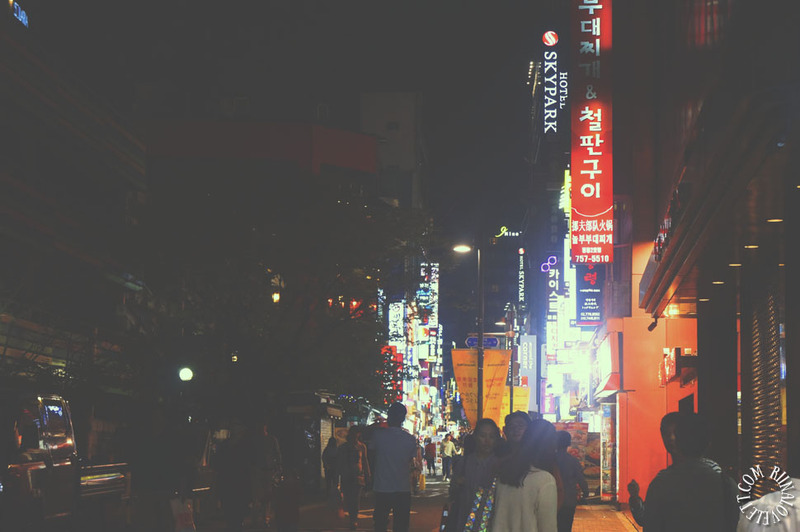 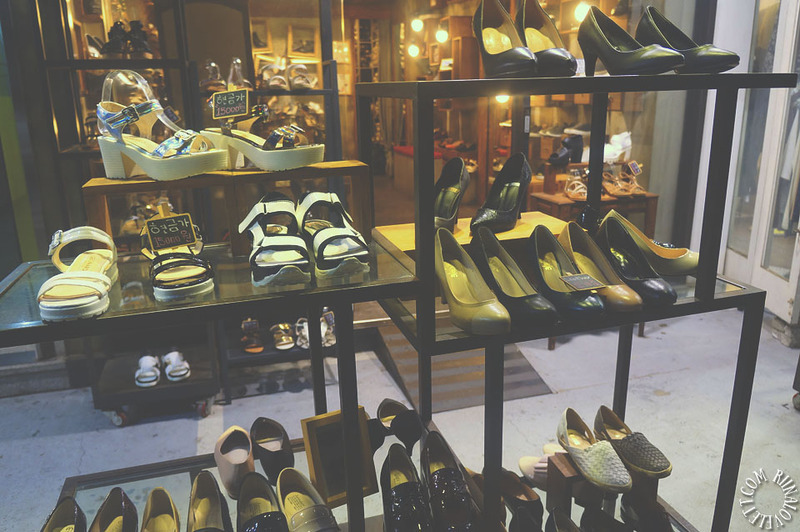 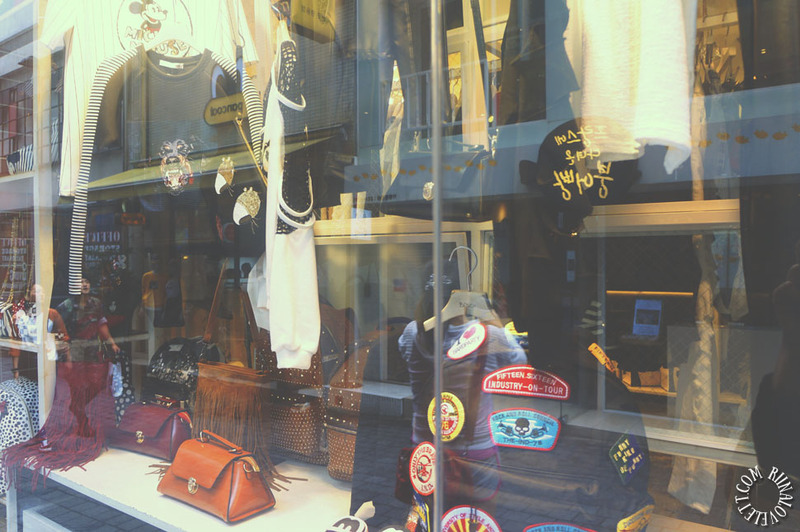 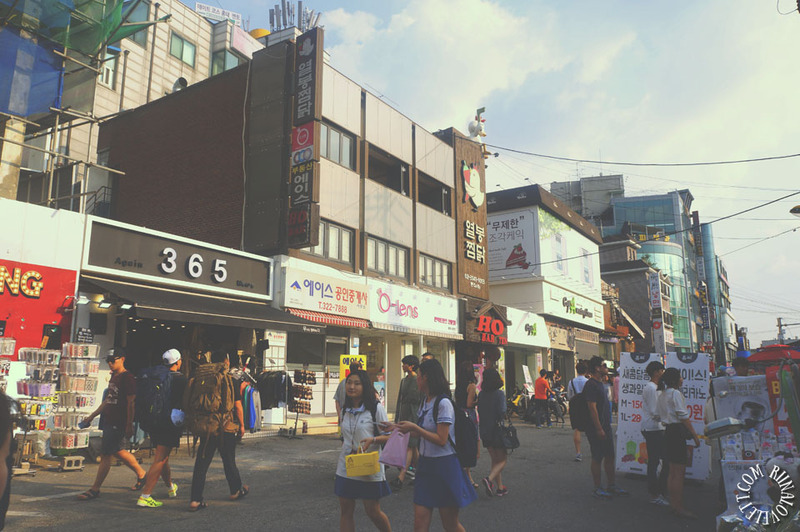 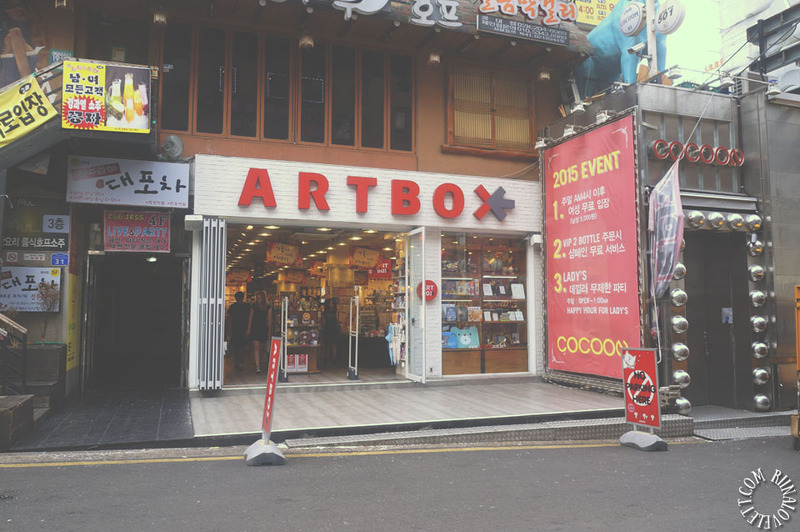 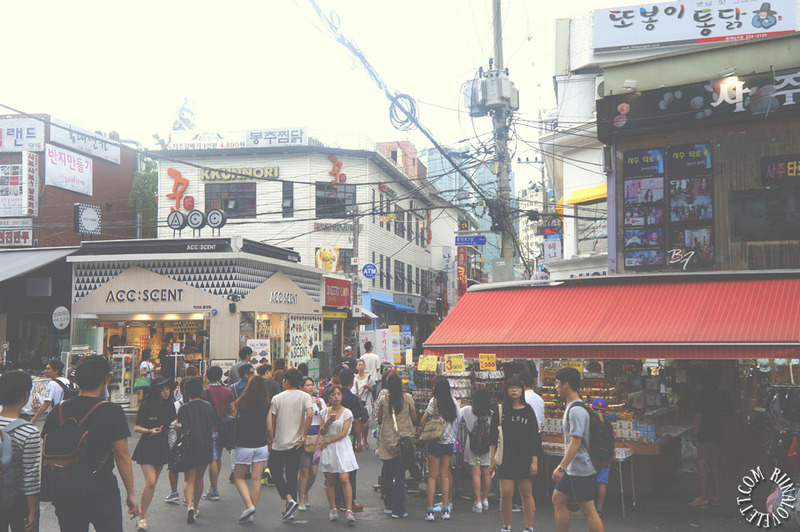 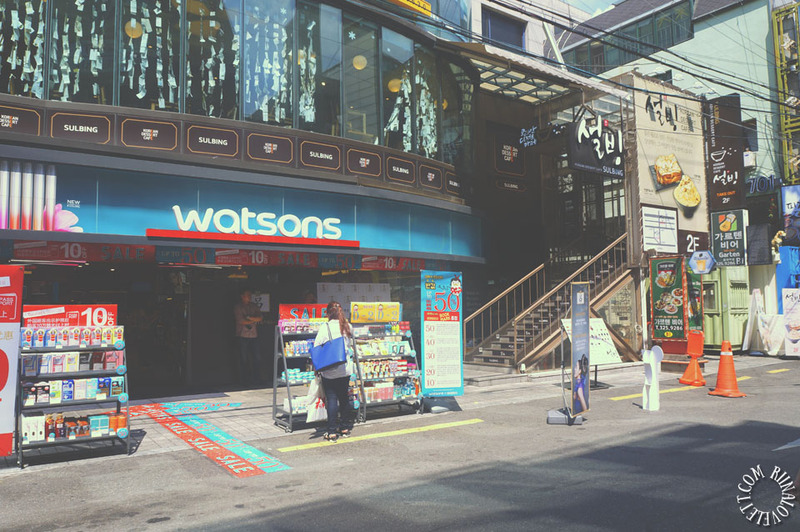 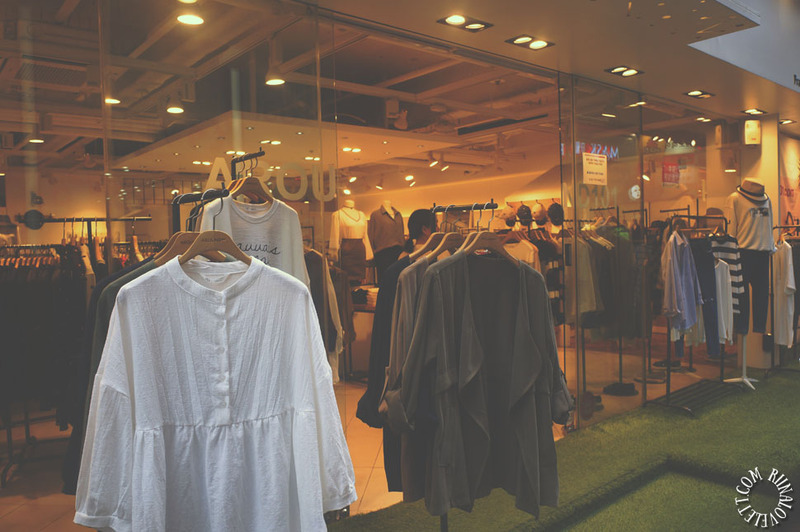 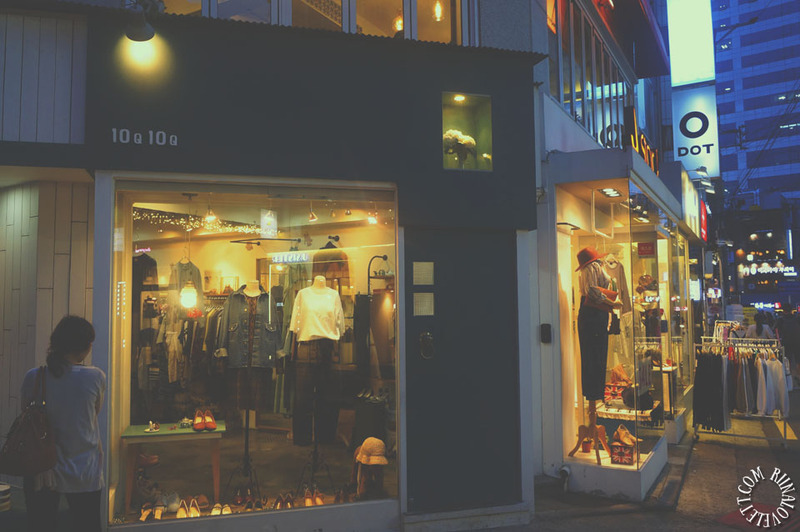 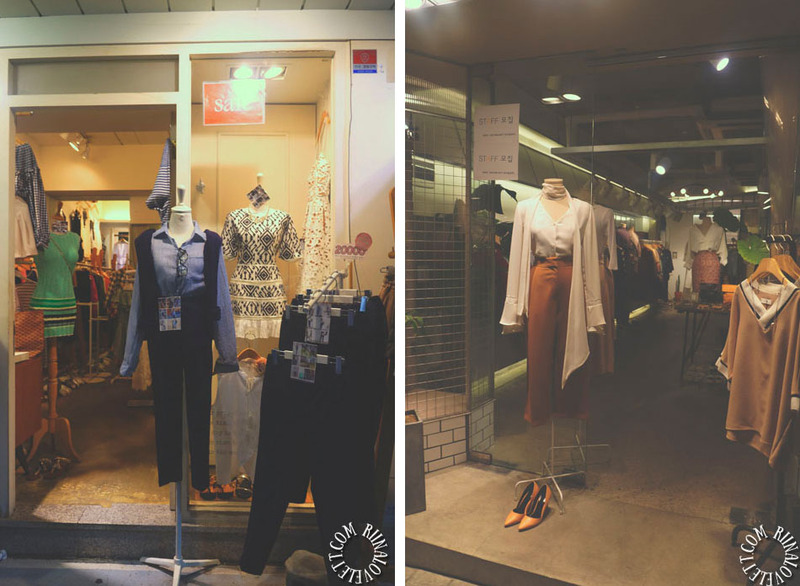 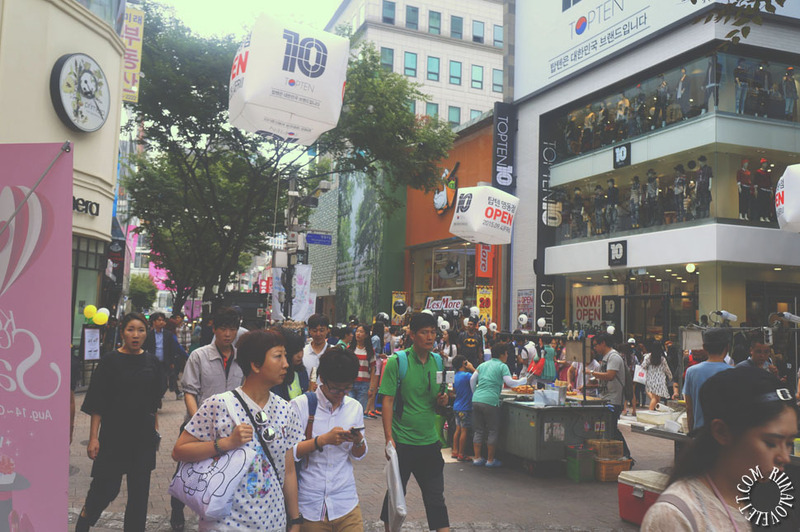 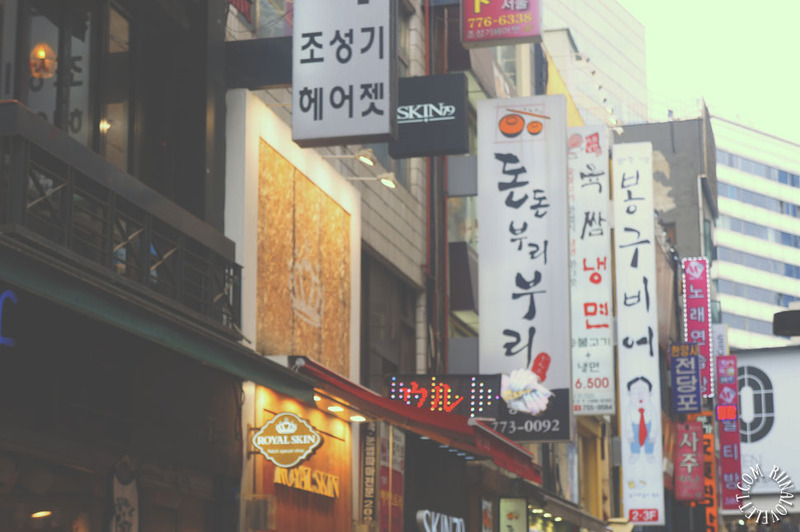 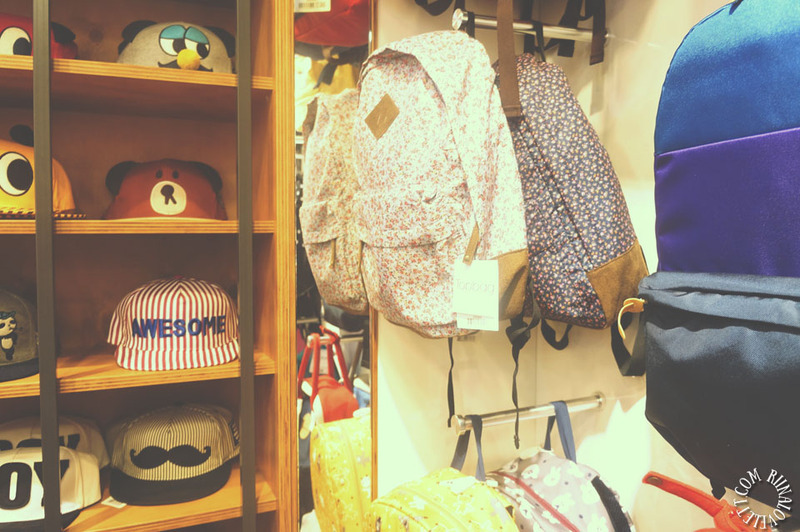 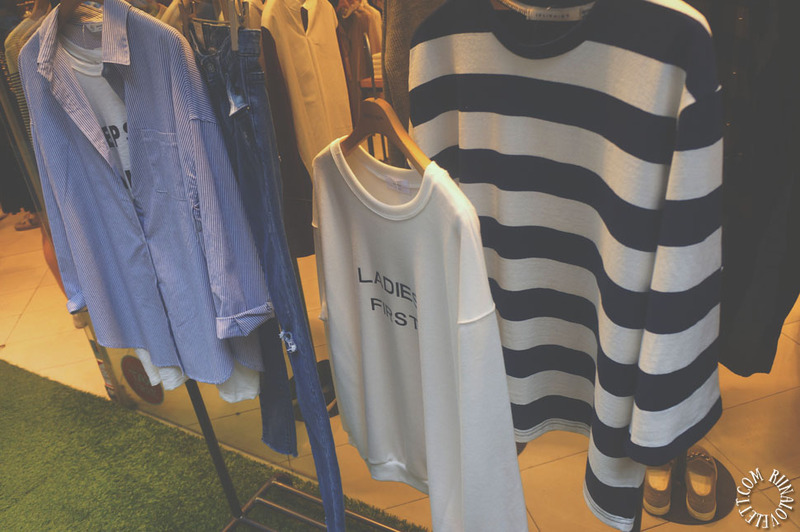 Hongdae is also known for its variety when it comes to shopping. 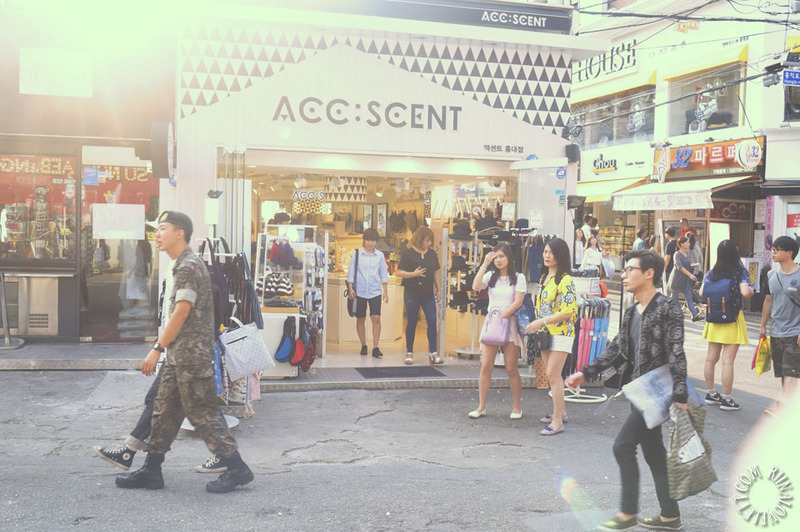 Reasonable priced street fashion shops, to higher end boutiques and unique accessories. 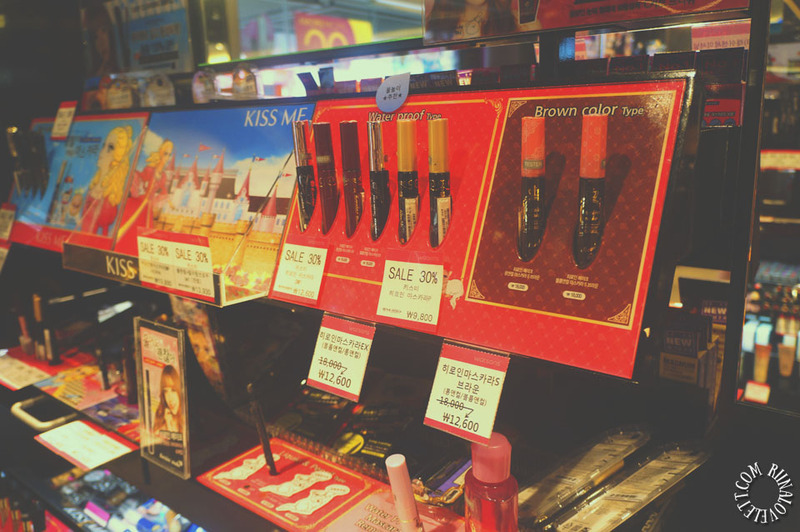 The prices may vary from store to store. 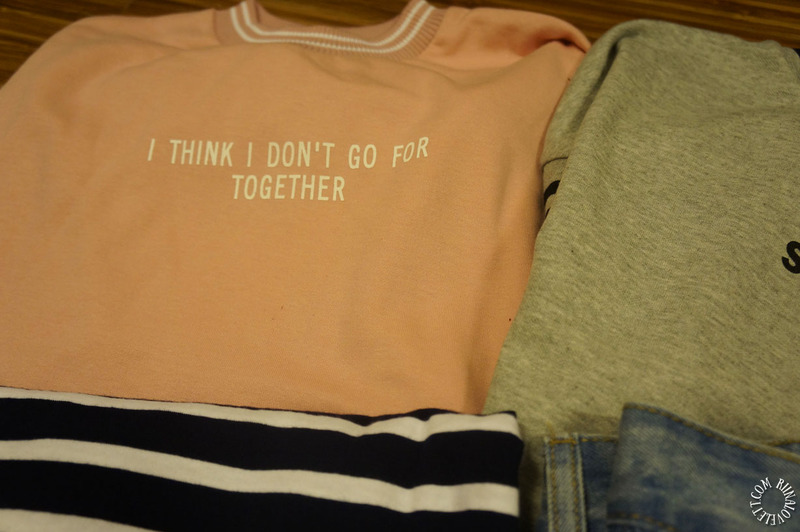 Don’t be surprised. 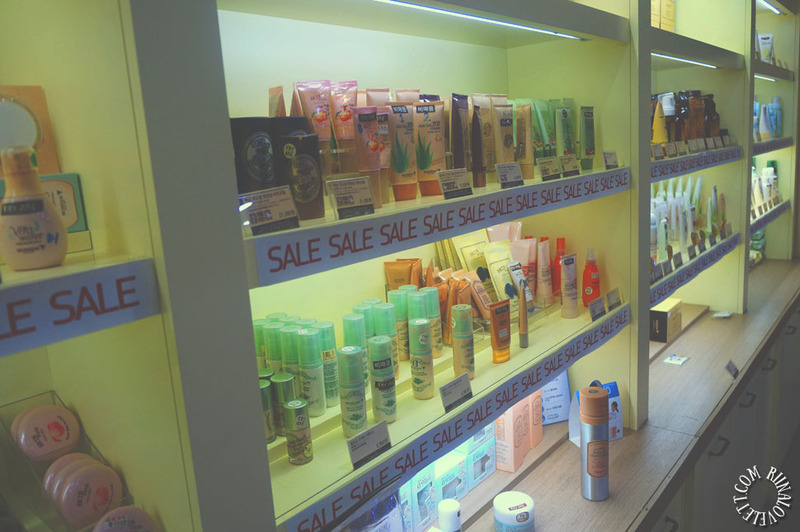 A lot of shops have the same item in stock but often with a different pricing. 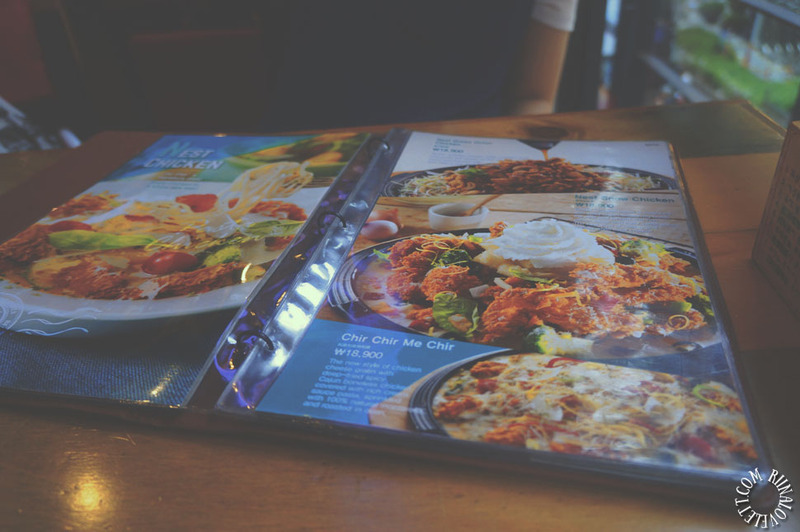 So, it’s better to explore to find the best deal. 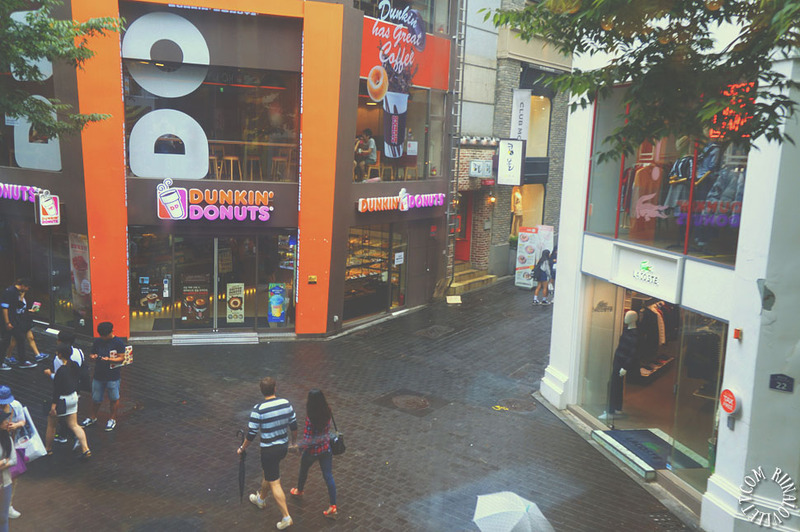 Also there are plenty of restaurants and cafés. 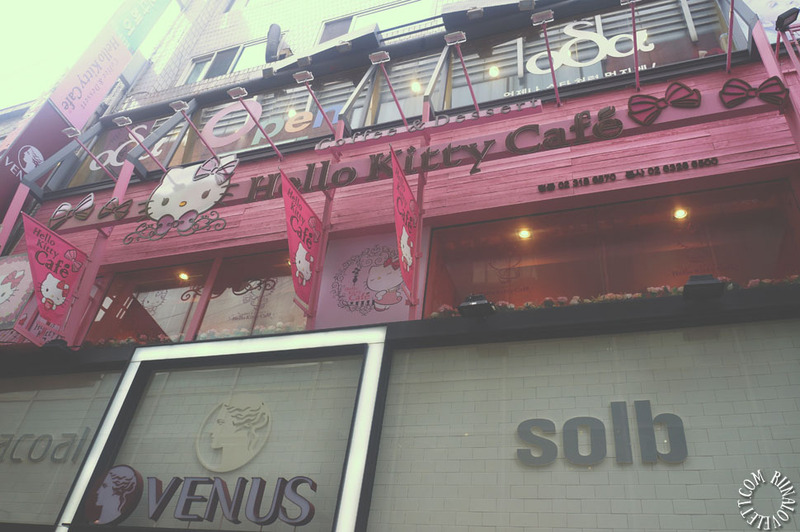 I suggest checking out the newly openend Hello Kitty café. 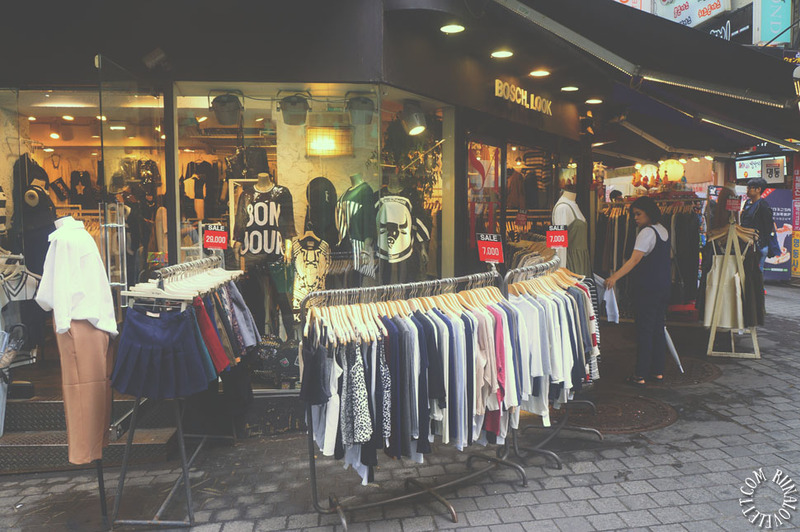 In the main shopping district I came across a lot of familiar shops. 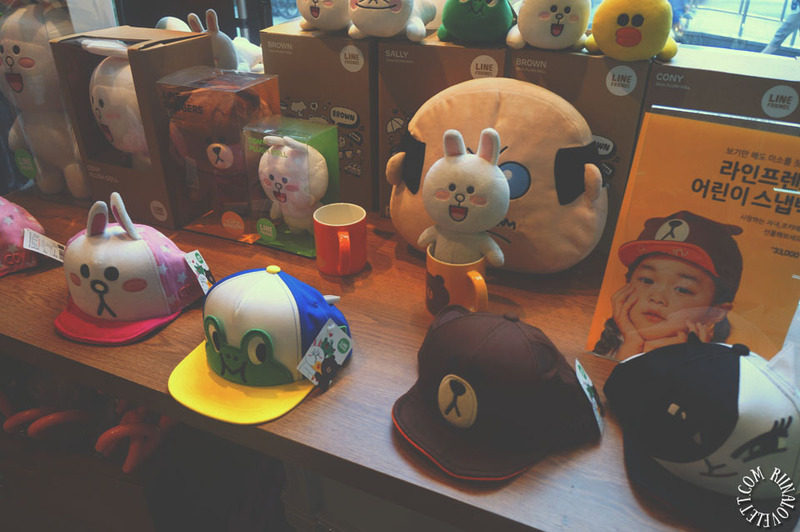 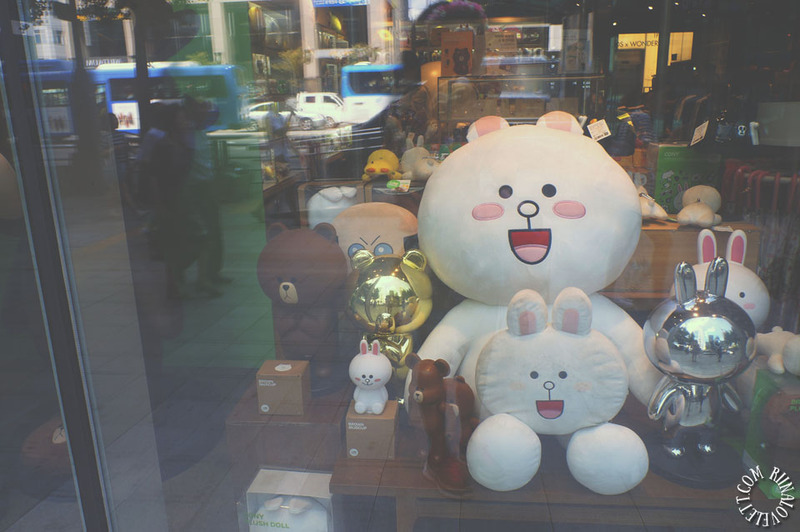 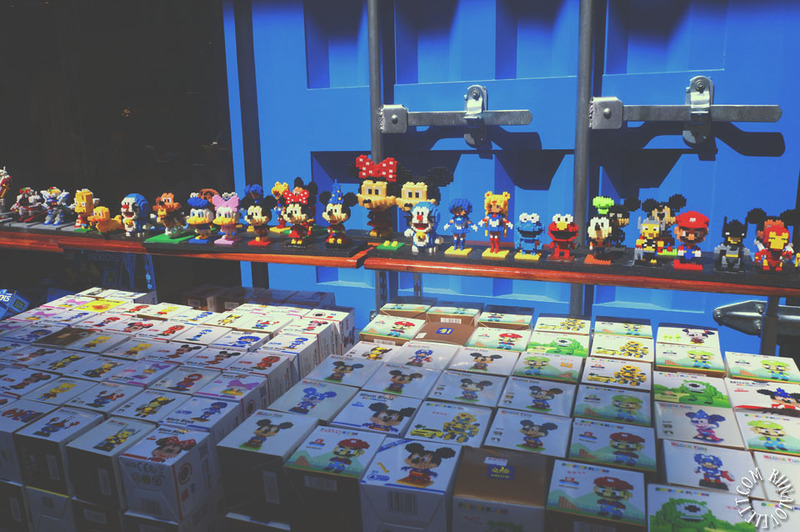 I visited the LINE STORE and ARTBOX. 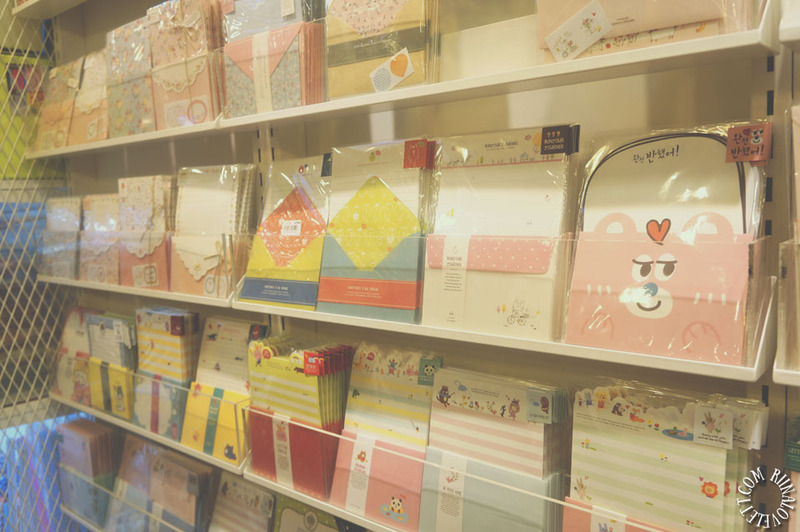 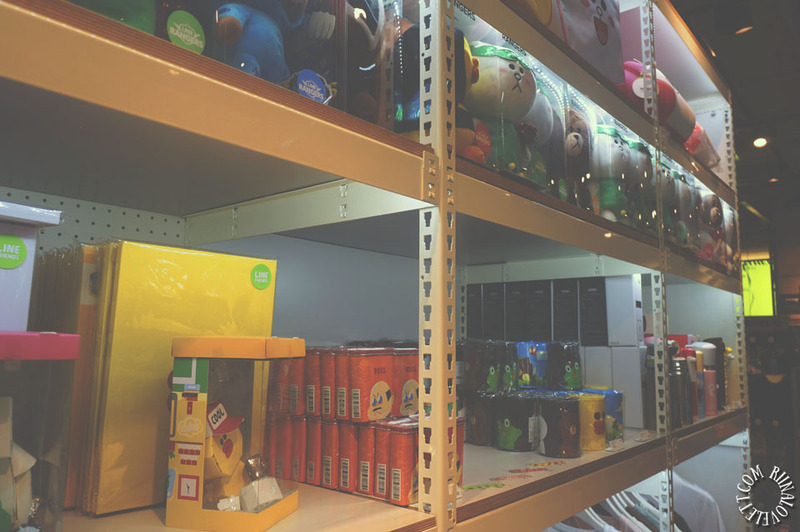 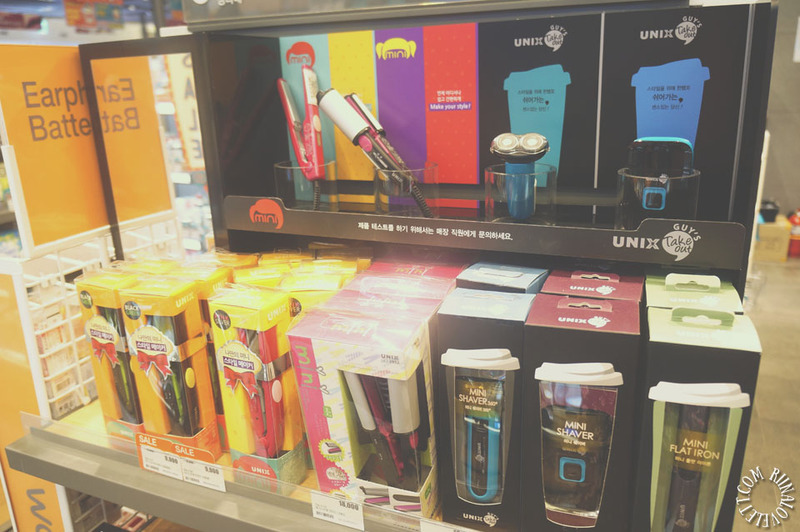 These stores mostly sell stationary, home supplies and miscellaneous items. 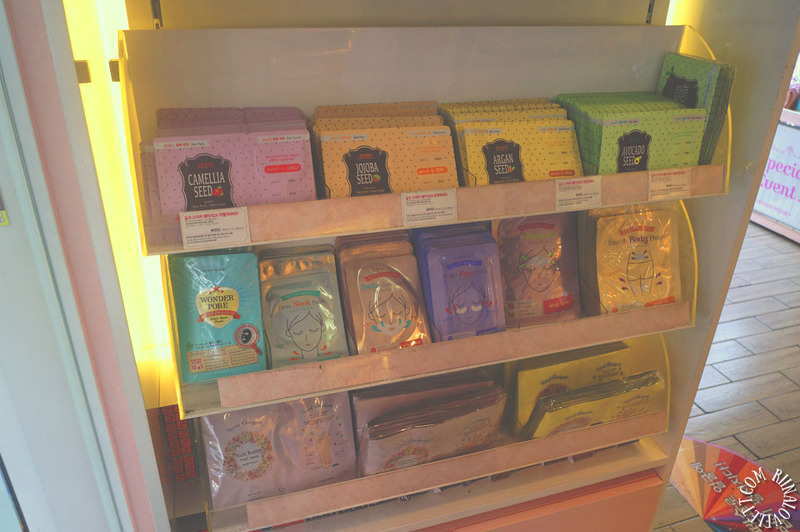 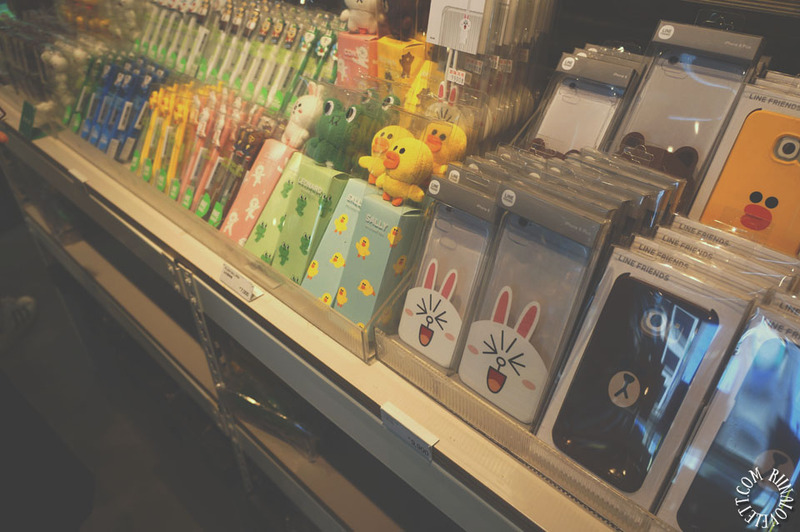 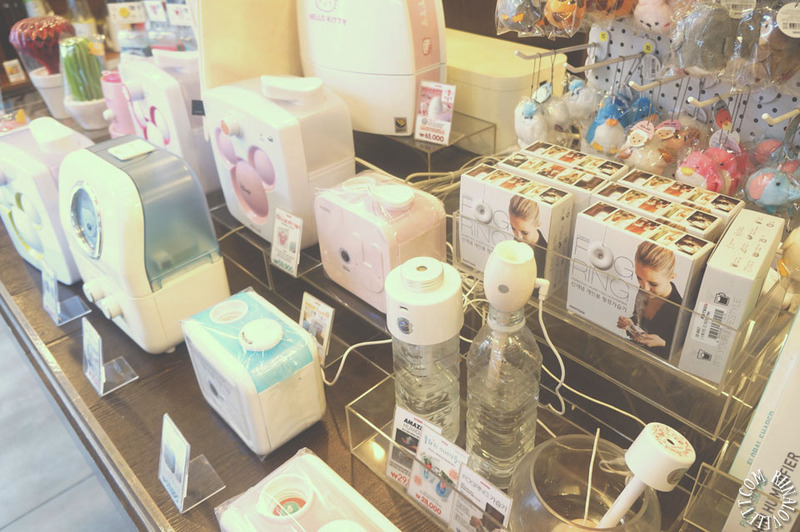 They really had a lot of cute products, which made it hard for me to choose. 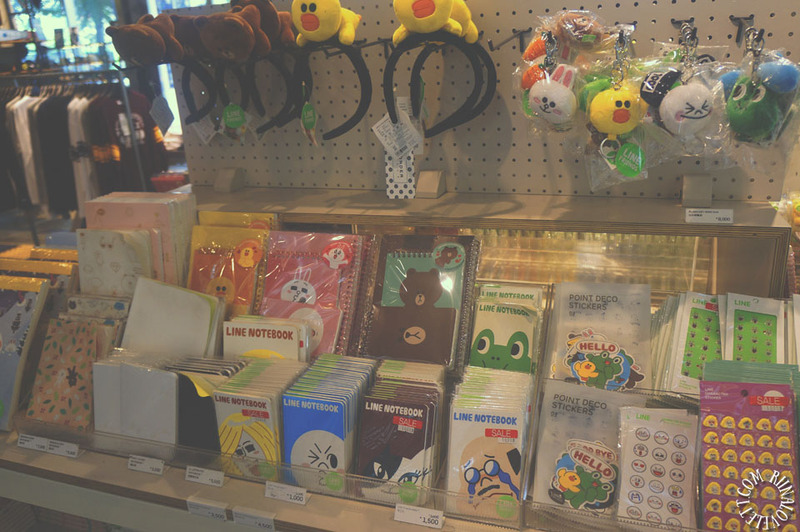 Looking back, I’m kind of dumbfounded why I didn’t buy more supplies. 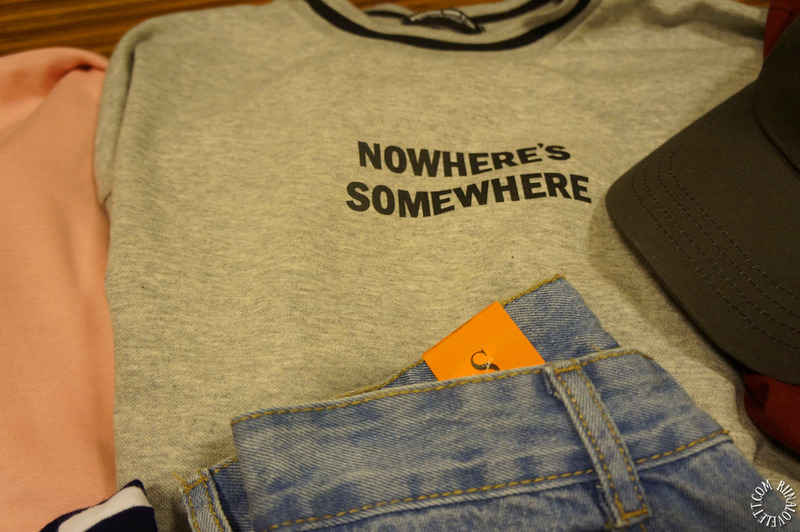 I guess, I will never know. 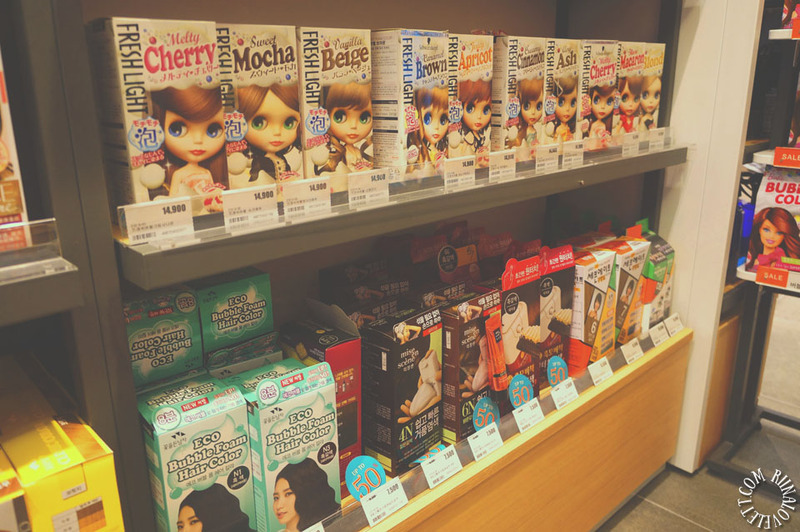 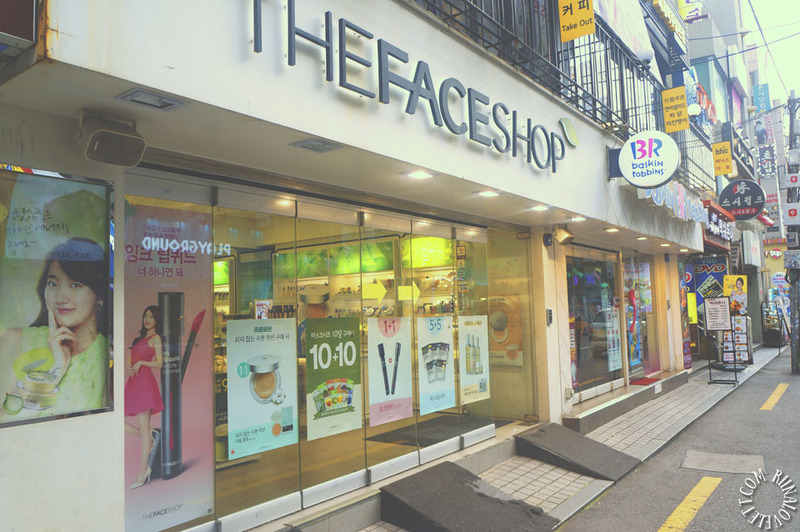 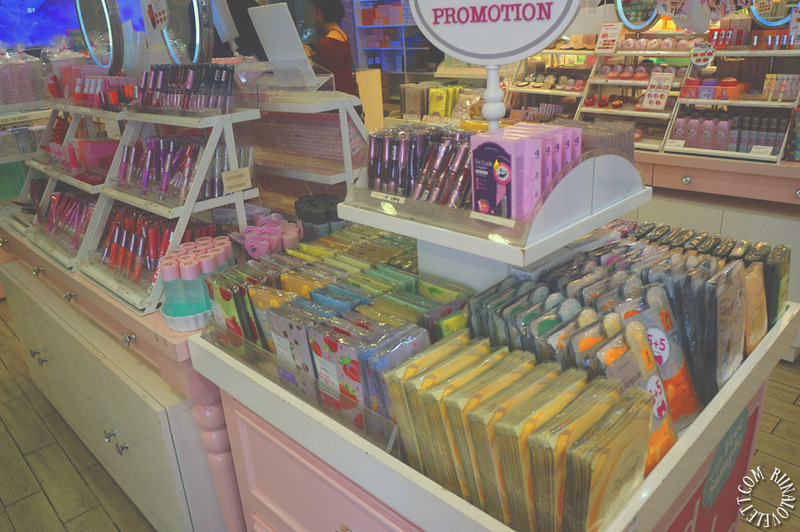 Also there are some cosmetics stores, like Etude House, Watsons and The Faceshop. 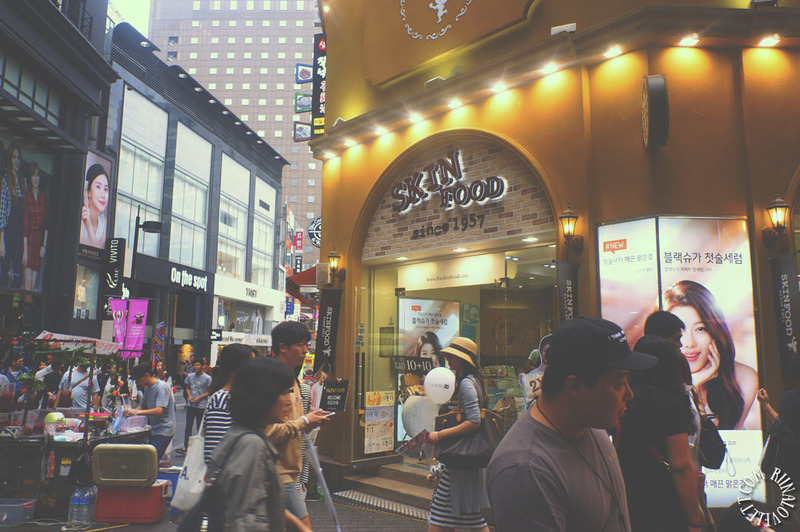 But I highly suggest to shop for makeup and skincare in Myeongdong. 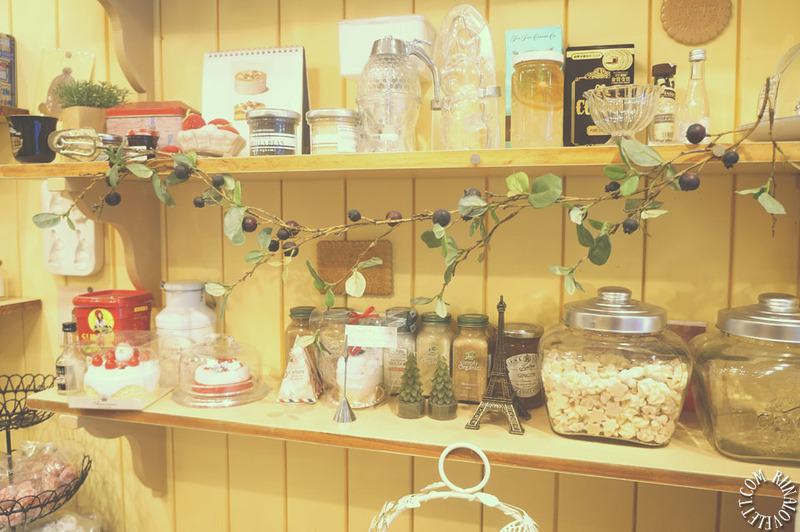 I will elaborate why in another blogpost. 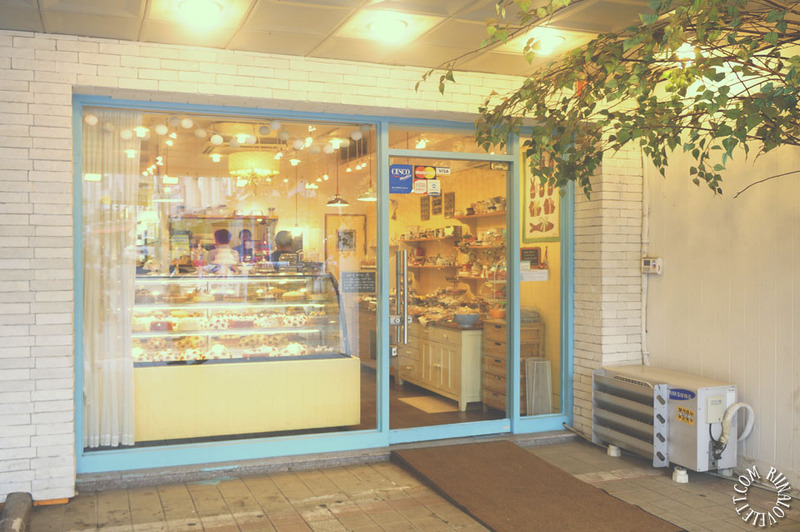 There is a bakery called Chocolat Yum. 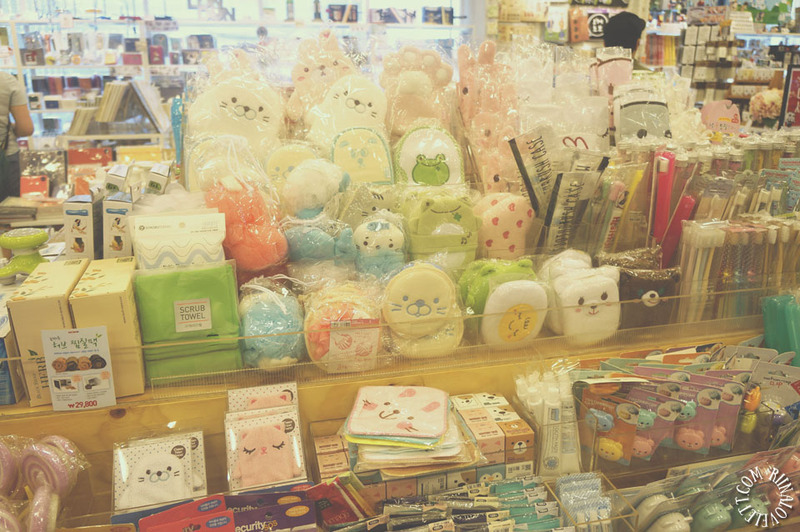 They sell the most adorable bake goods I have ever laid my eyes upon. 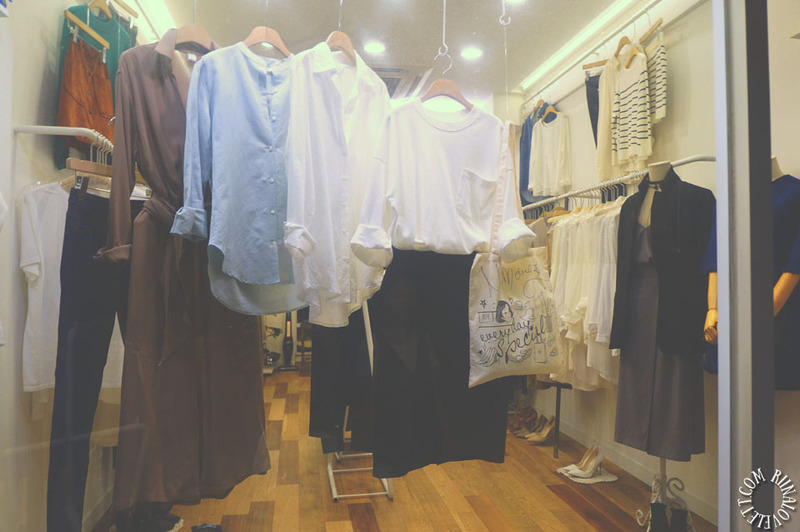 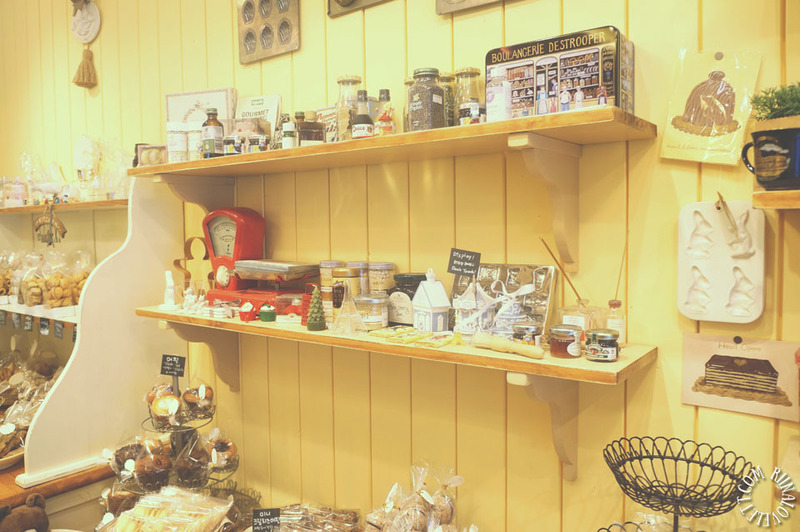 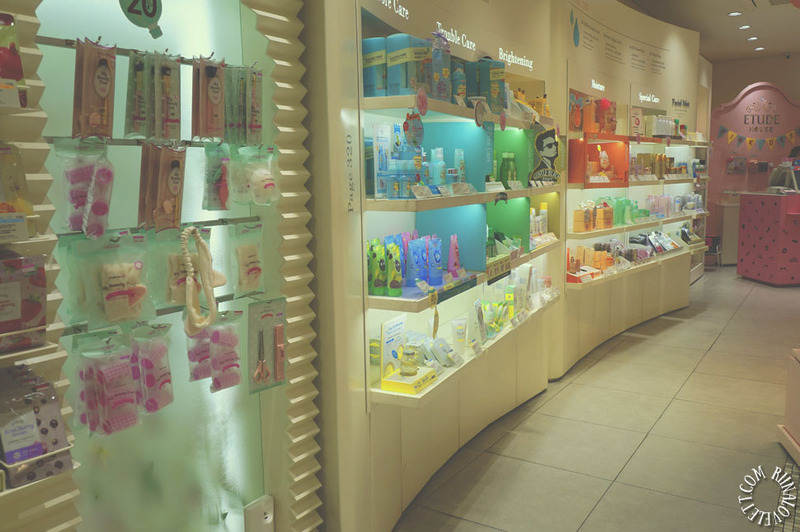 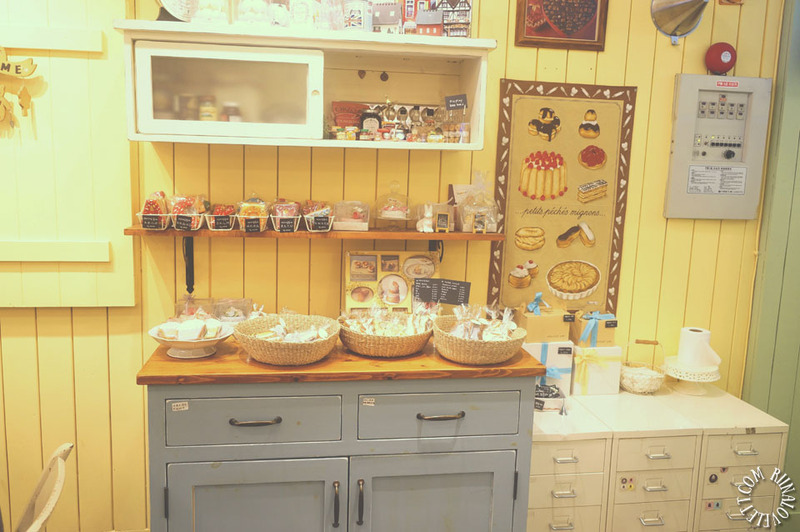 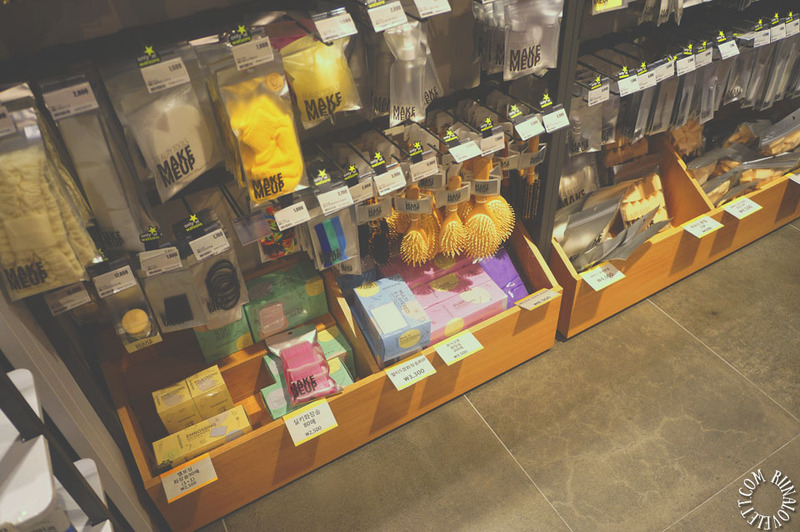 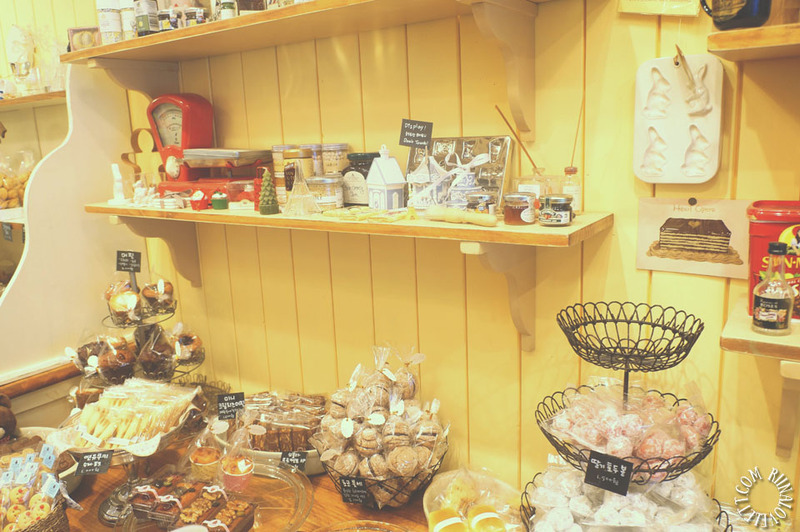 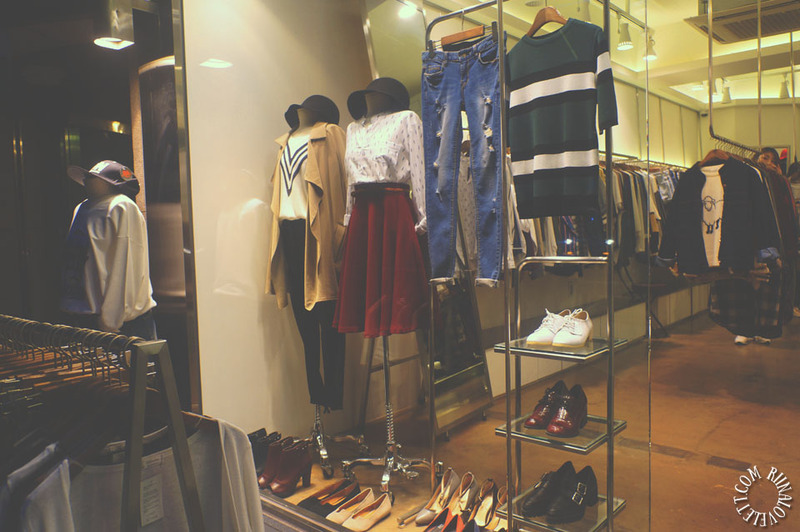 The store’s interior design is very beautiful and feels so comforting. 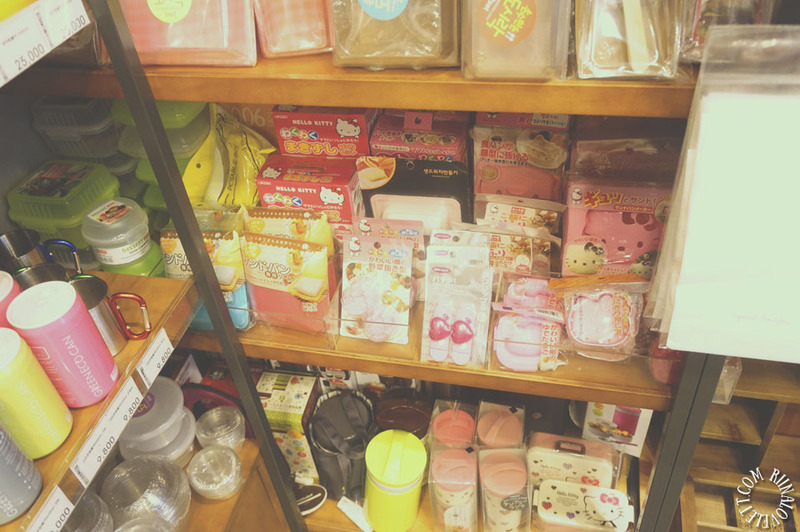 I wanted to buy everything in the store. 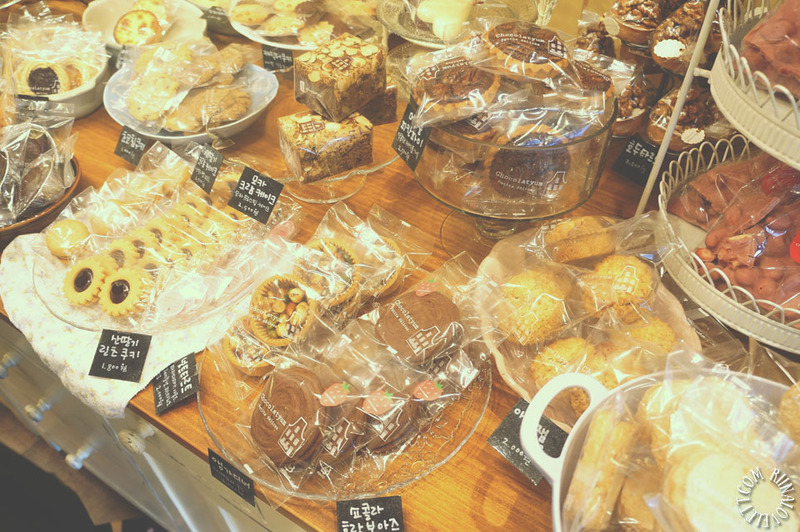 I planned to come back another day because I was already carrying a lot of bags and was afraid that the pastries would break. 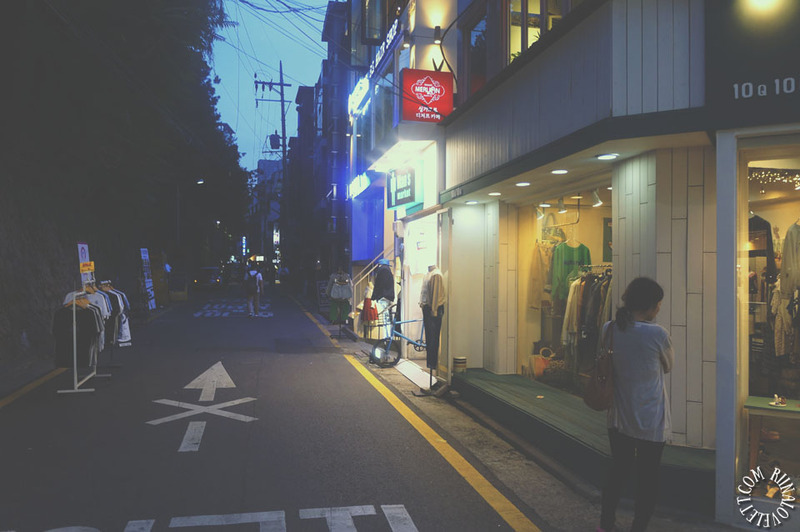 But in the end I never got the chance to revisit. 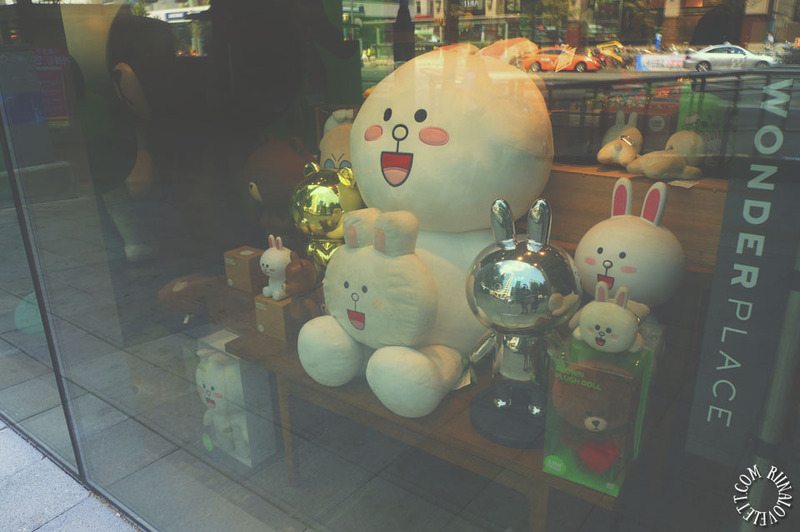 It still haunts me in my sleep! 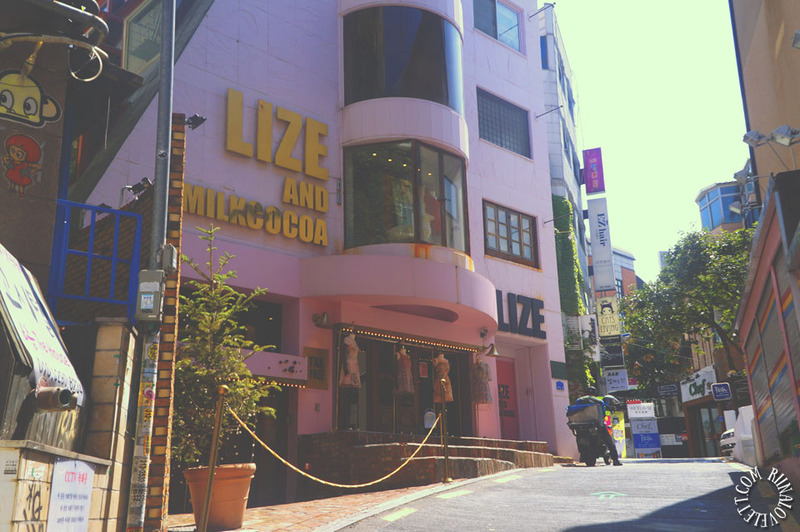 After a while of exploring we came across a street full of cute boutiques. 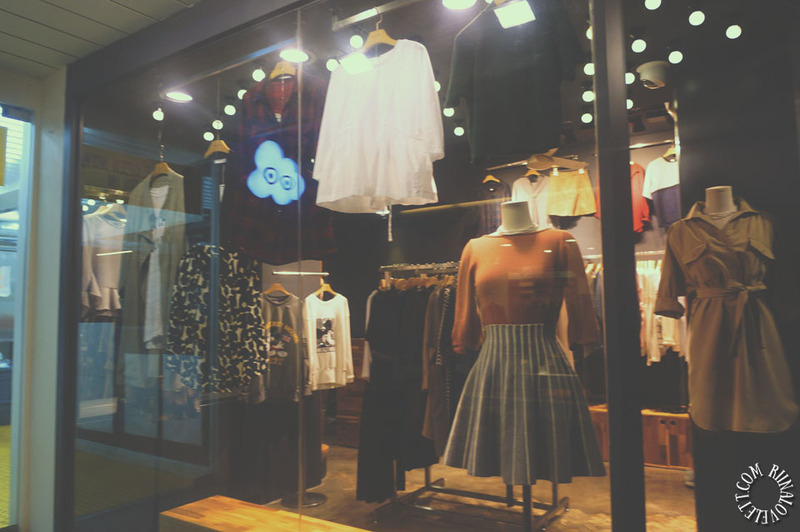 I never saw so many cute clothes at once in my life. 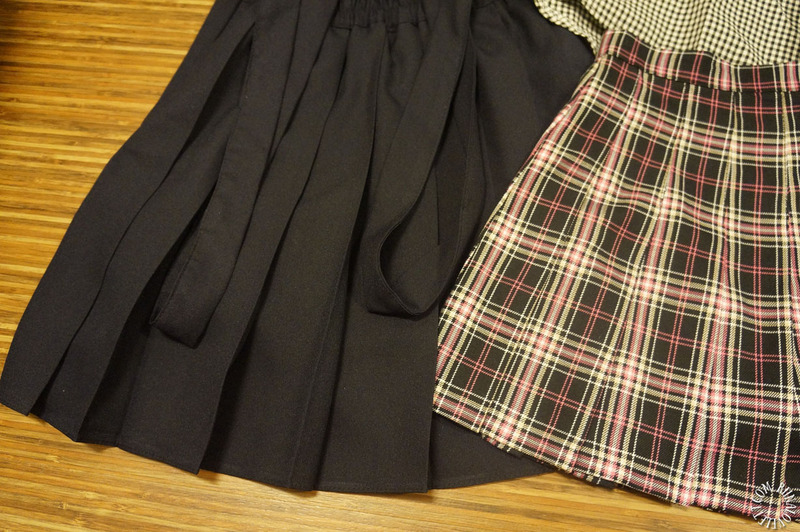 The prices are bit higher in comparison but the quality of the fabric is much better. 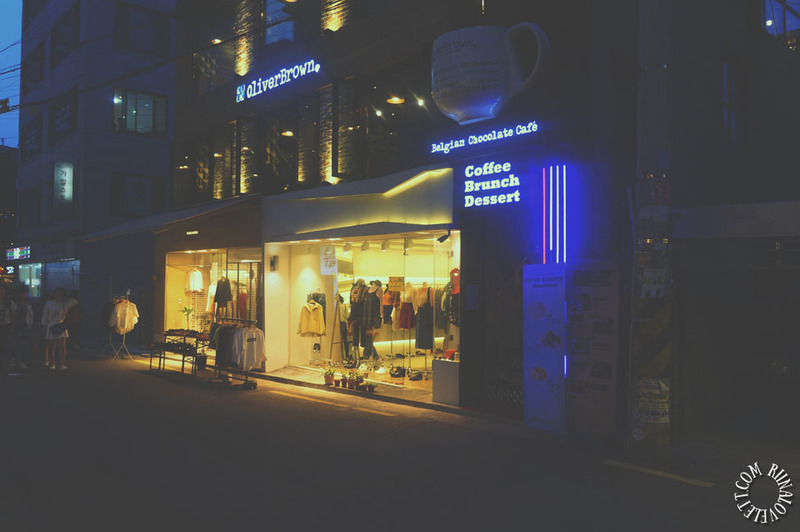 The STYLENANDA flagship store is also located in this area. 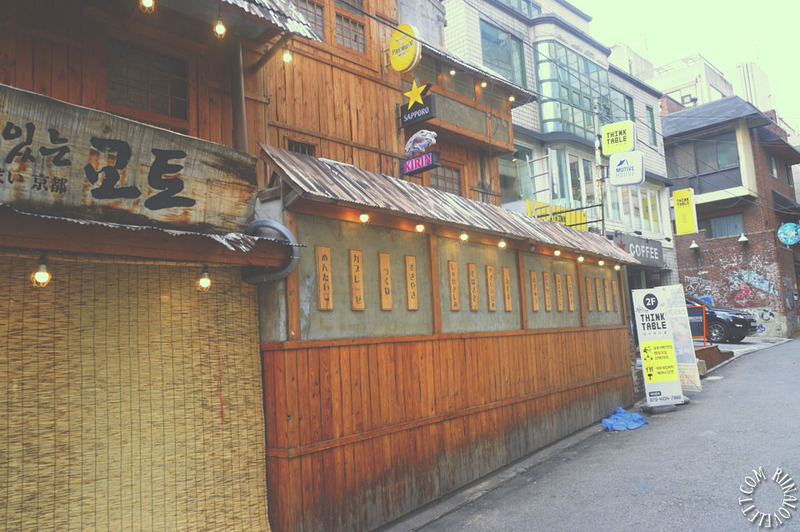 When night time was upon us and it was close to dinner time, we decided to go for Korean BBQ (Gogigui). 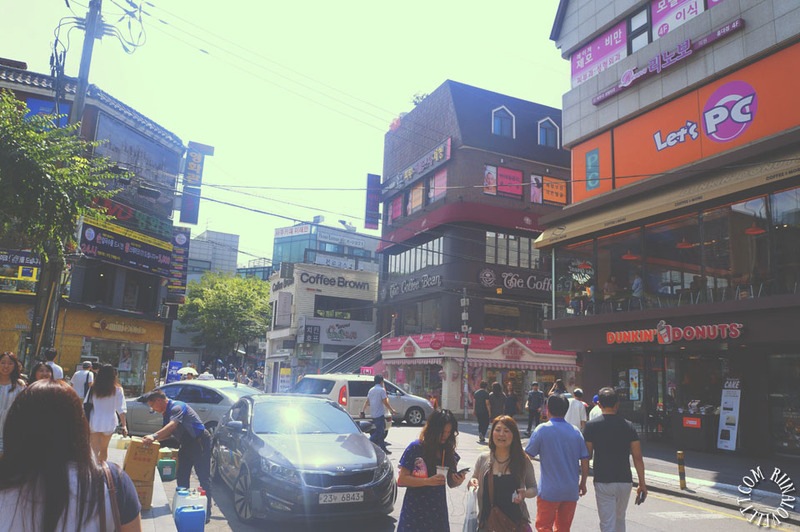 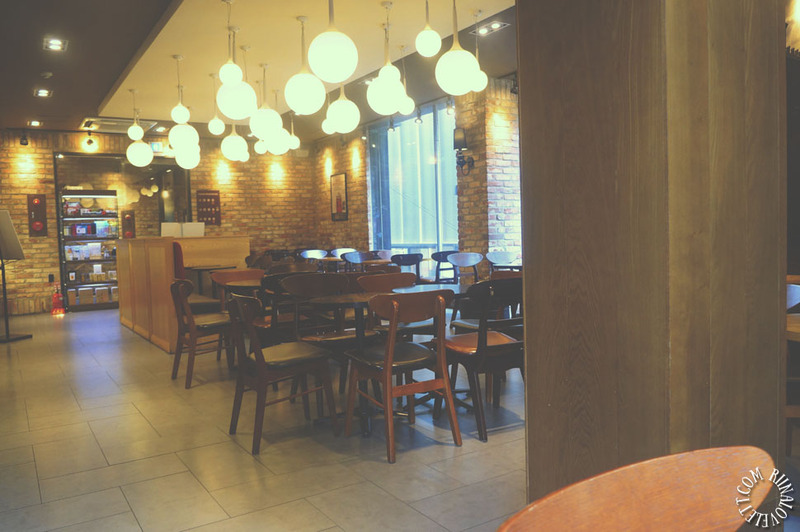 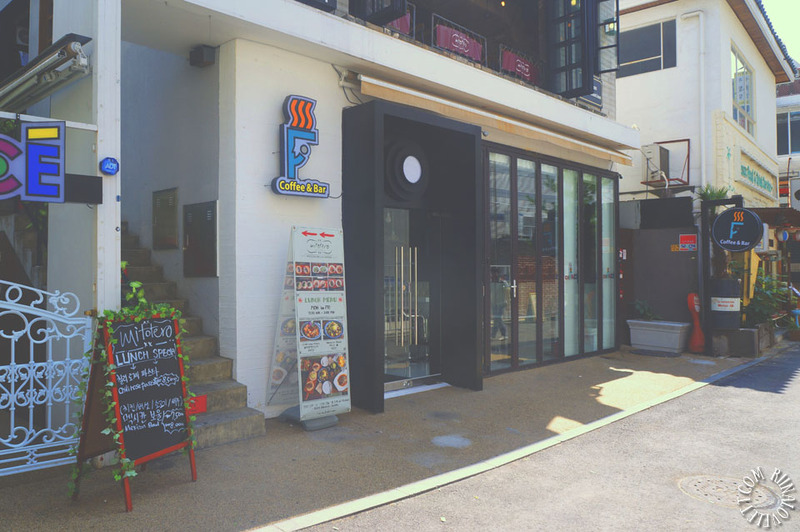 You can eat relatively cheap in Hongdae and there are a lot of restaurants/cafés to choose from. 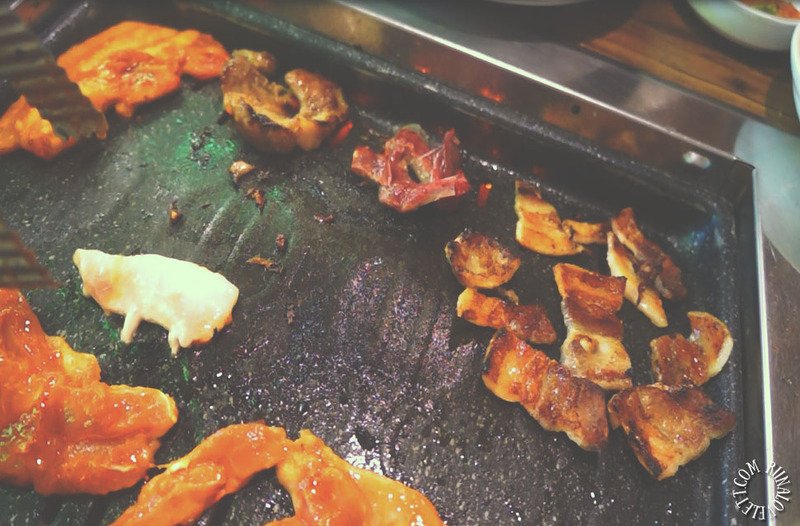 Thinking about all the Bulgogi, Galbi and Samgyeopsal make me drool. 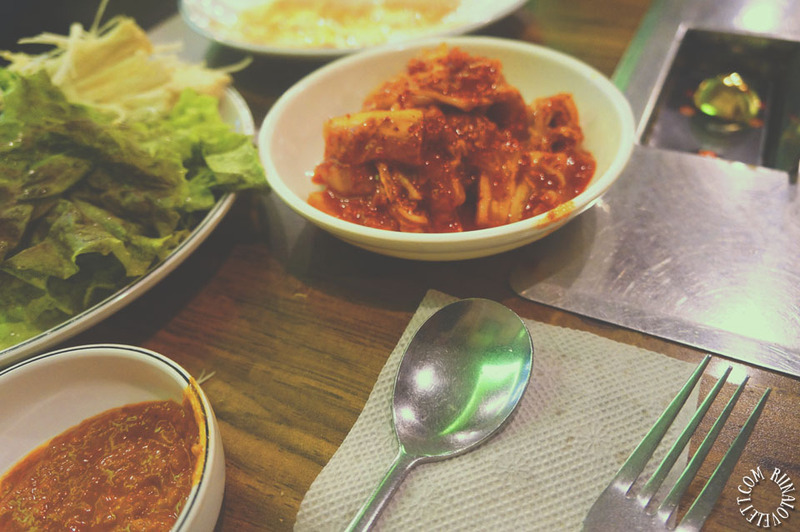 What I love about Korean culinary are the many side dishes that goes along with the food (banchan). 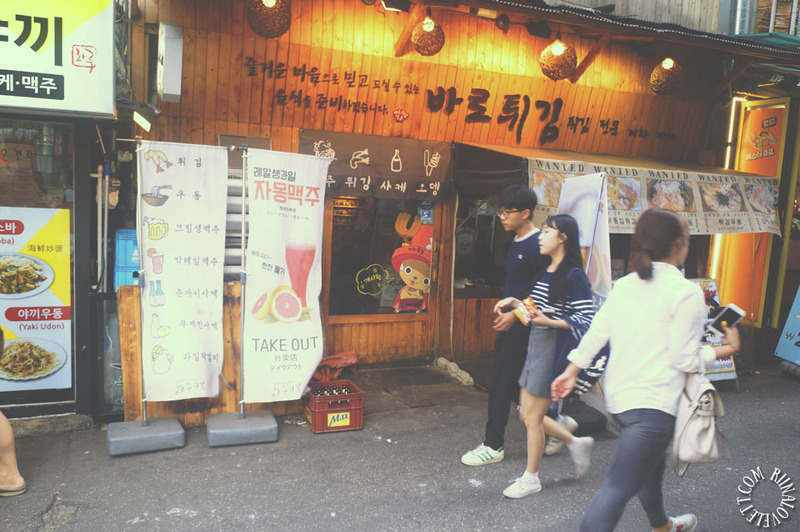 The Korean side dishes that are served the most are kimchi, guk, gochujang and jjiggae. 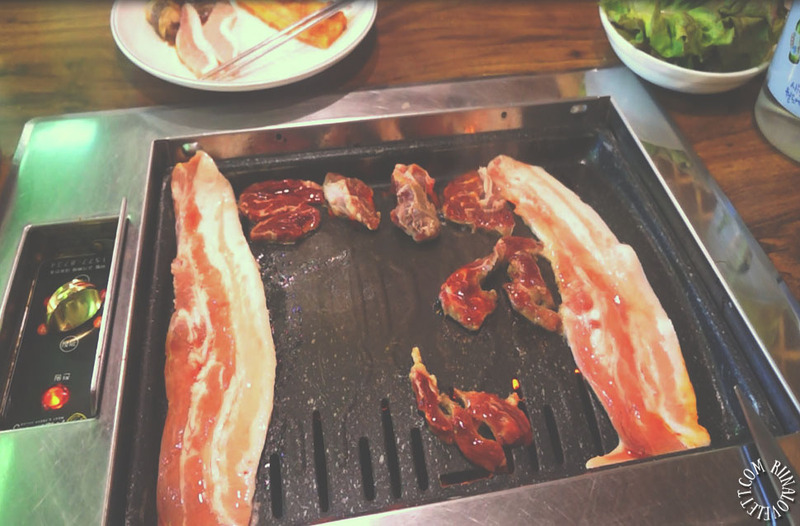 There’s also a Korean way to eat grilled meat. 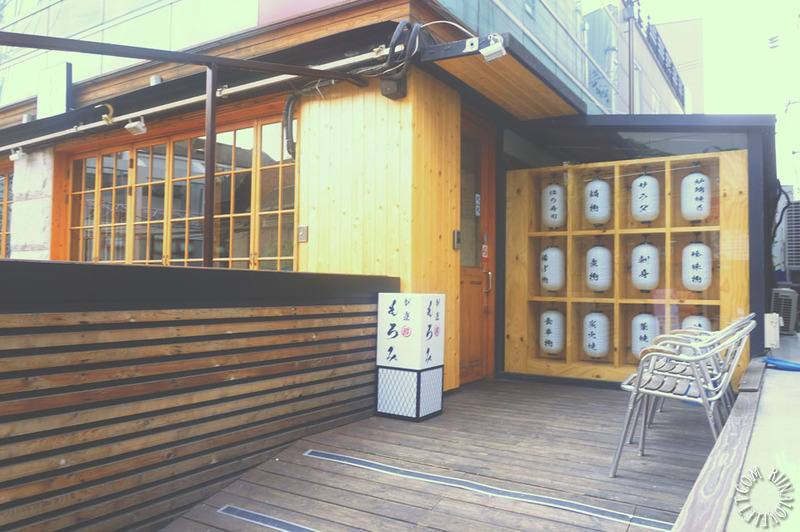 Korean BBQ always comes with sangchu. 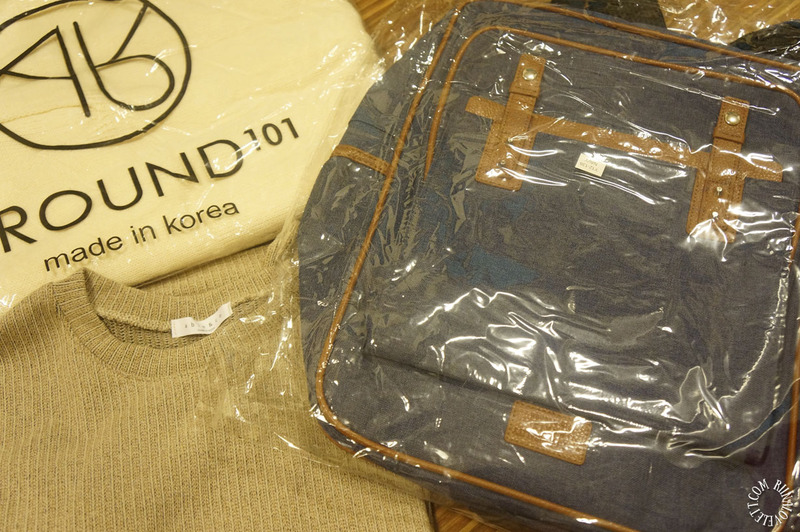 You’re meant to wrap the grilled meat like a decorative present. 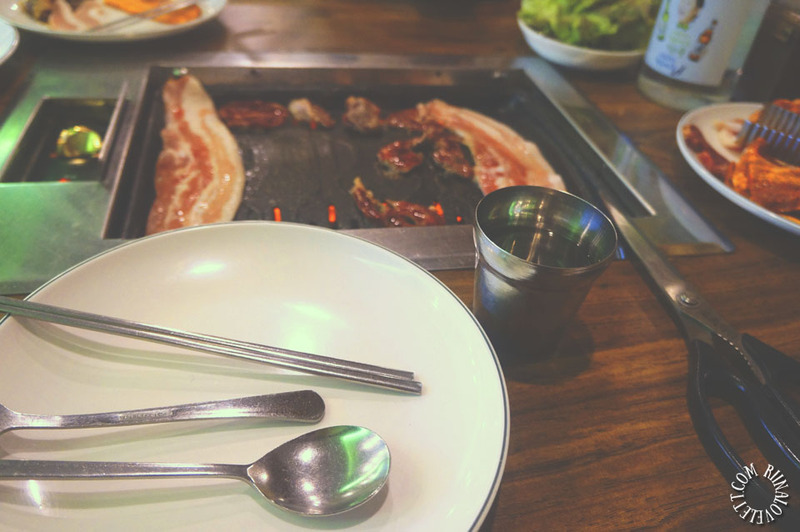 The savory juicy taste of the Galbi goes well with the green leaves. 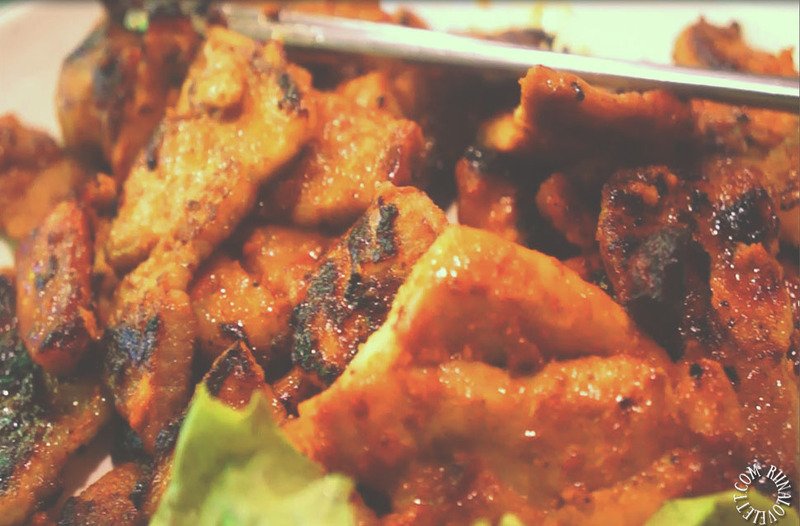 I mostly just add garlic and spices and wrap it together and just cram it into my mouth. 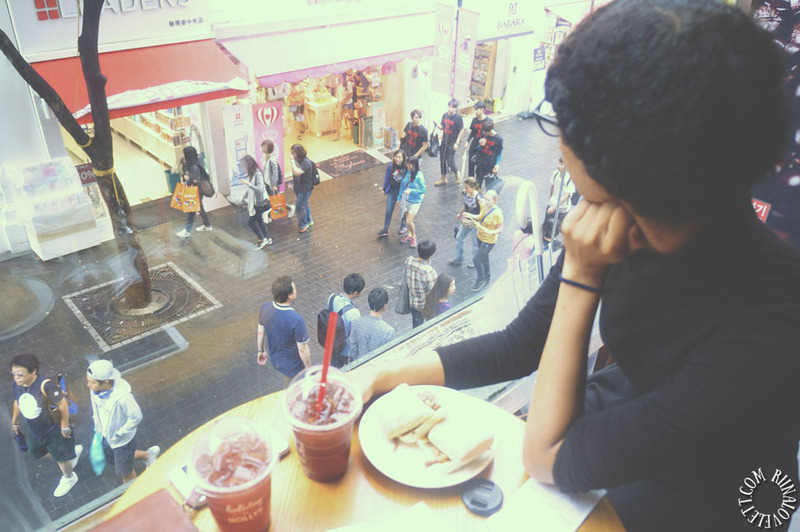 Yeah, I’m not really ladylike while I’m eating. 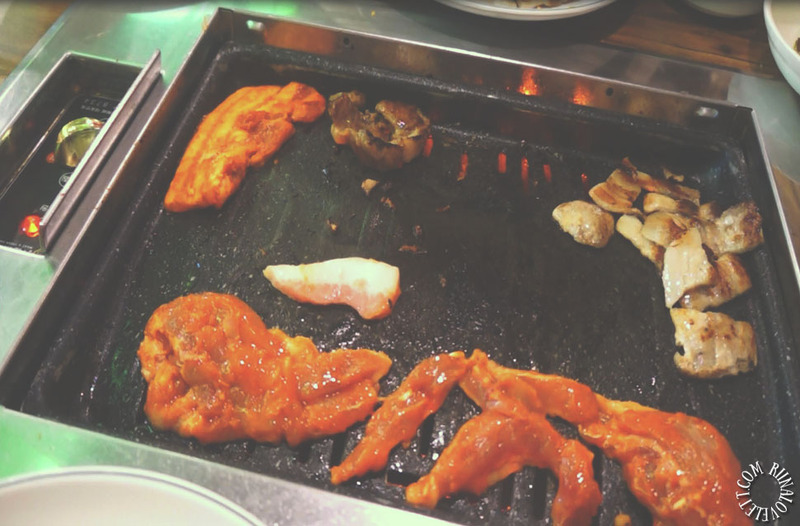 But I just really love Korean BBQ after a nice long day of shopping. 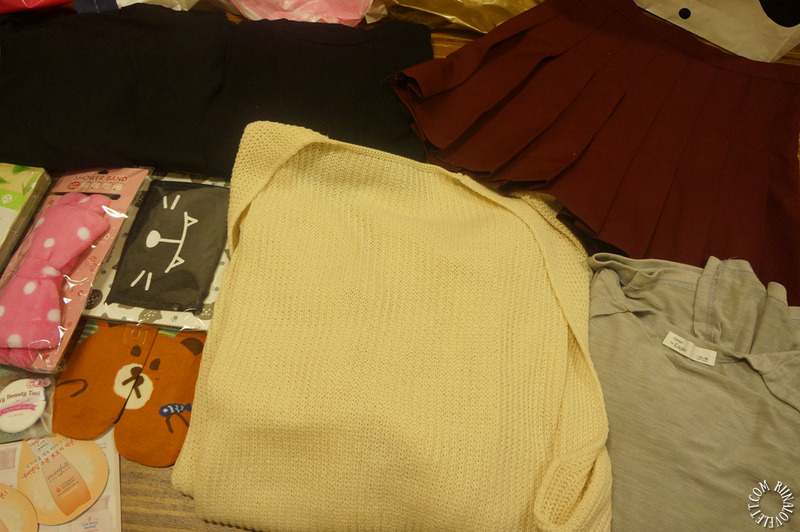 It was a successful day. 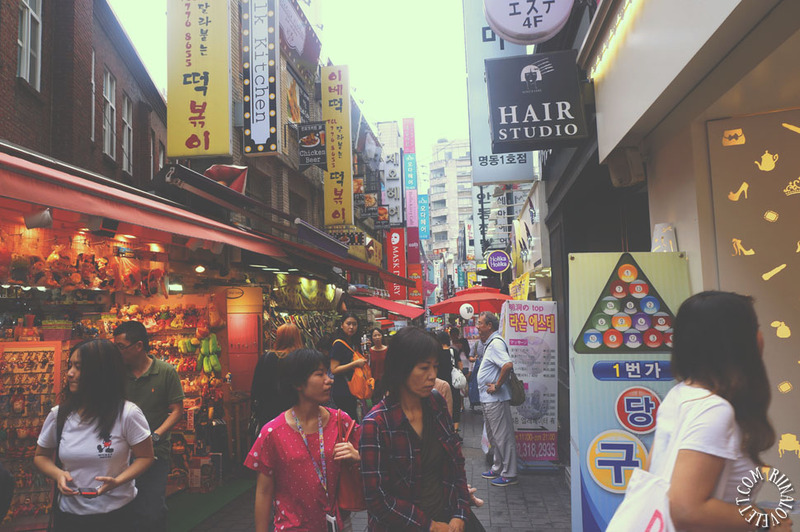 A day I will always keenly remember.